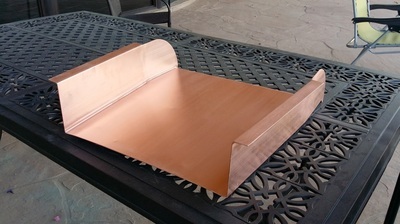 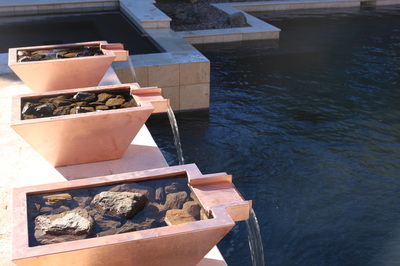 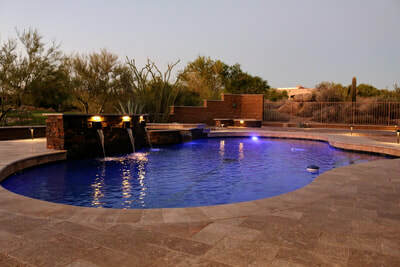 Pool aesthetics, equipment and technology have evolved tremendously over the last twenty years. 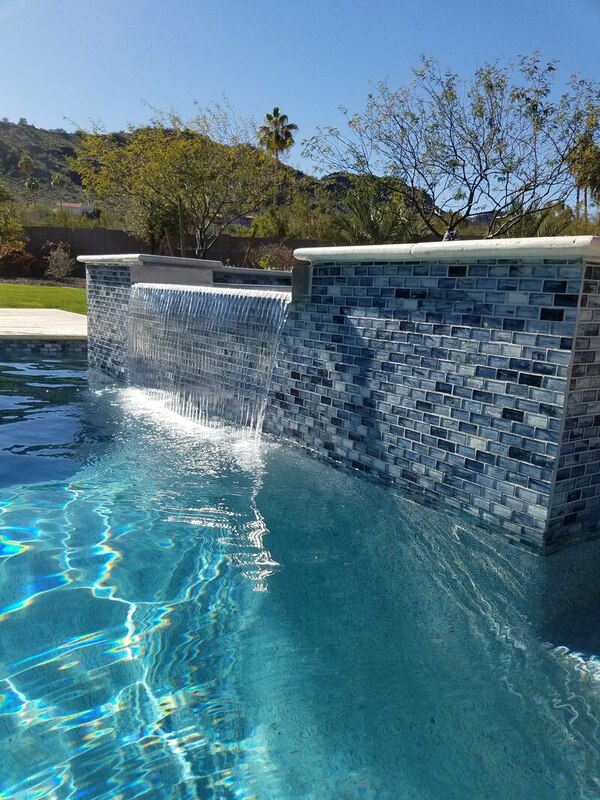 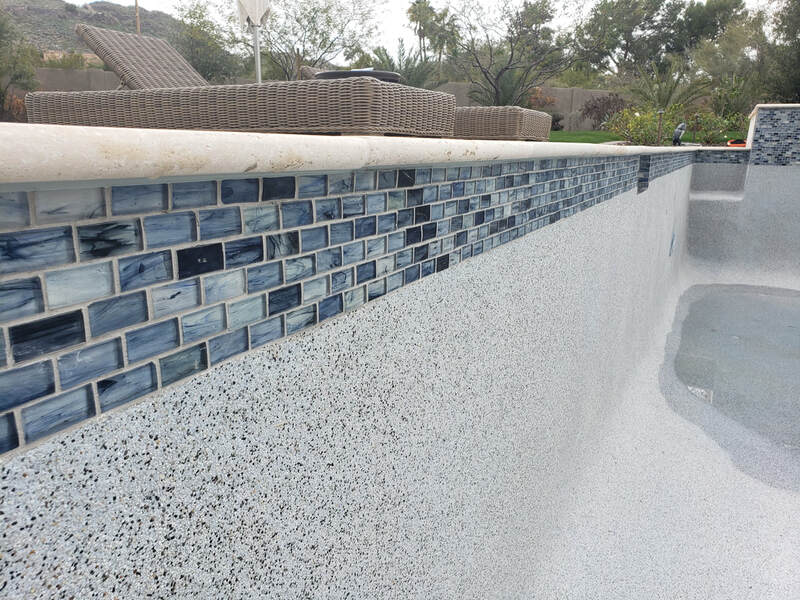 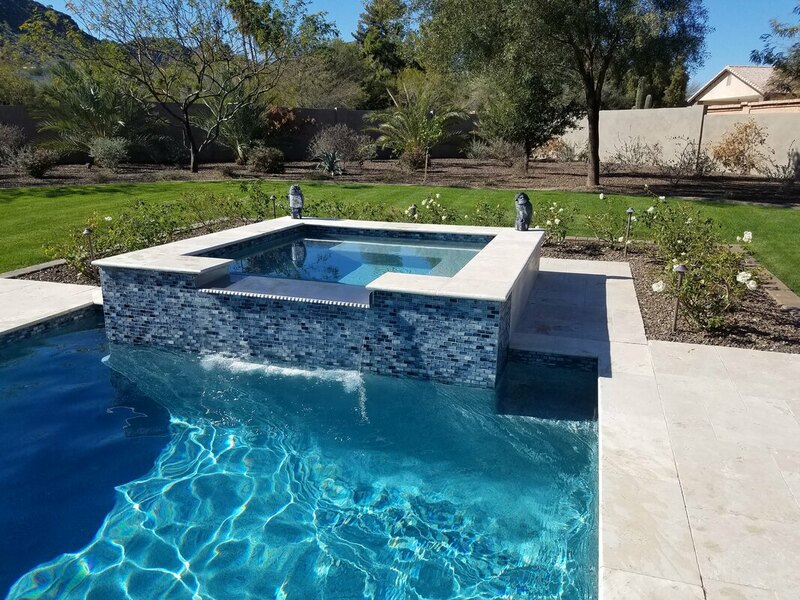 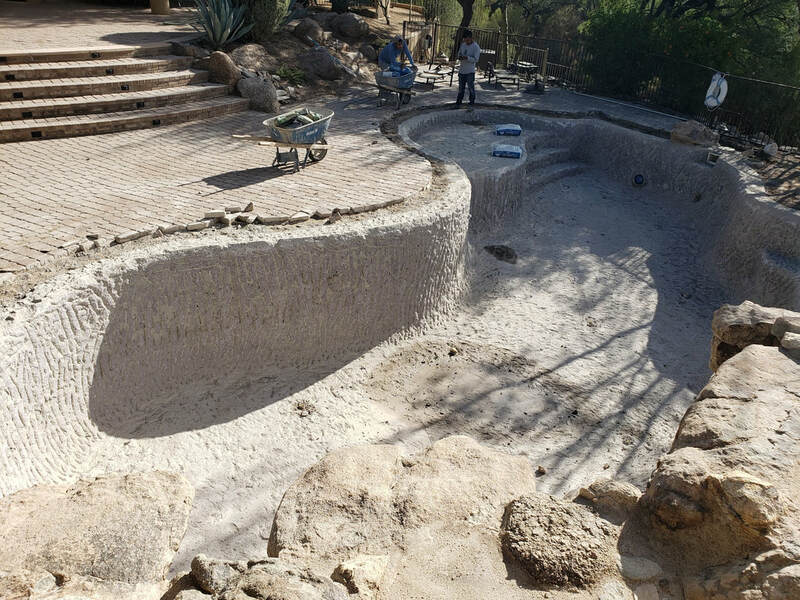 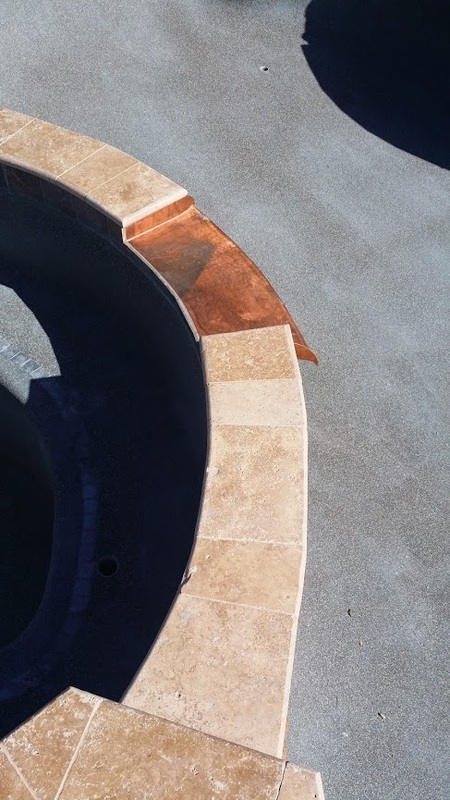 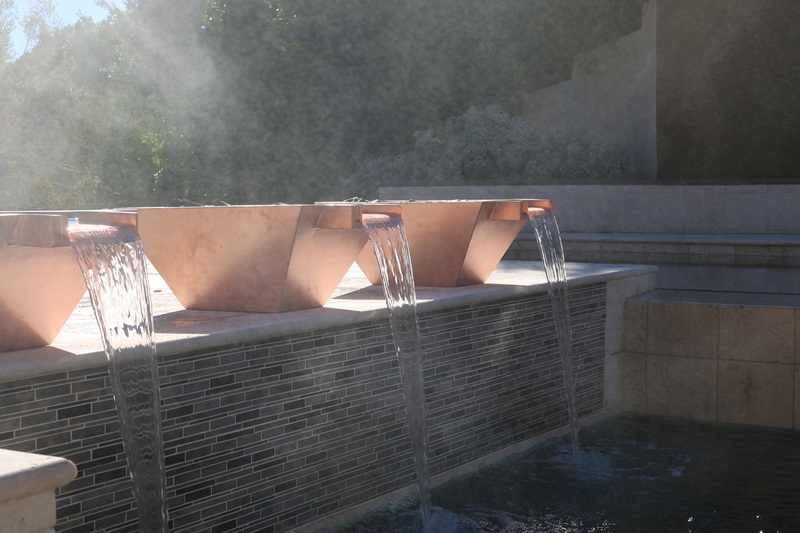 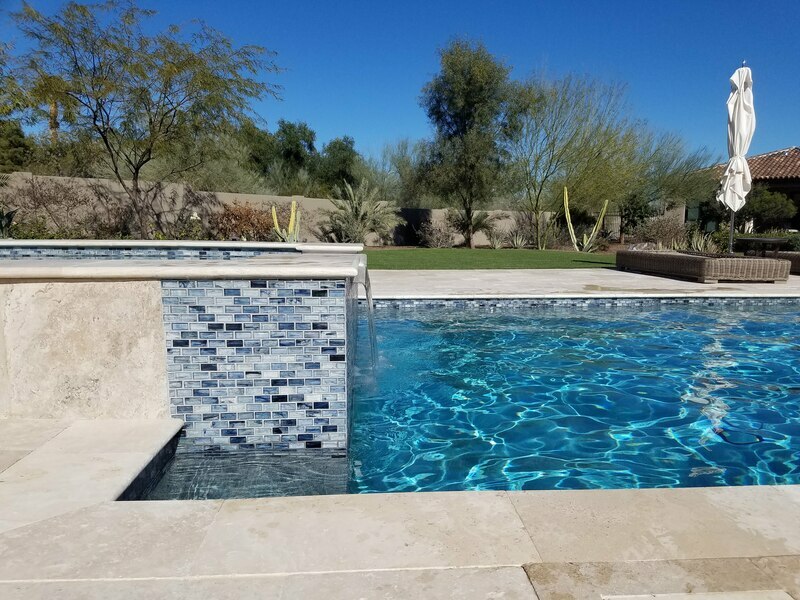 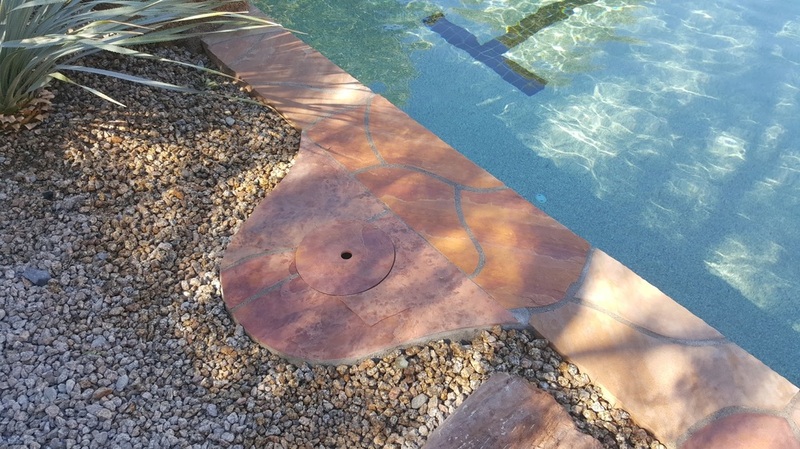 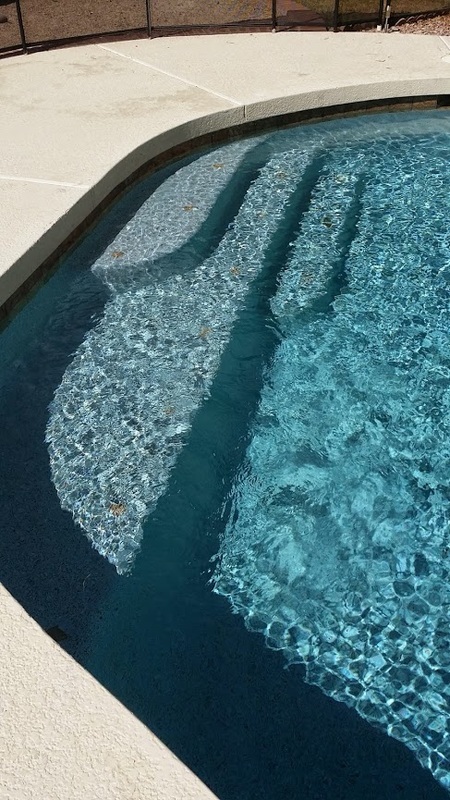 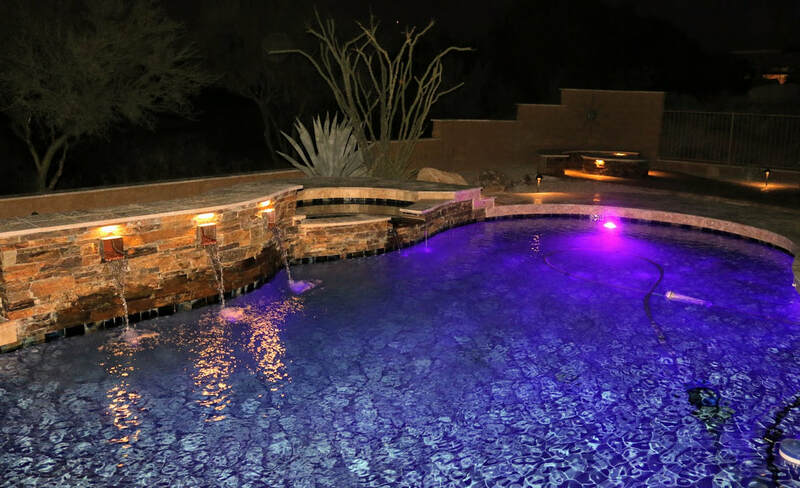 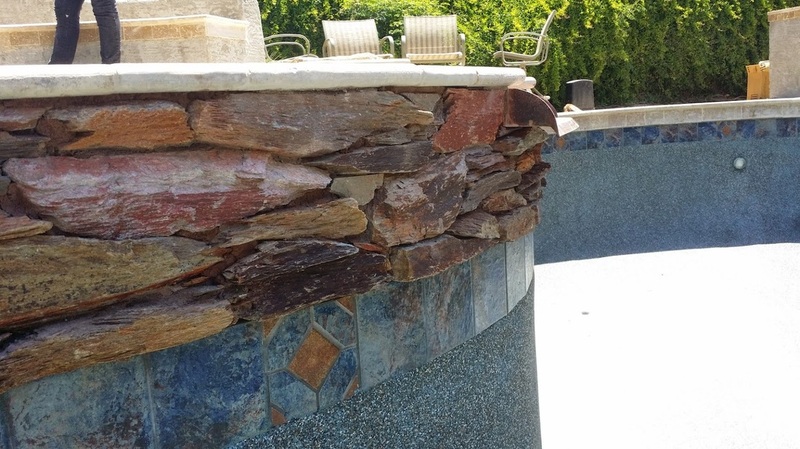 You now have broader choices in regards to every step of the pool renovation and new build process, from exotic interior surface materials, color LED lighting, custom water features, variable-speed pumps, natural stone decks, remote automation... the list is long! 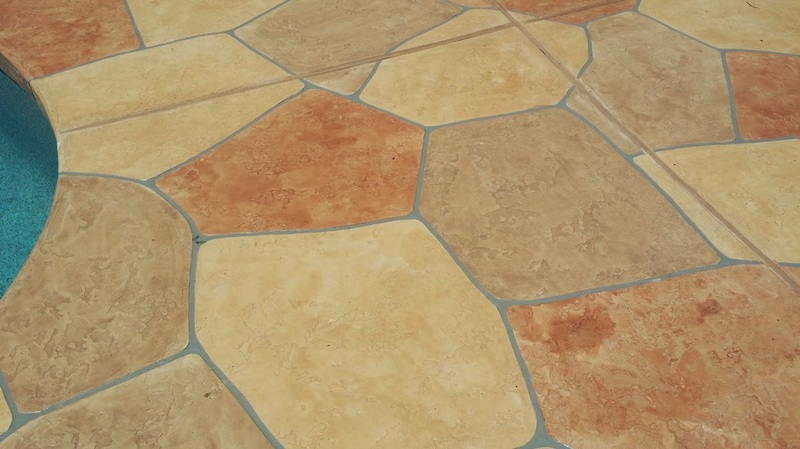 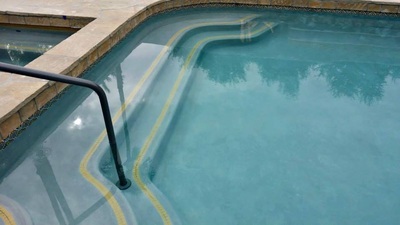 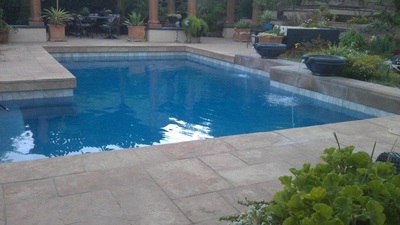 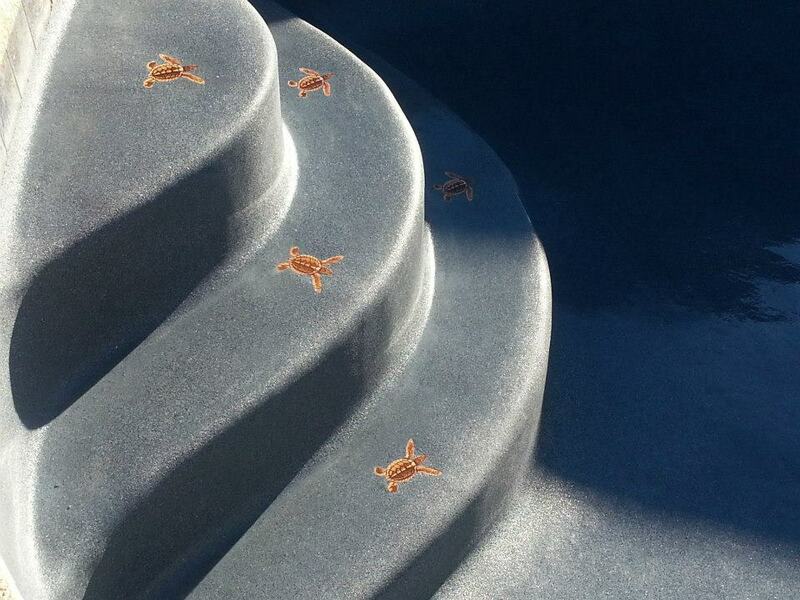 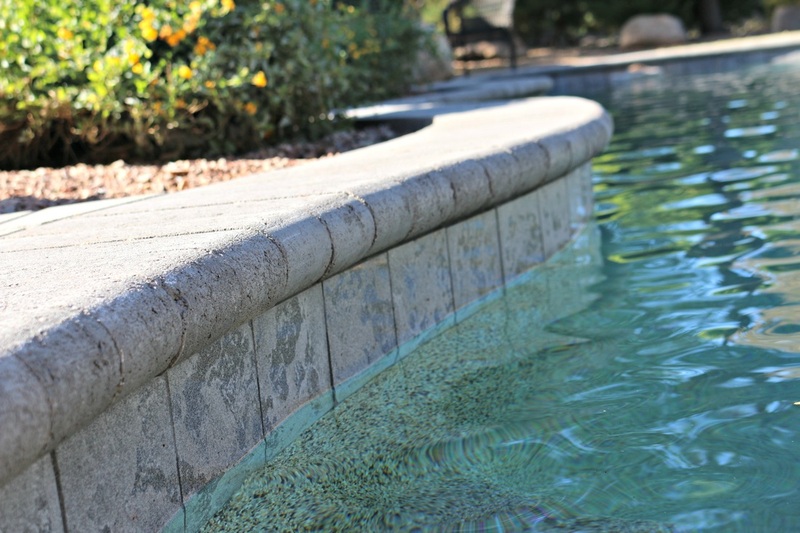 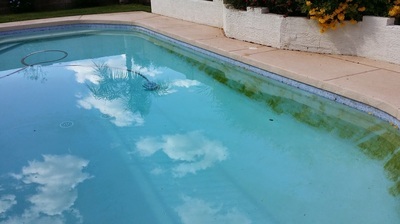 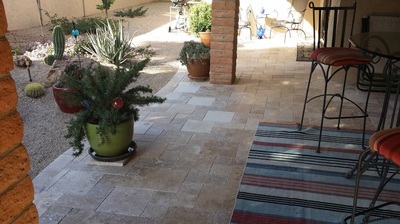 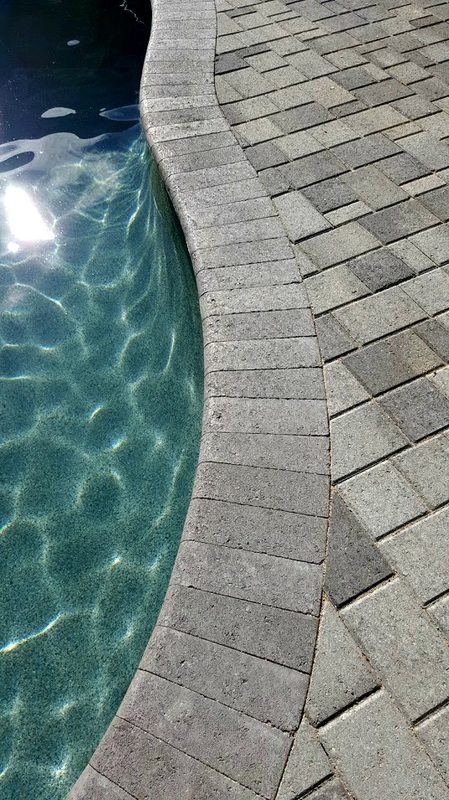 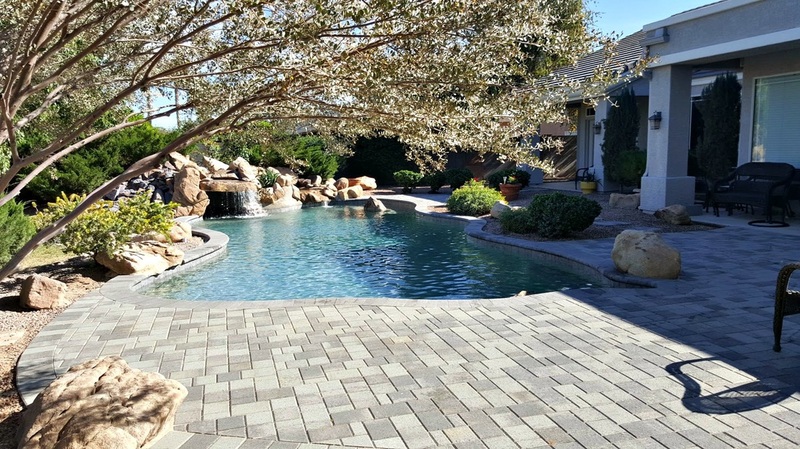 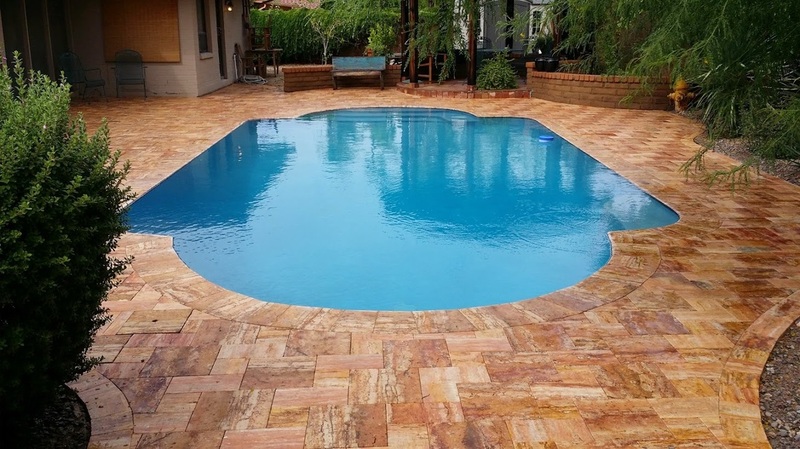 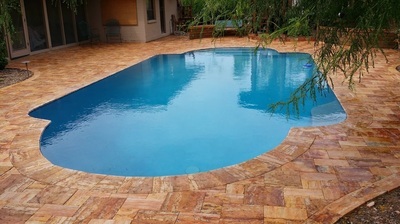 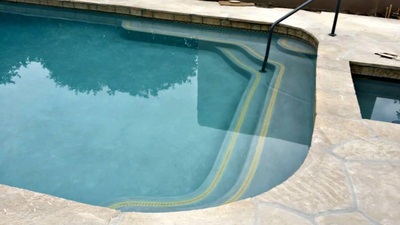 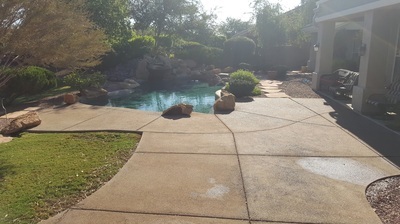 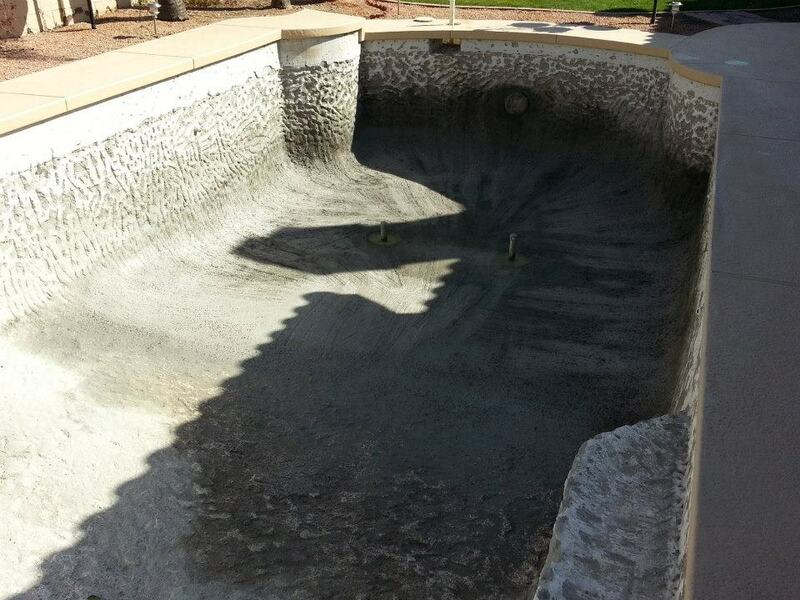 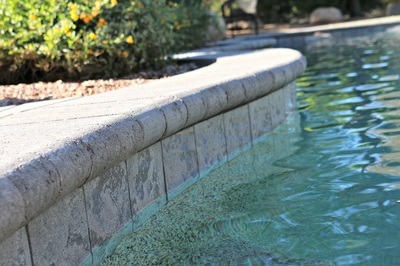 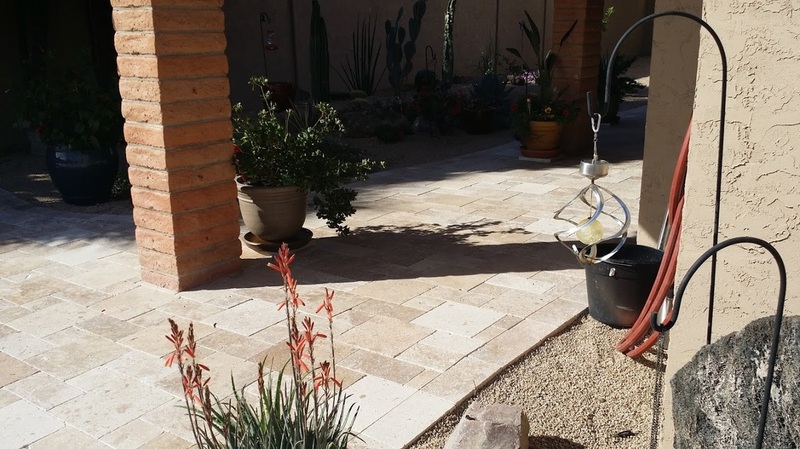 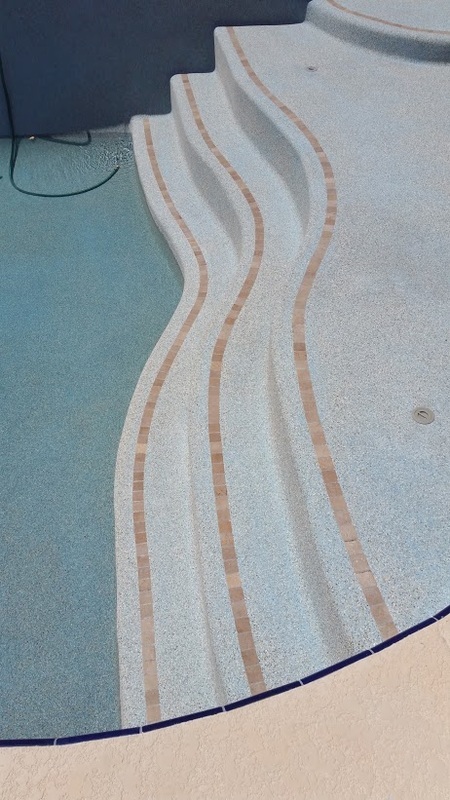 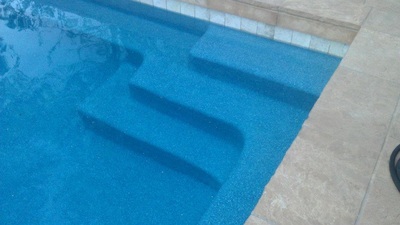 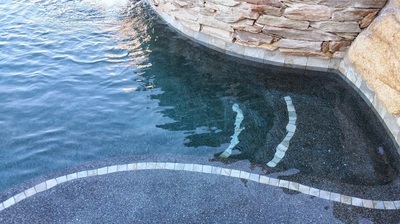 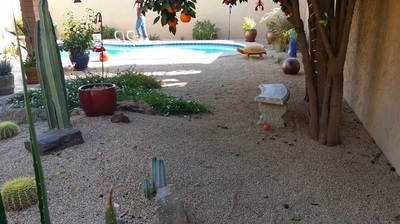 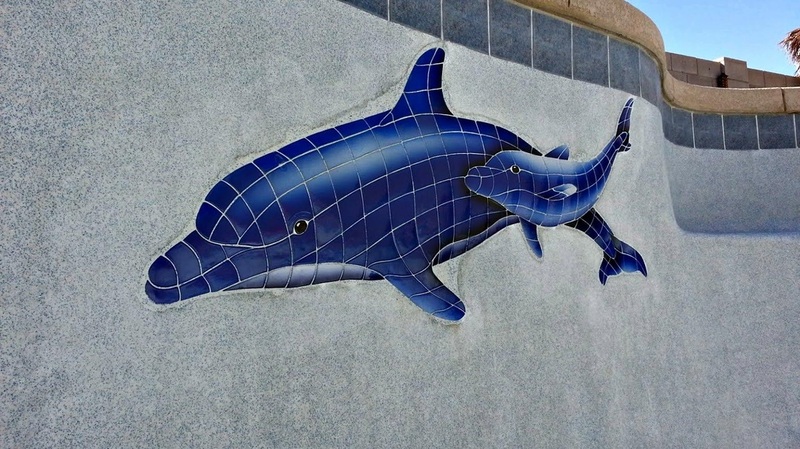 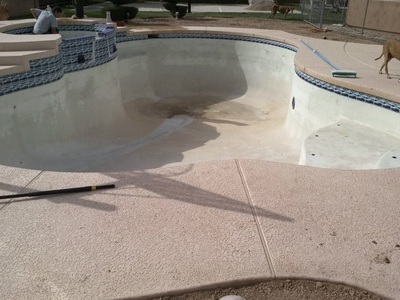 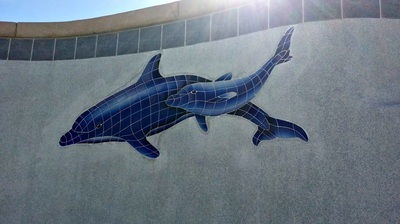 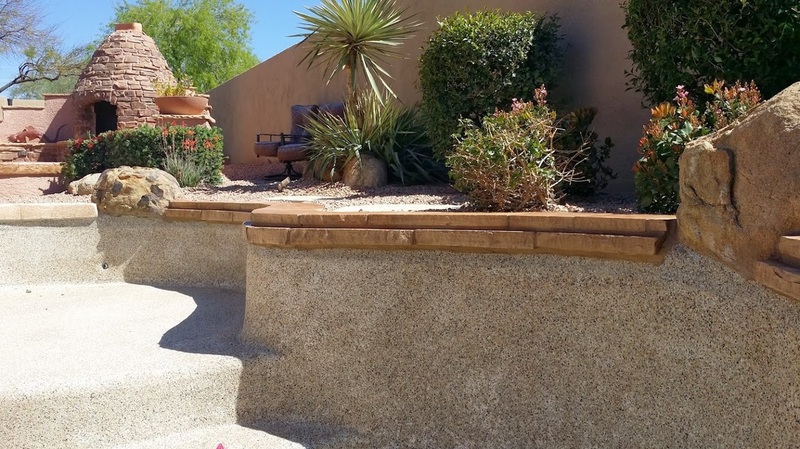 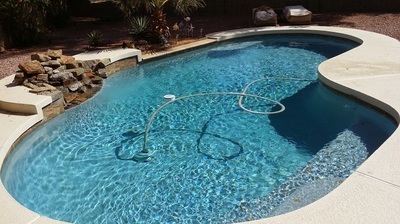 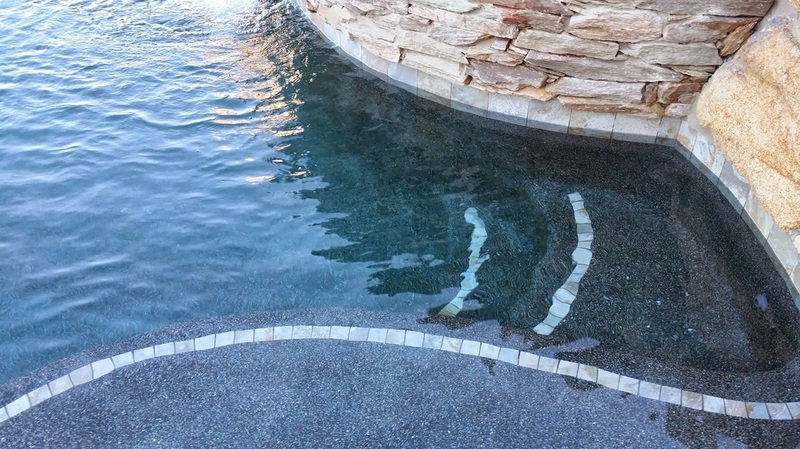 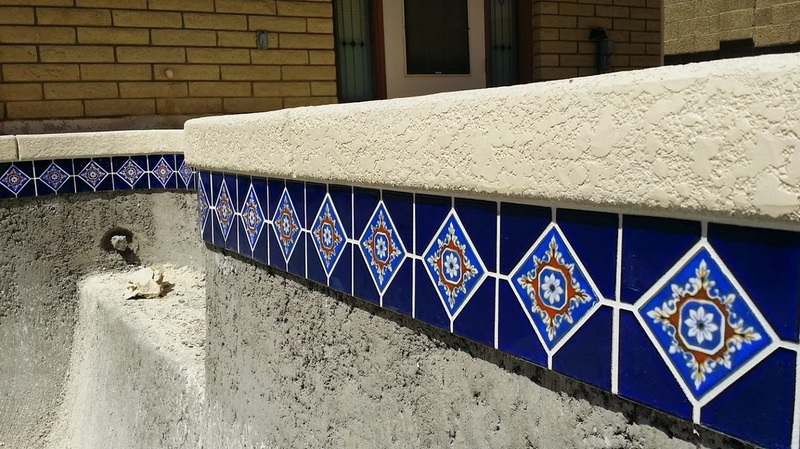 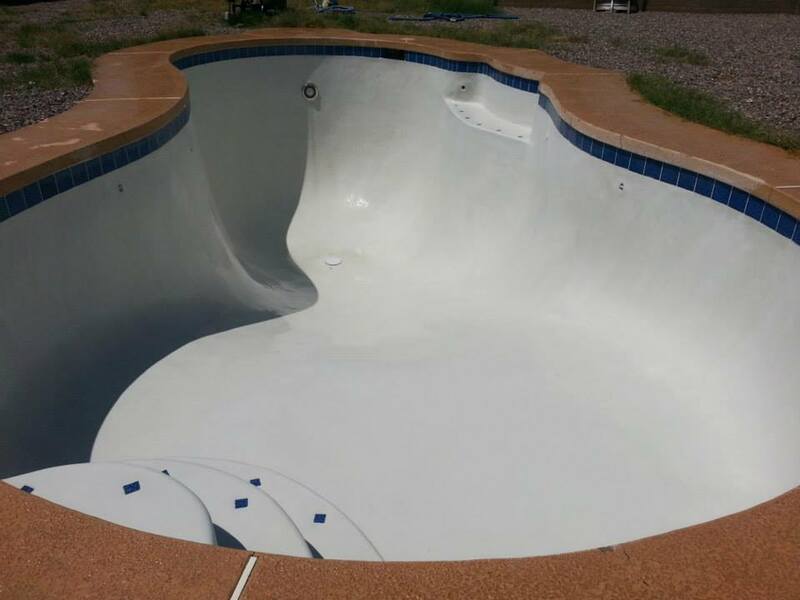 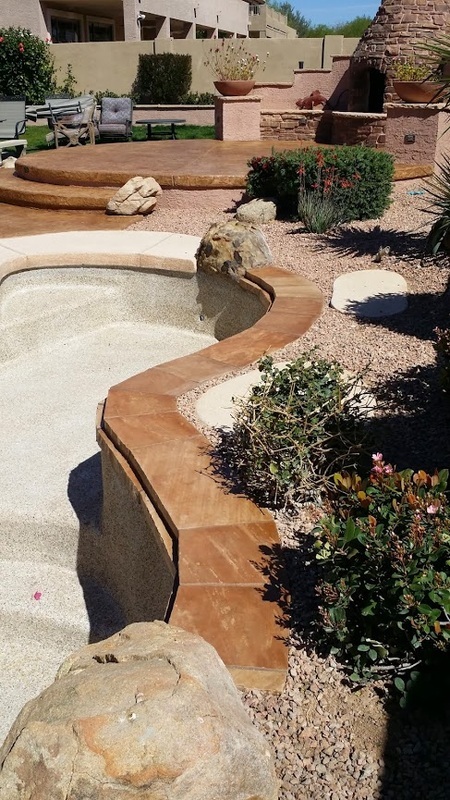 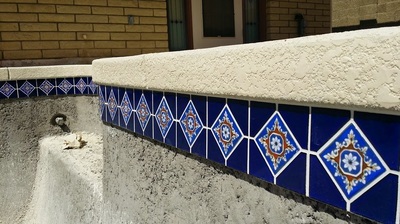 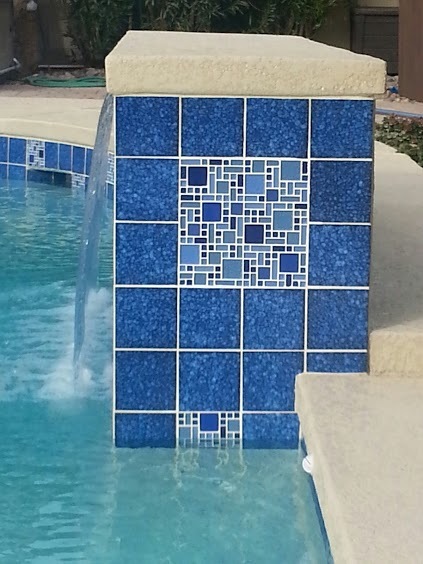 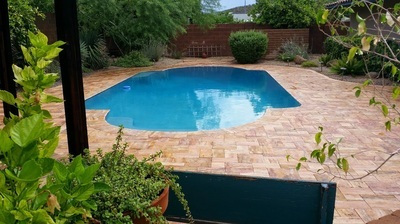 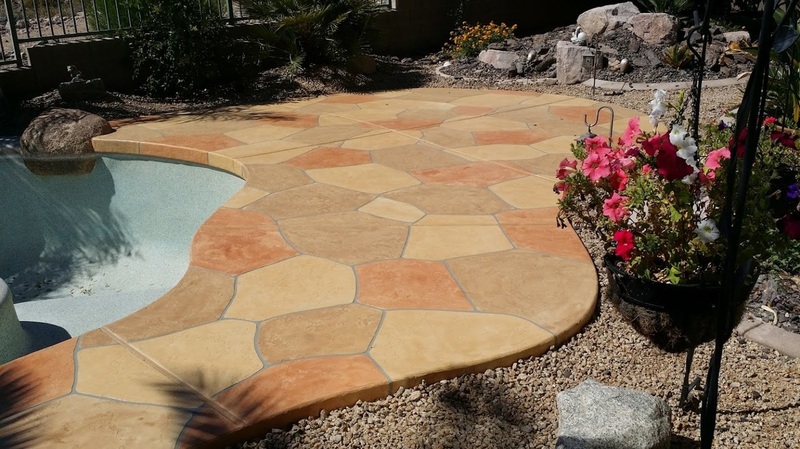 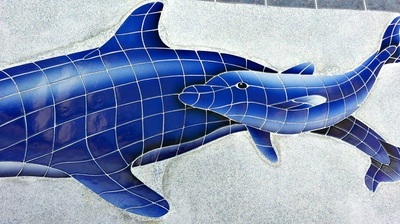 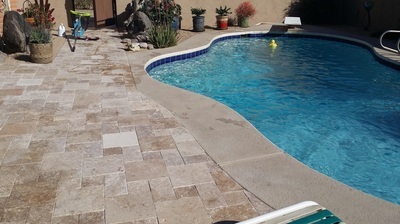 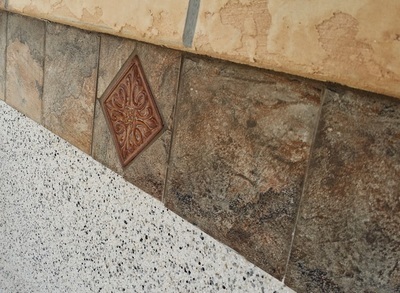 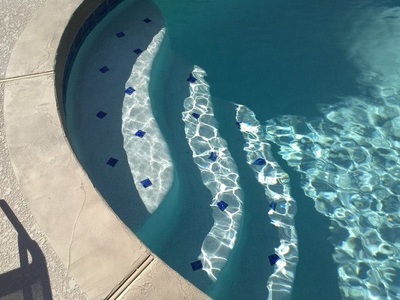 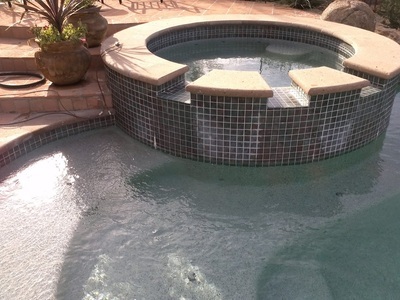 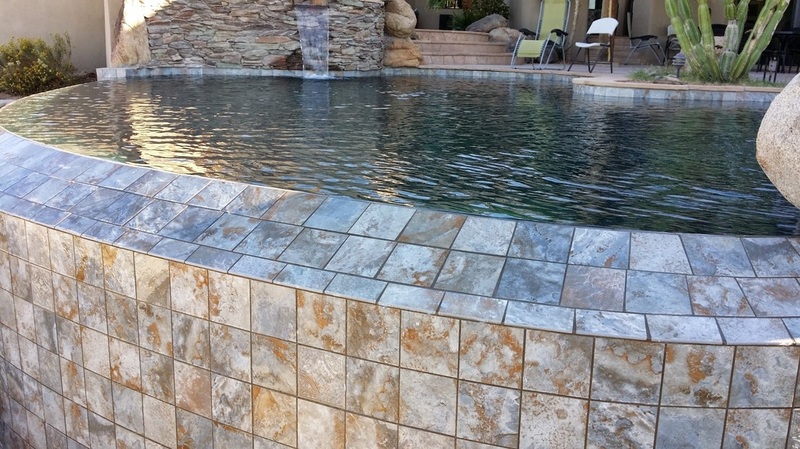 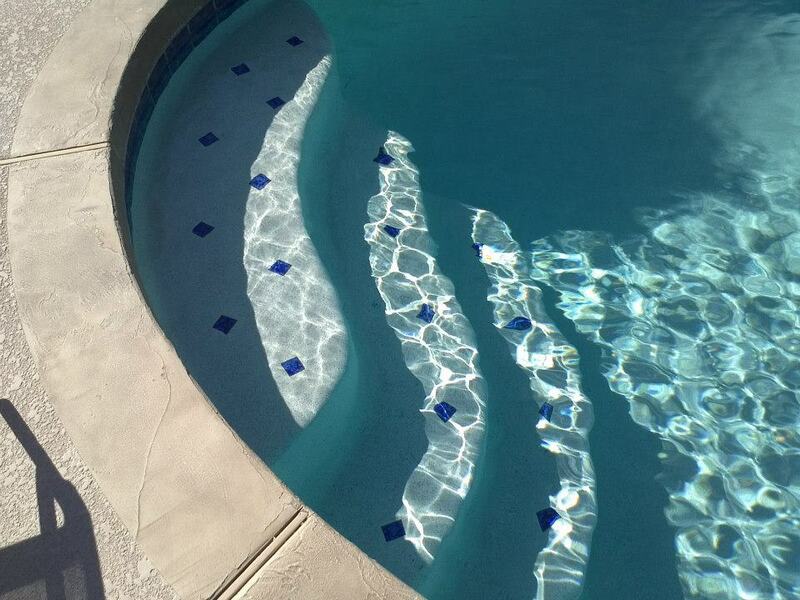 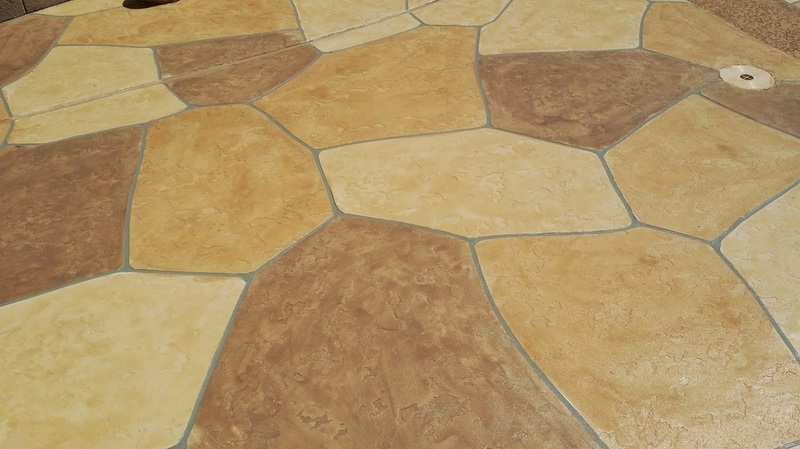 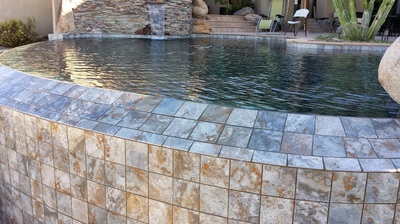 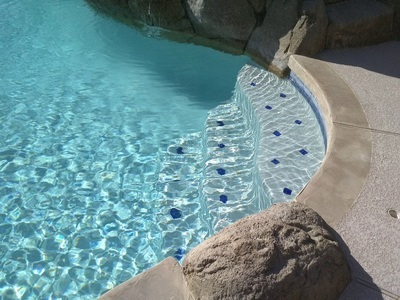 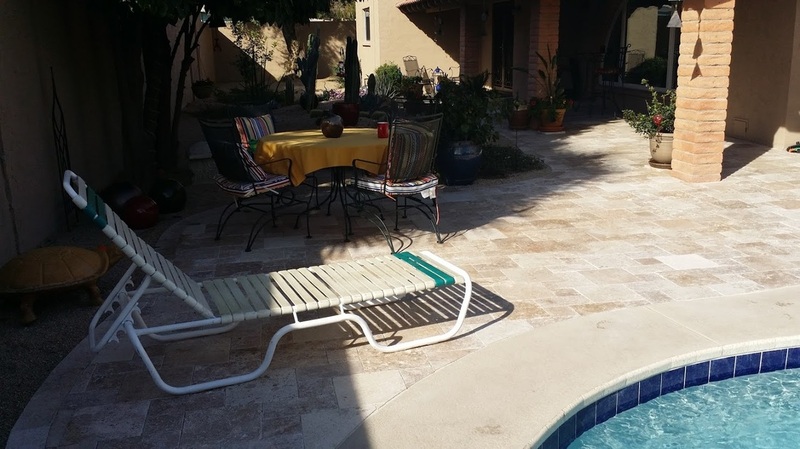 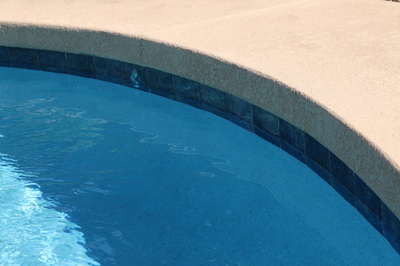 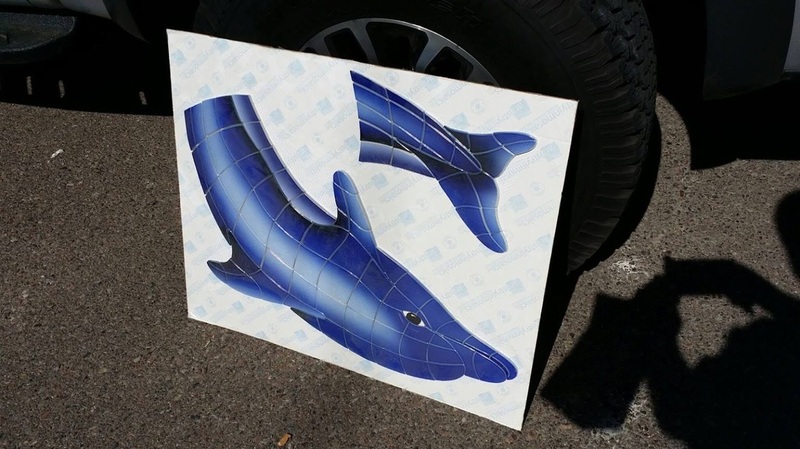 Everyone at Love Pool Care takes enormous pride in every project we perform, large or small. 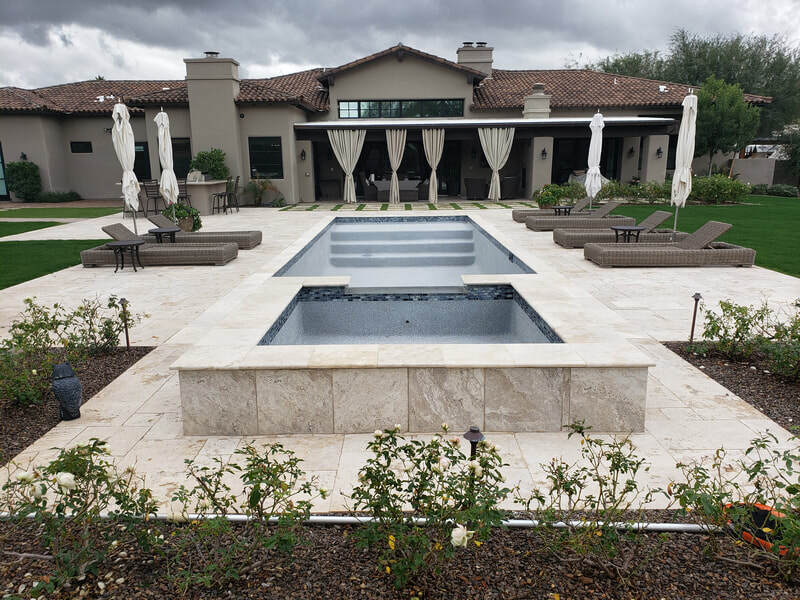 You can take comfort that we're detail-oriented, flexible, customer-service driven, and dedicated to provide years of follow-up care and advice. We will MATCH any competitor estimate! 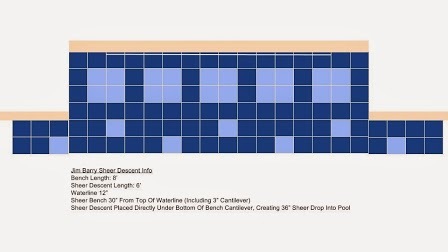 Line item by line item! Bottom line... we want the chance to impress you with our work. 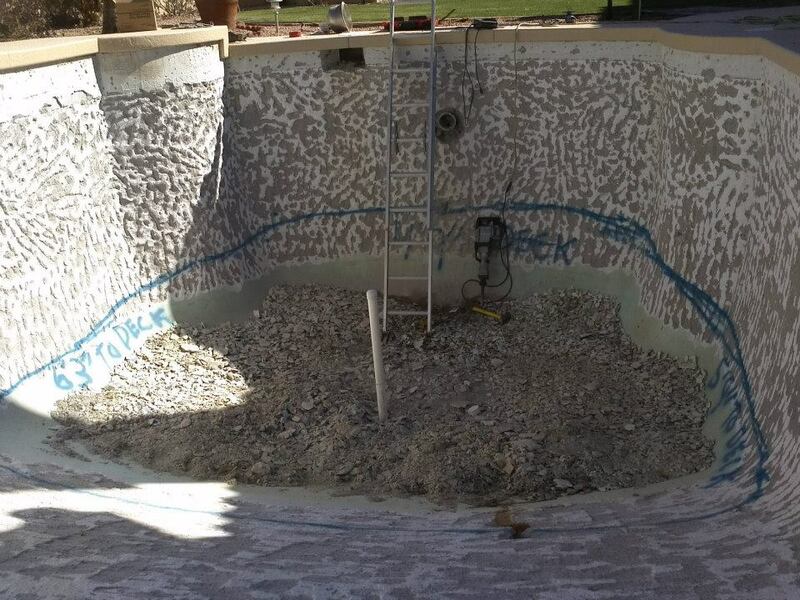 We don't provide you with "minimum entry-level" estimates. We take great measures to provide as much information as we can into our initial estimate. 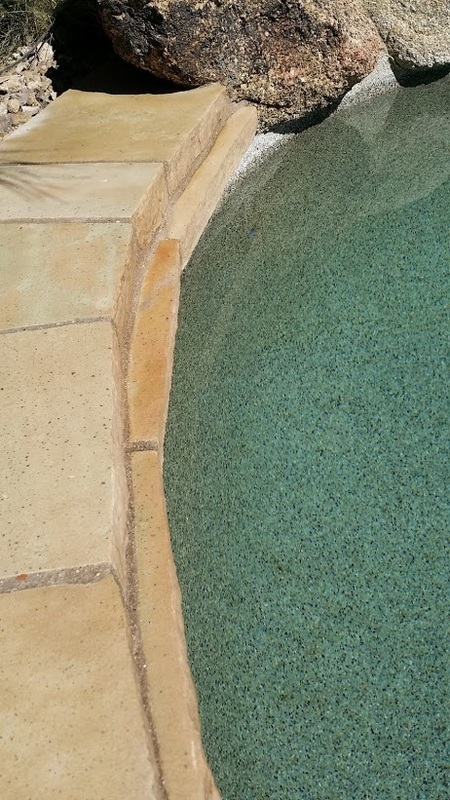 Quick scheduling! 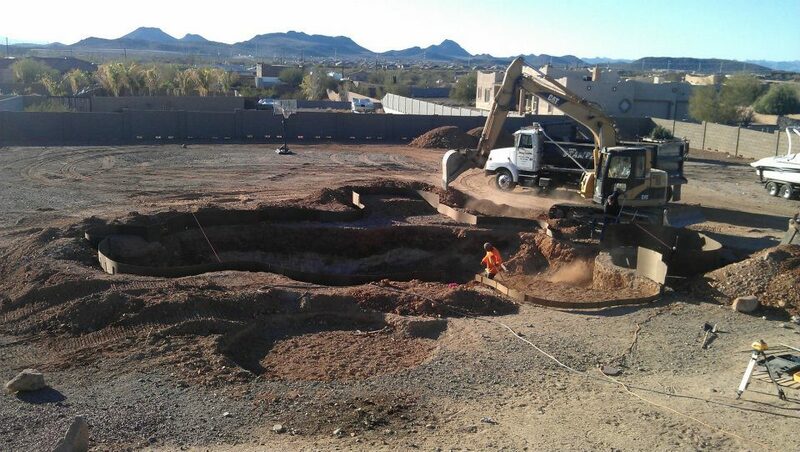 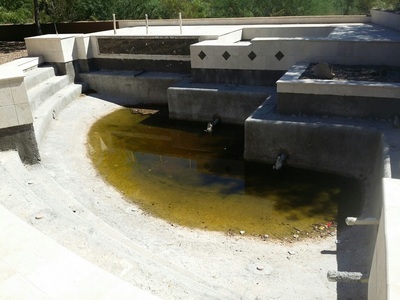 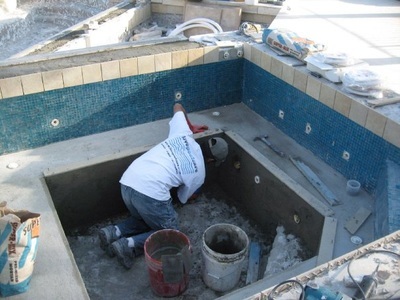 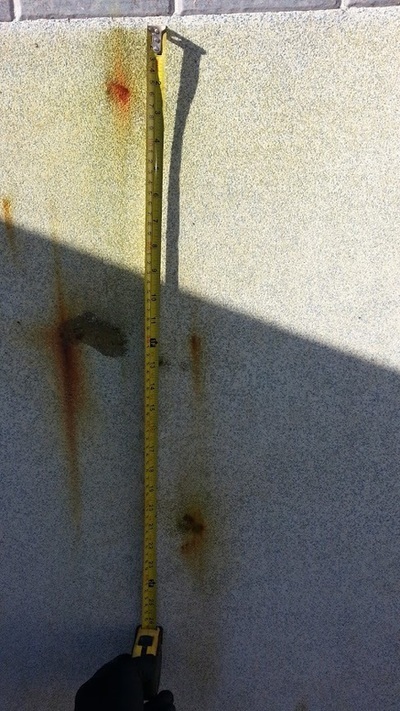 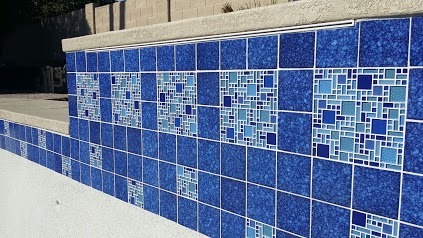 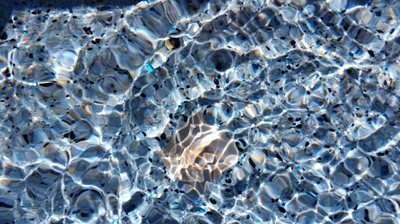 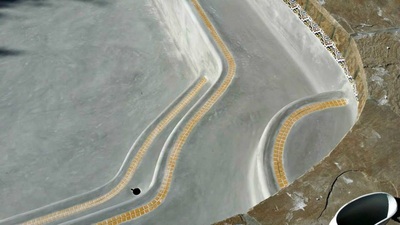 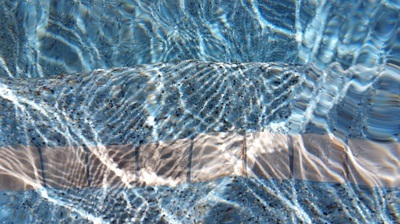 If the estimate looks good, we can begin scheduling any pool renovation within 7-14 business days (sometimes sooner). 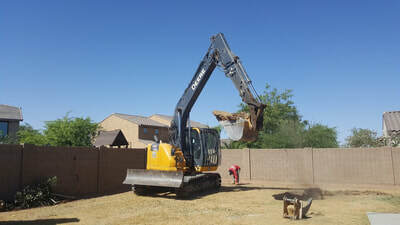 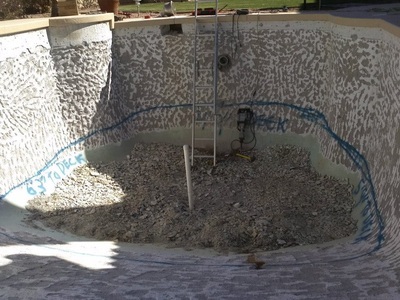 New pool builds take 1-2 weeks longer due to the permitting process. 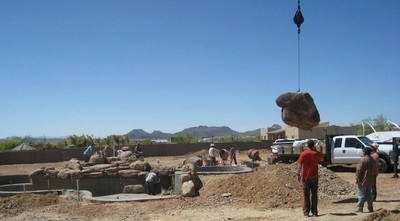 Communication before, during, and after any project is very important to us. You can expect calls, emails, and texts indicating when our crews will arrive and status updates on your project. 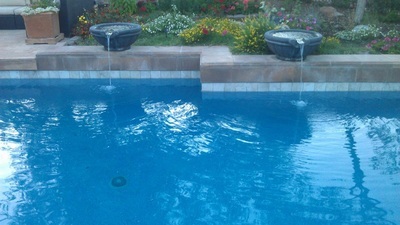 Multiple and detailed pictures are taken and shared within our team. 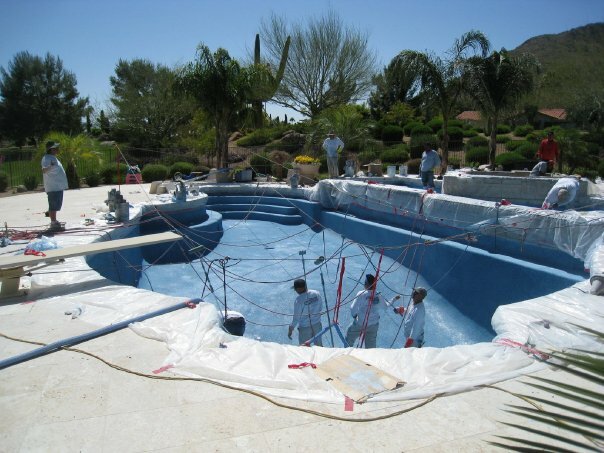 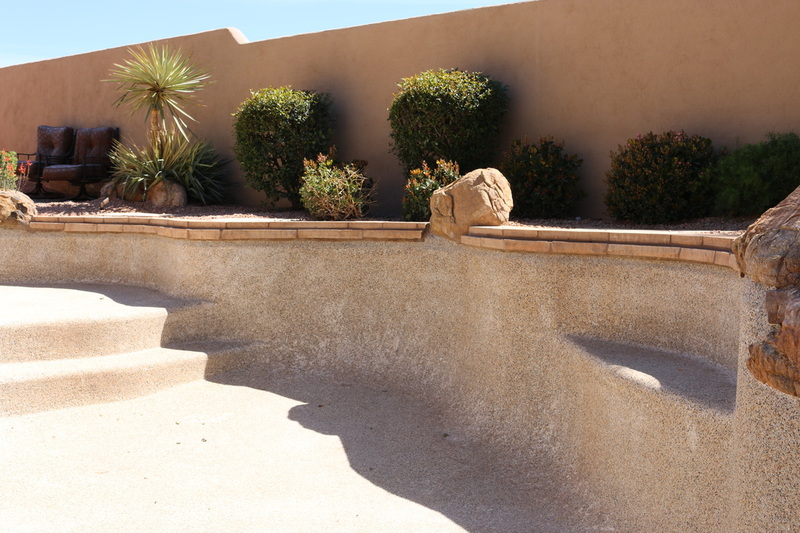 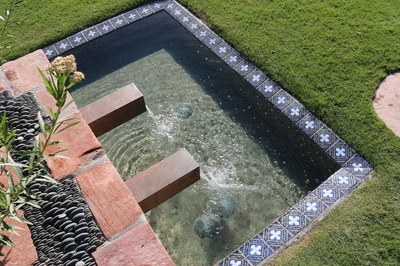 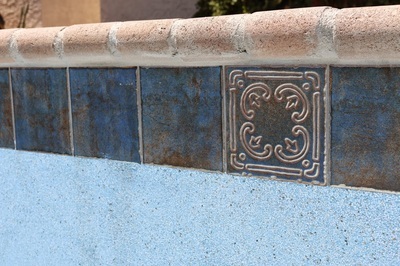 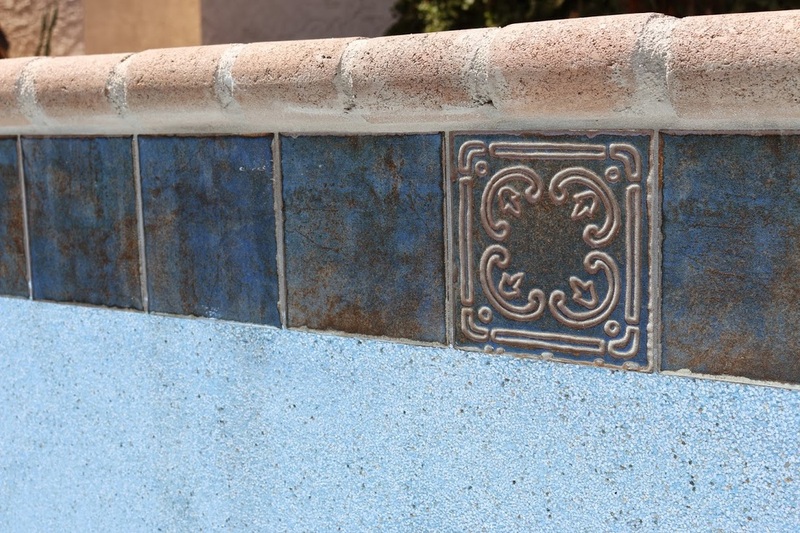 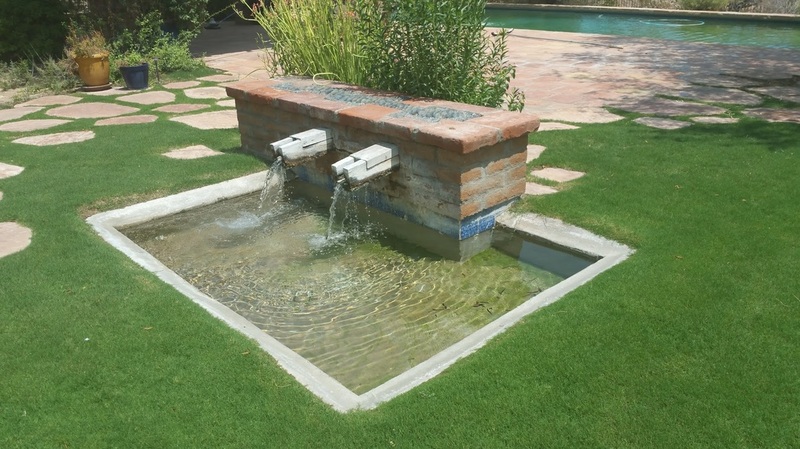 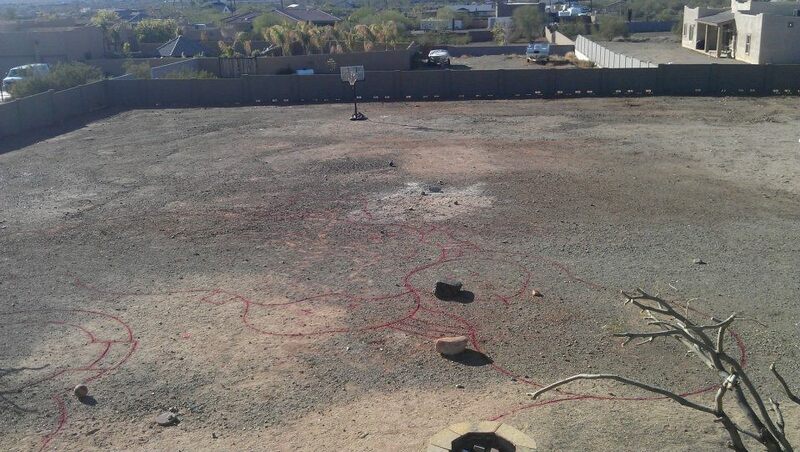 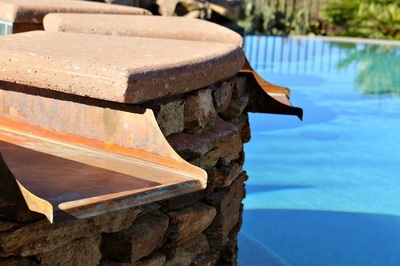 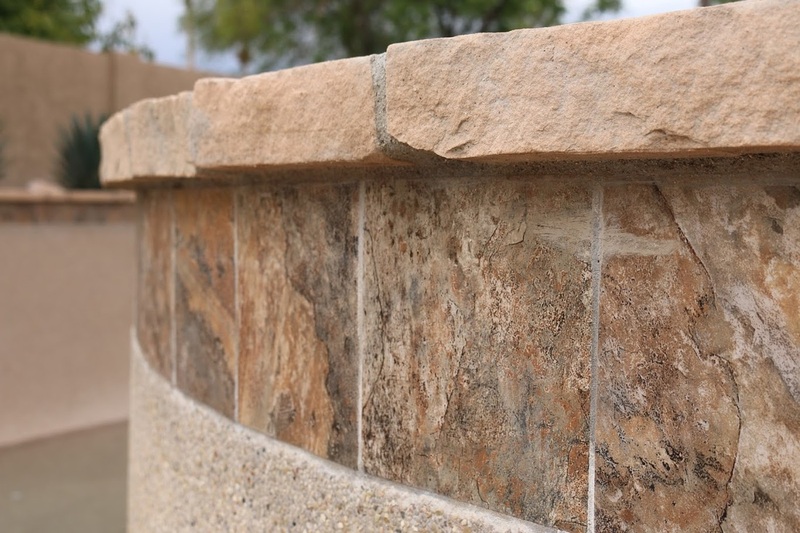 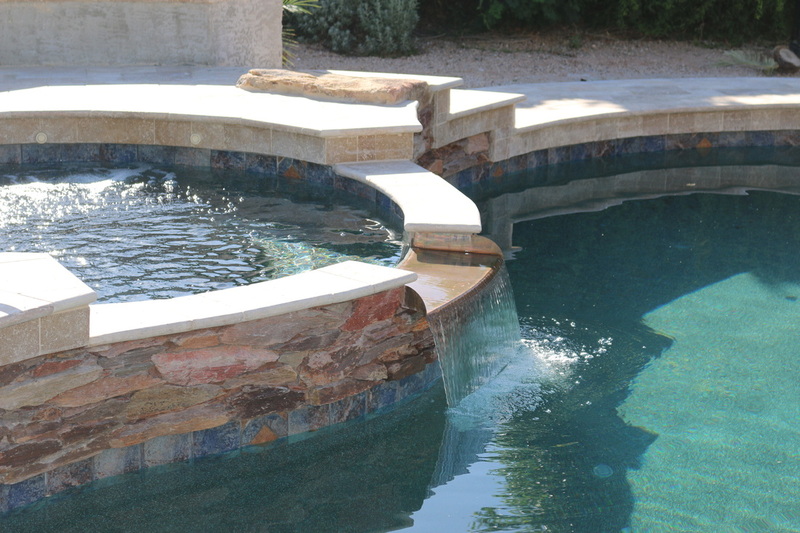 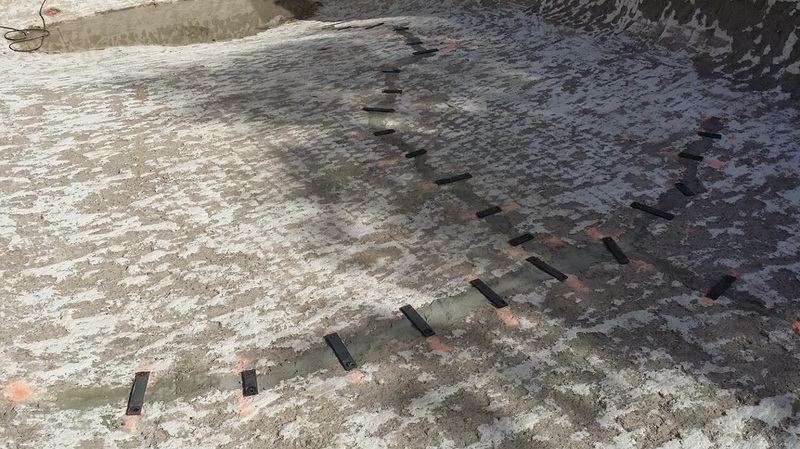 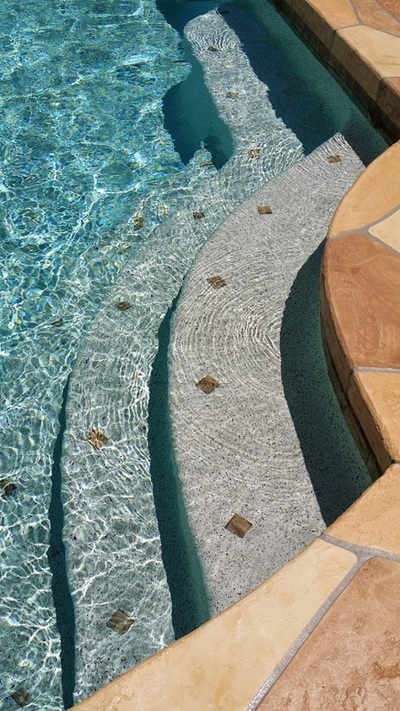 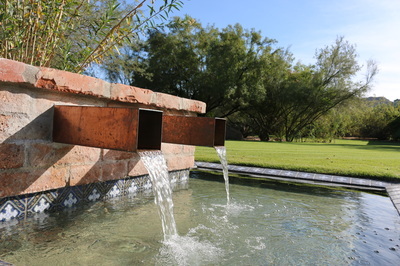 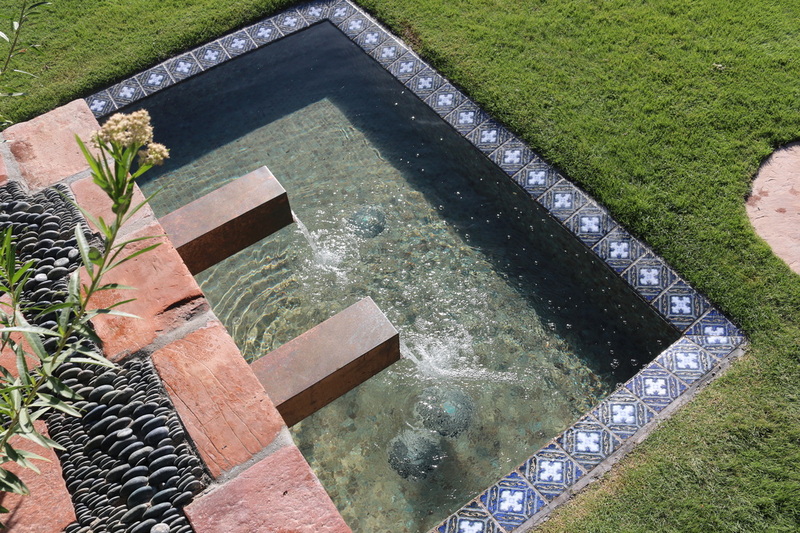 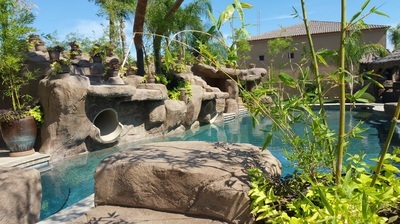 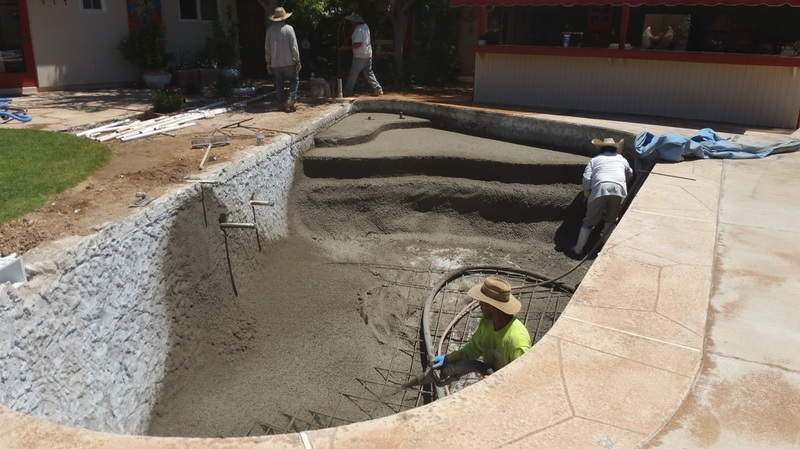 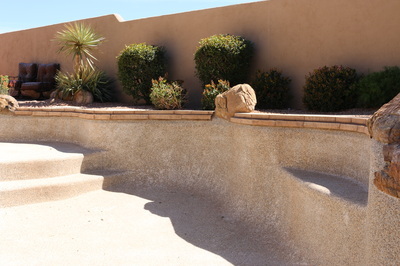 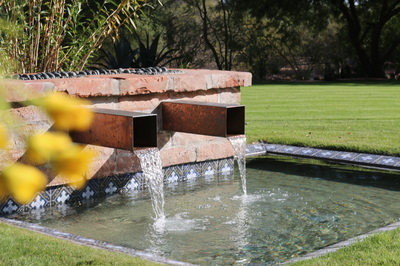 After your pool project is completed, you'll receive a comprehensive consultation and walk-thru on your pool project. Our job is to make sure you're completely satisfied! Free pool service! 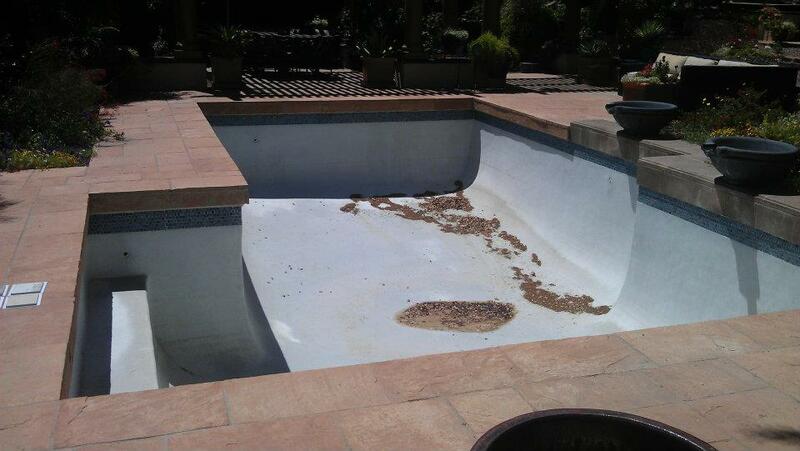 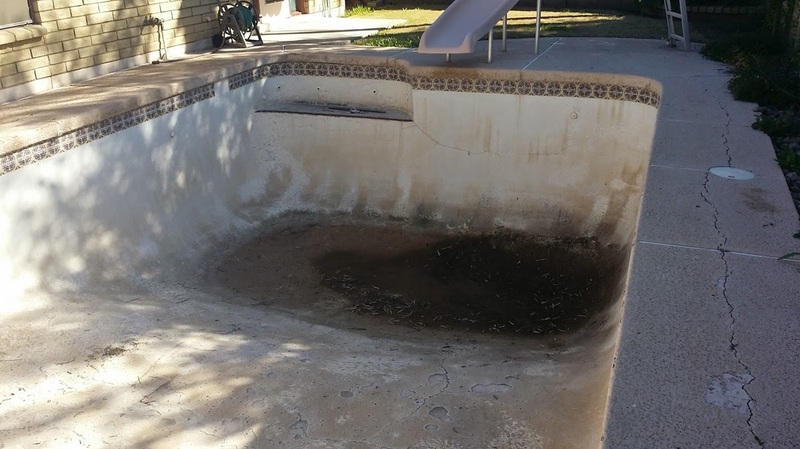 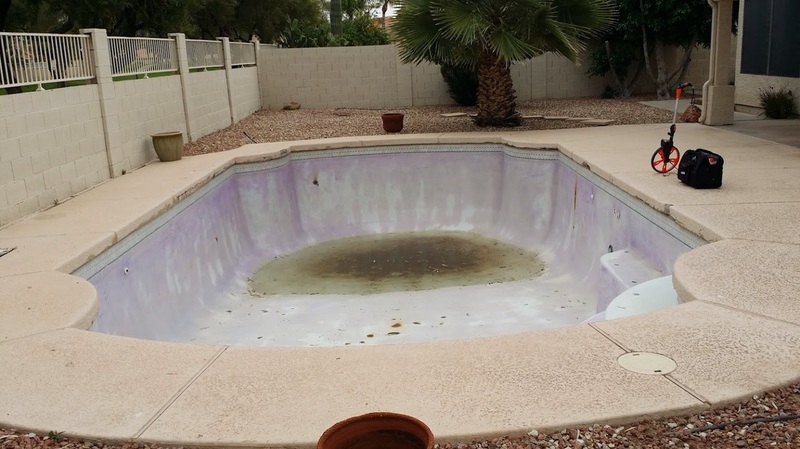 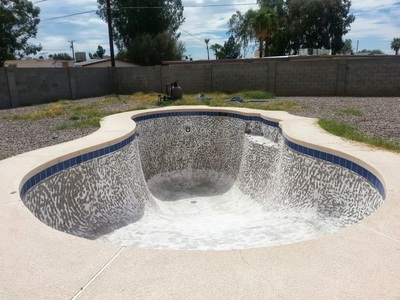 We provide 4 weeks of absolutely free pool care after any renovation project that includes a new interior surface. 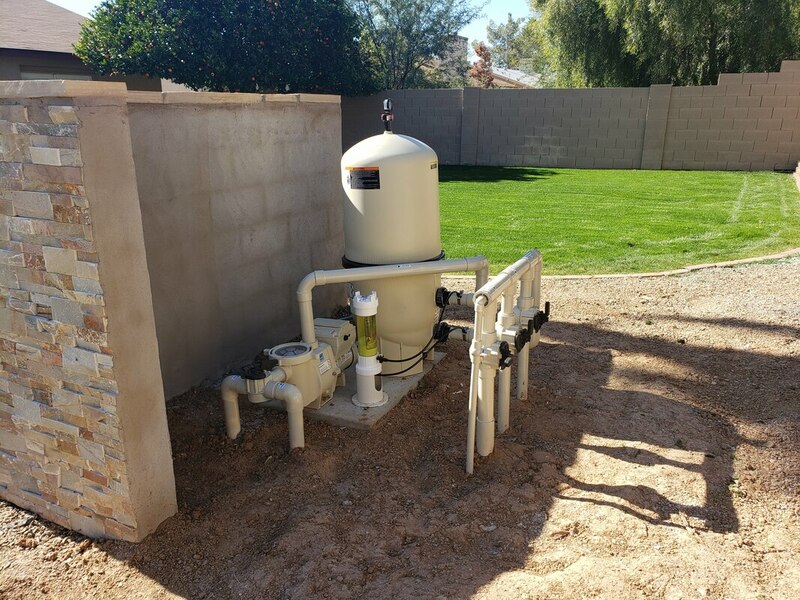 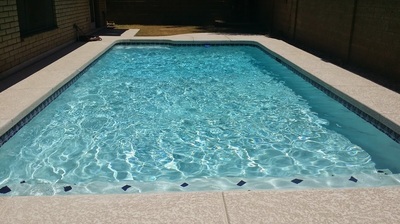 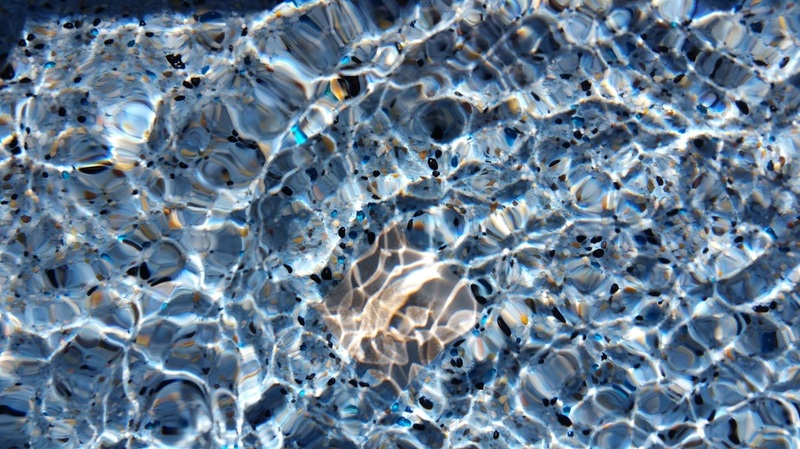 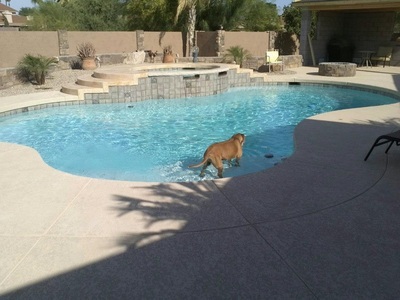 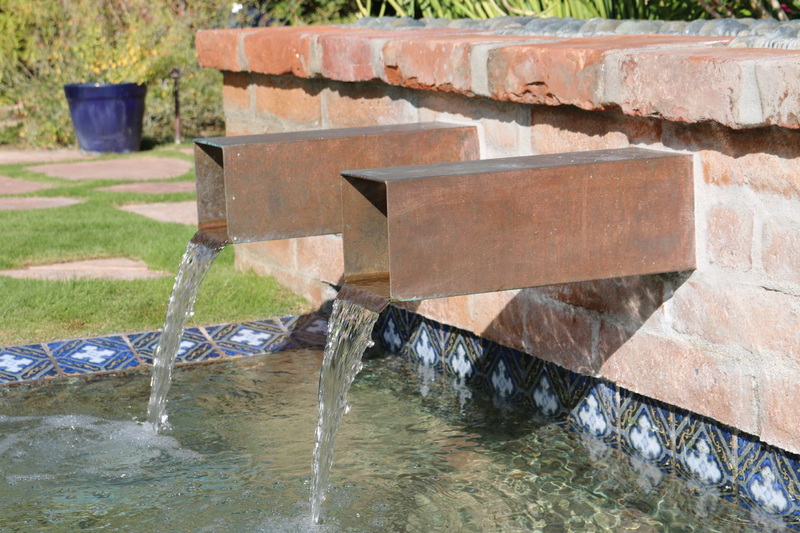 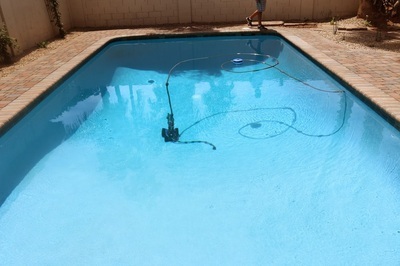 We also provide 12 free weeks of pool service immediately after any new pool build project. 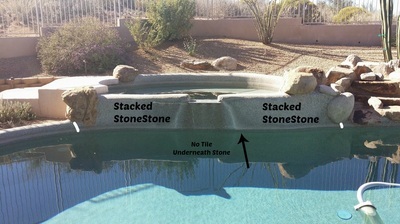 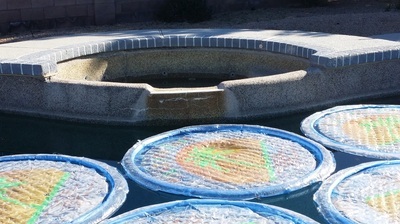 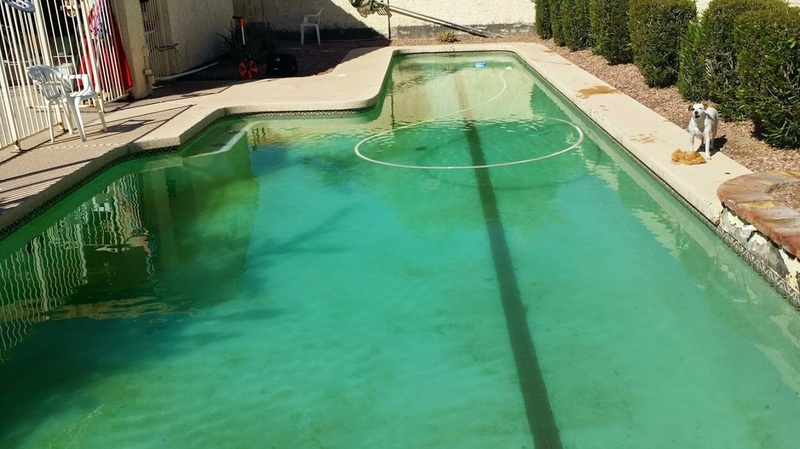 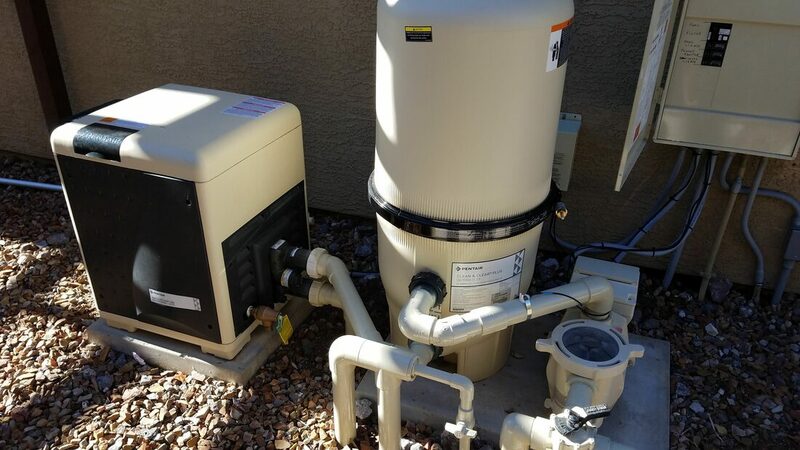 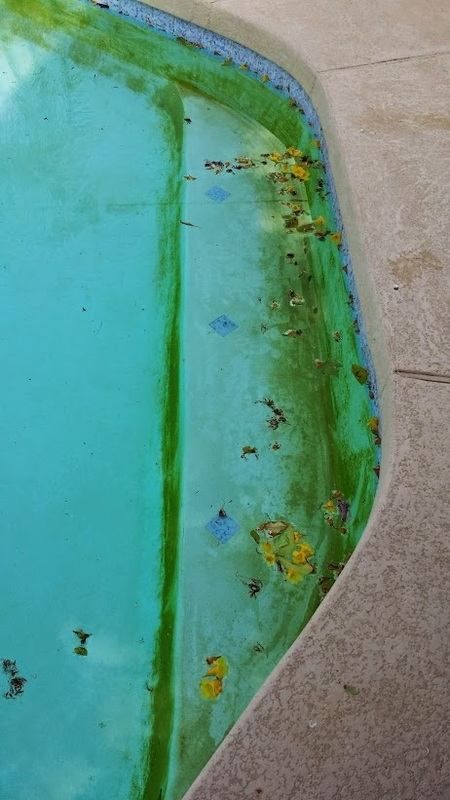 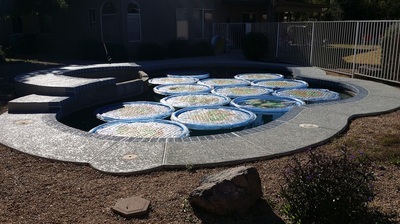 This gives us an opportunity to make sure all is OK with your pool. After the free service time has elapsed, you can either continue weekly pool care with us, or choose to maintain the pool however you'd like. 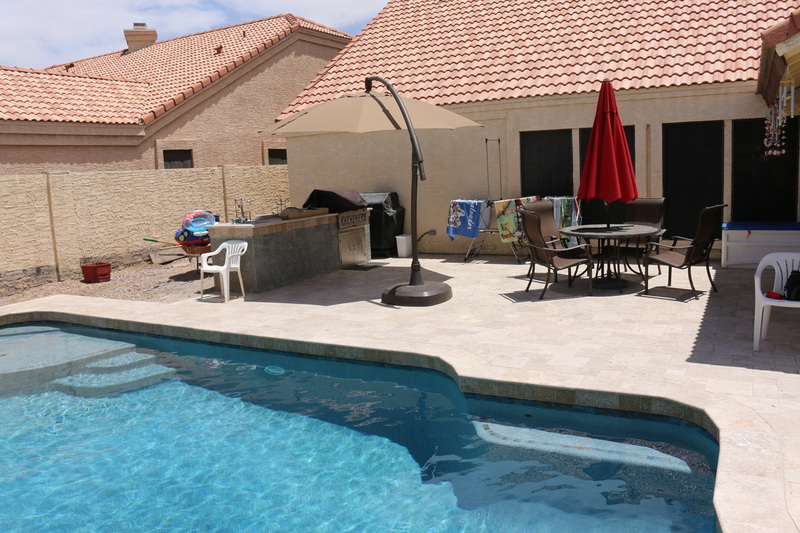 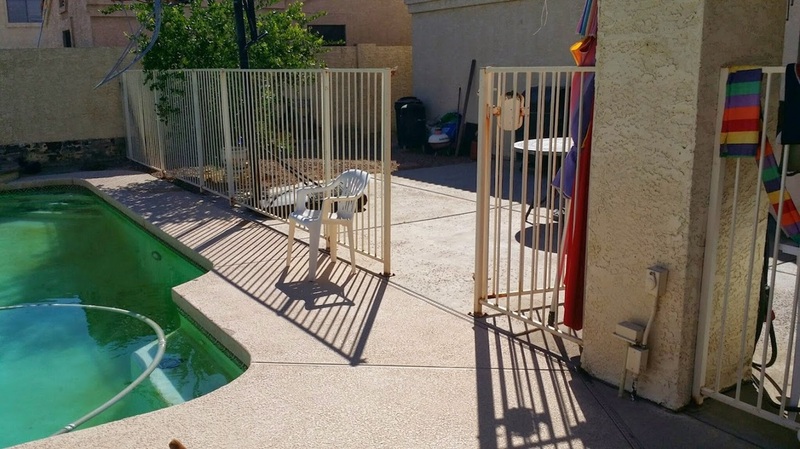 Continued pool care and extended warranties! We're unlike other pool builders. 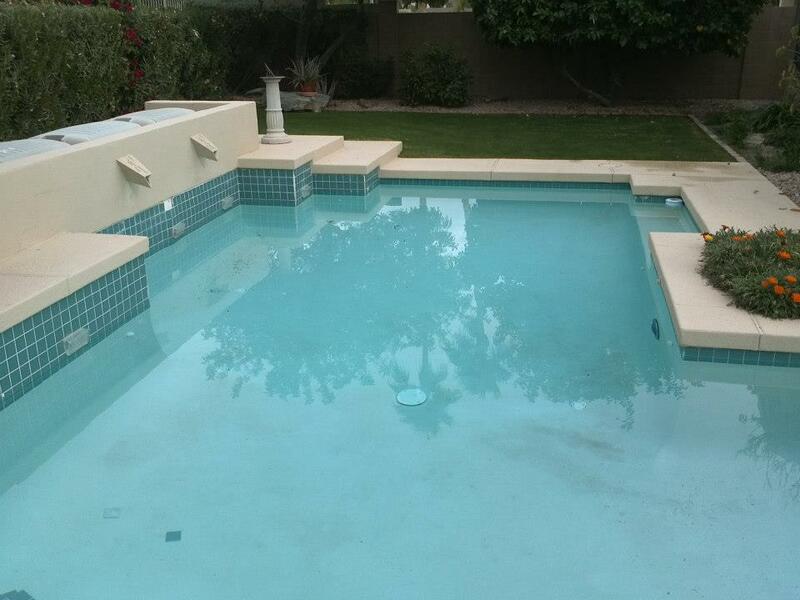 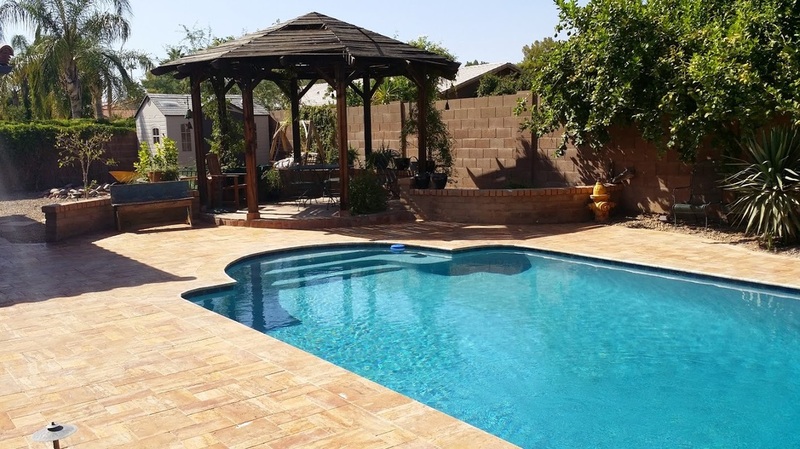 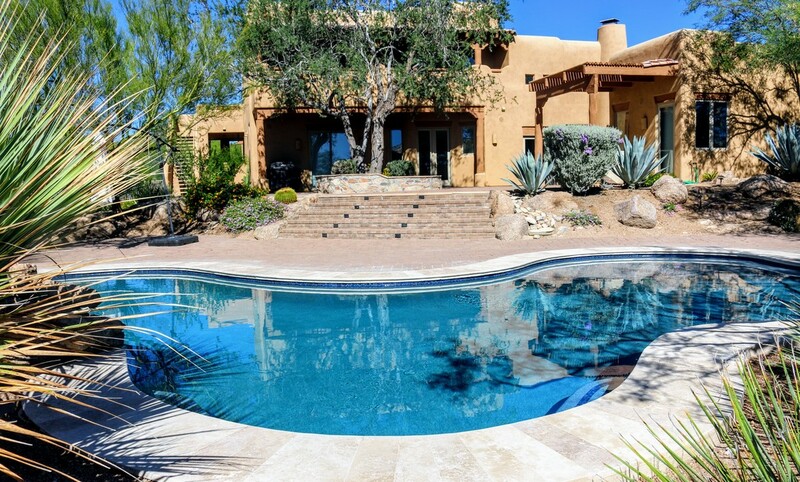 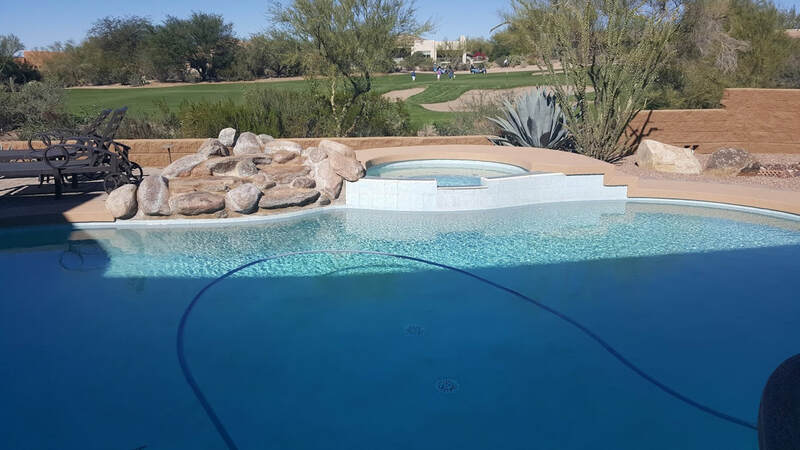 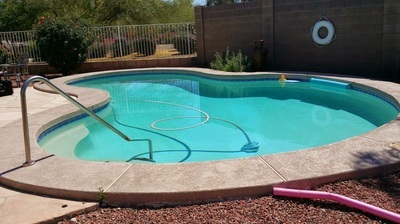 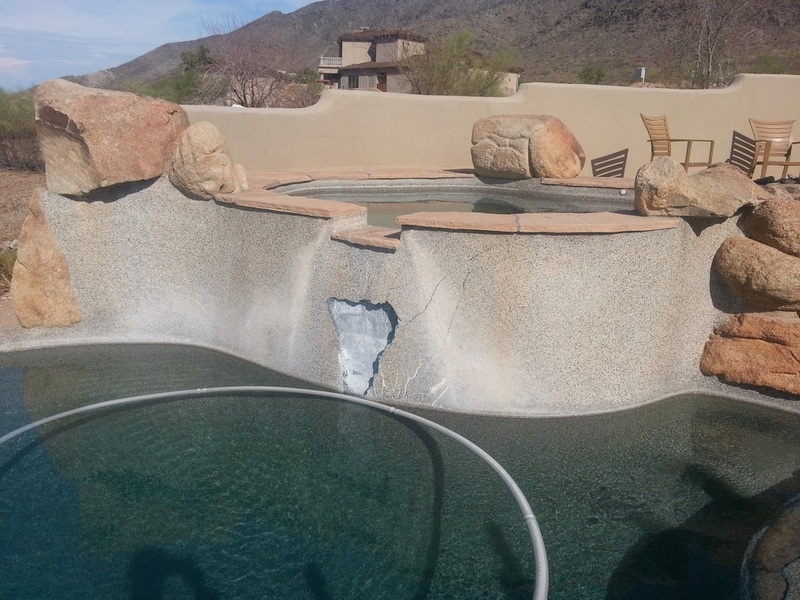 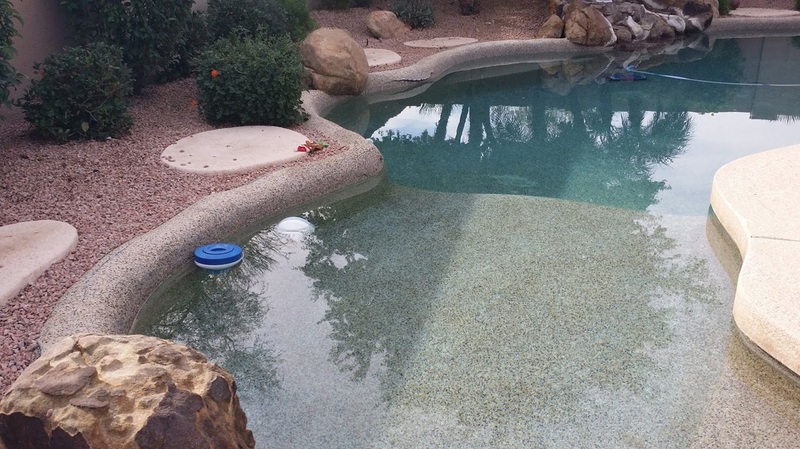 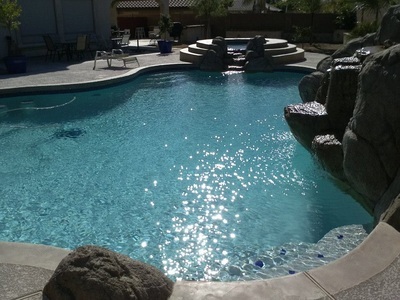 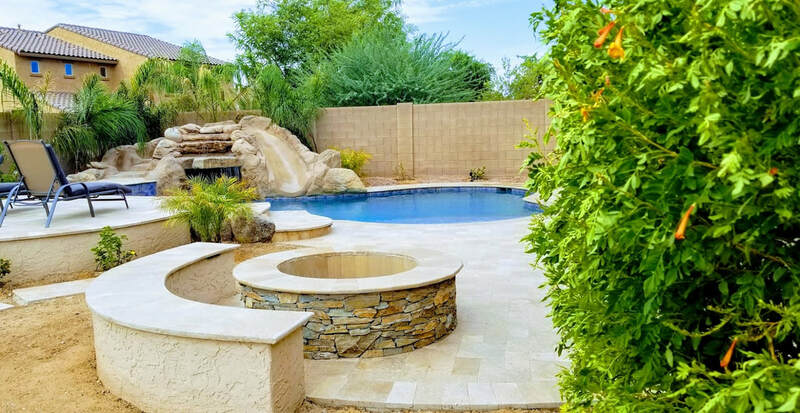 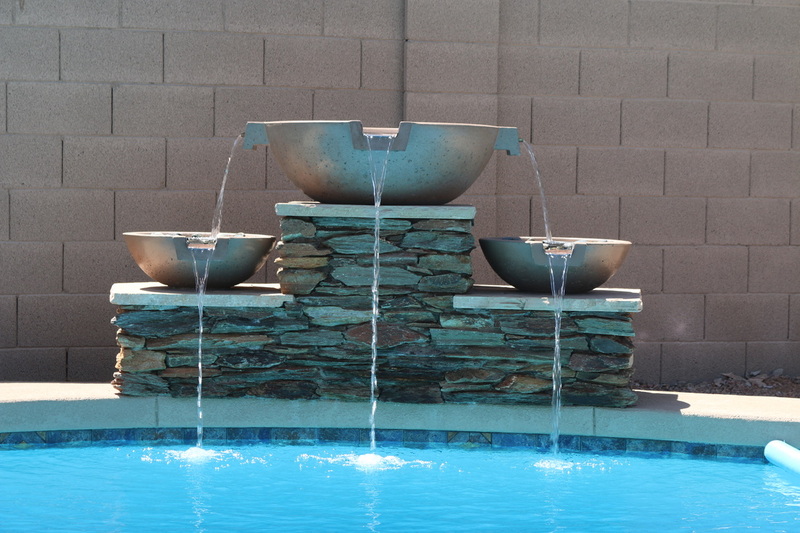 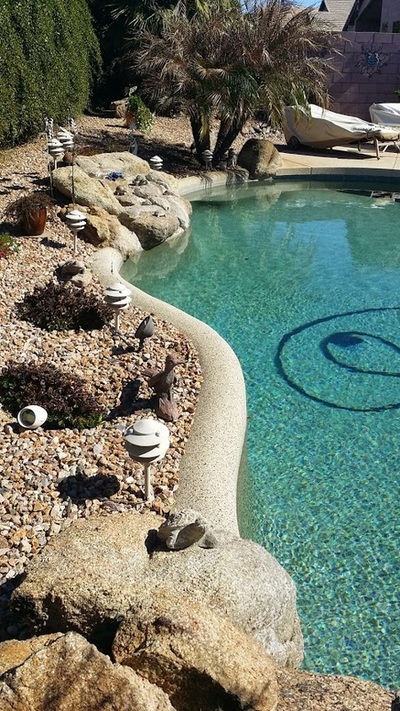 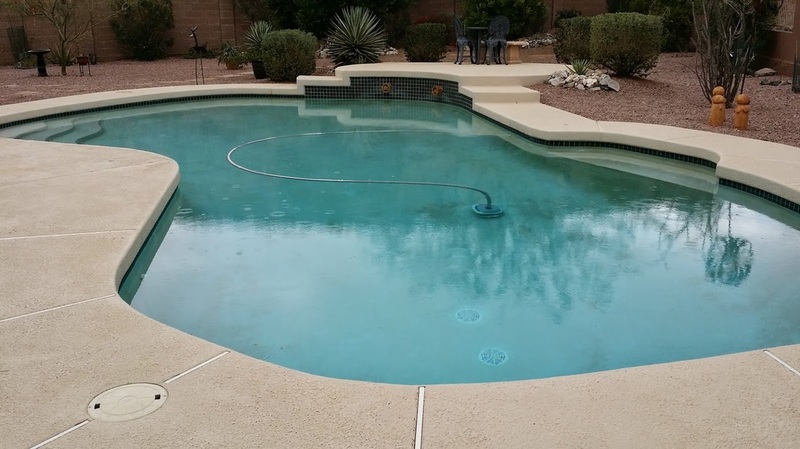 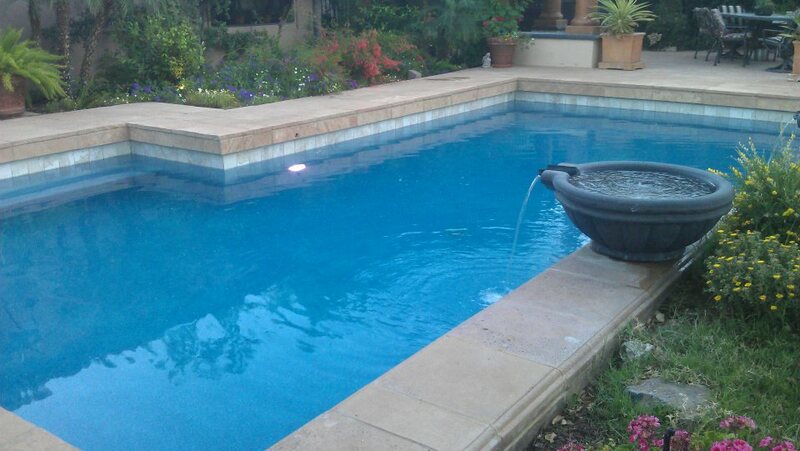 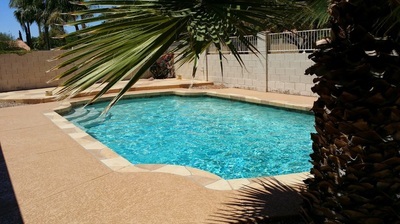 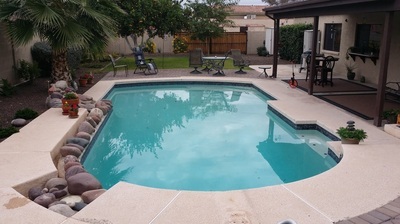 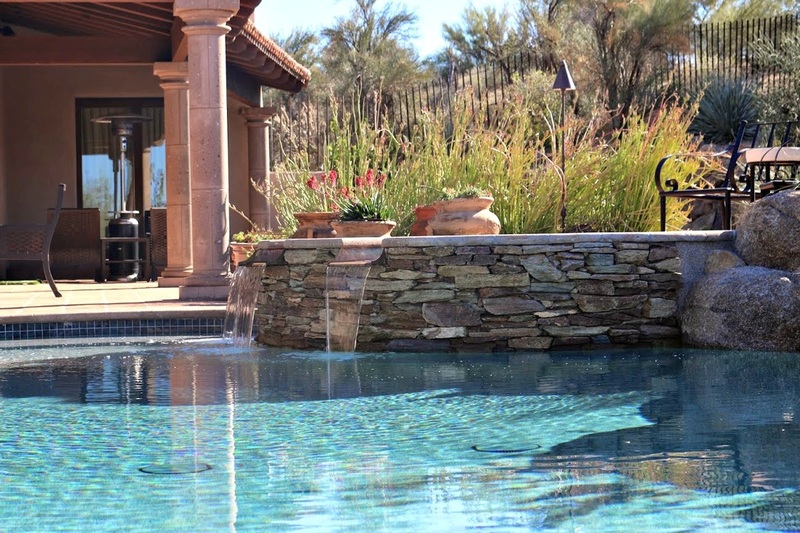 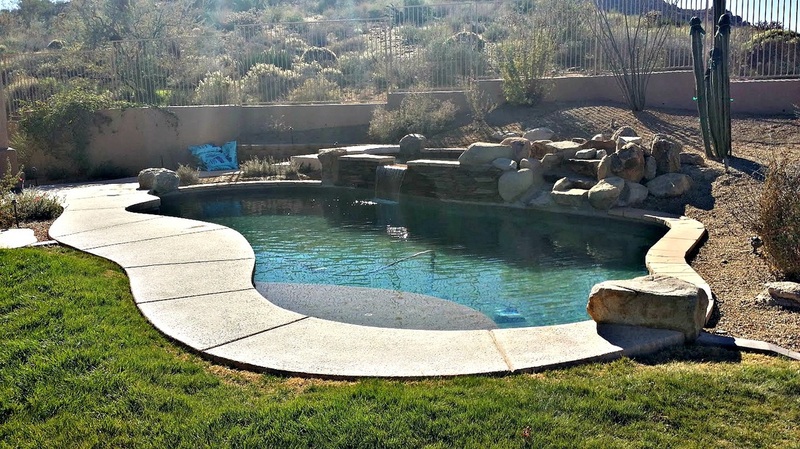 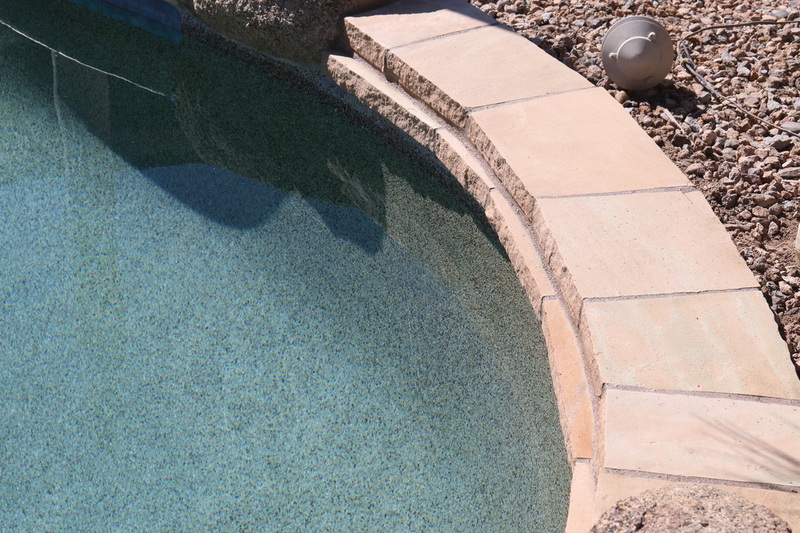 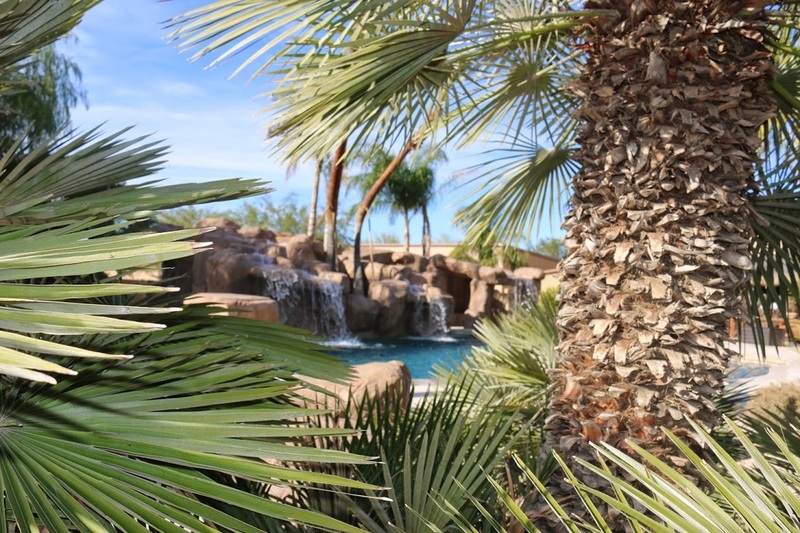 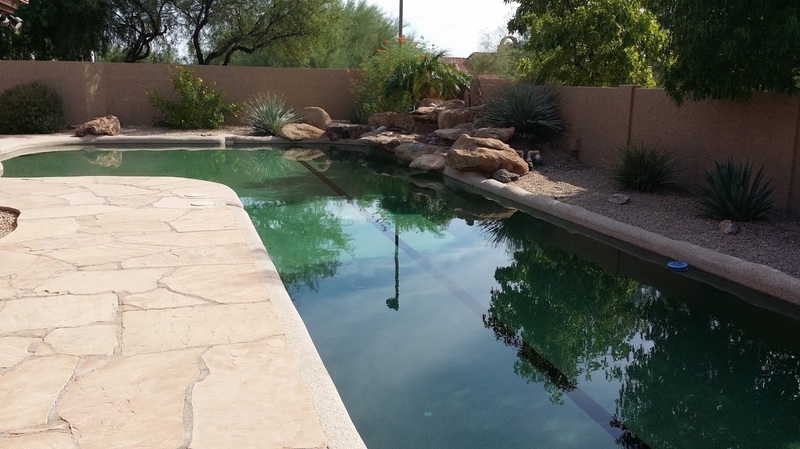 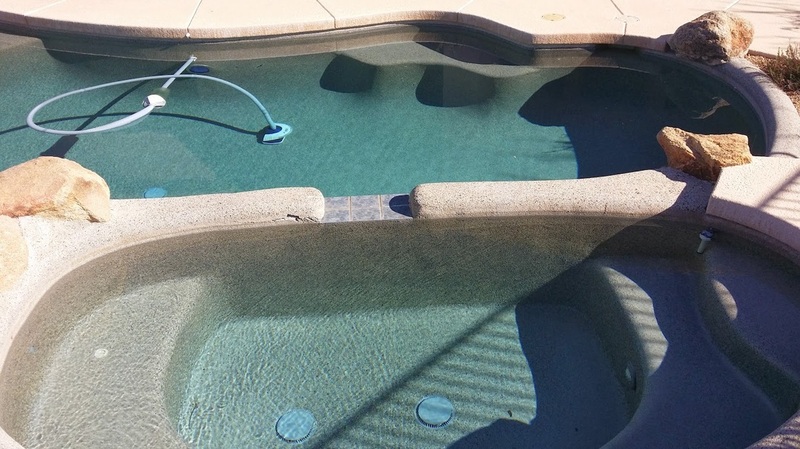 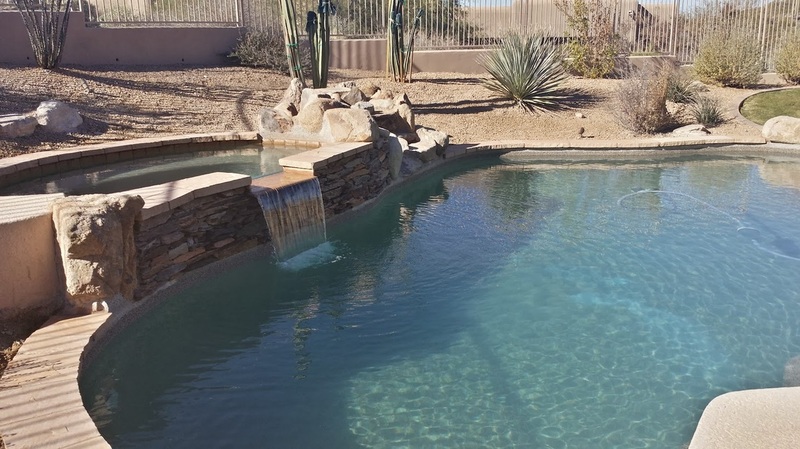 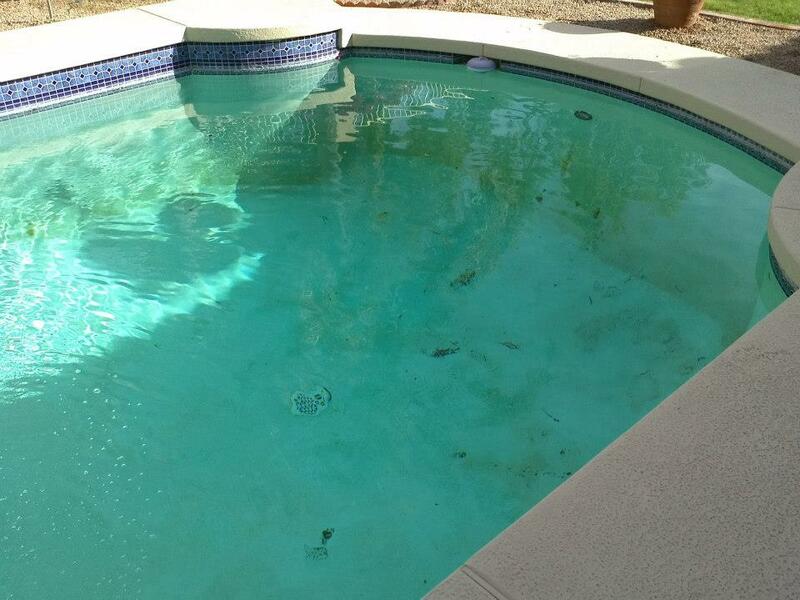 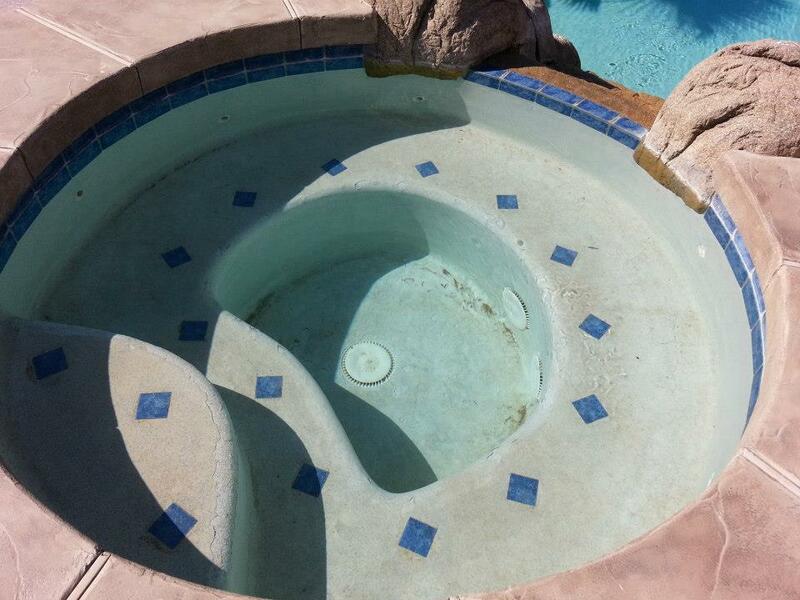 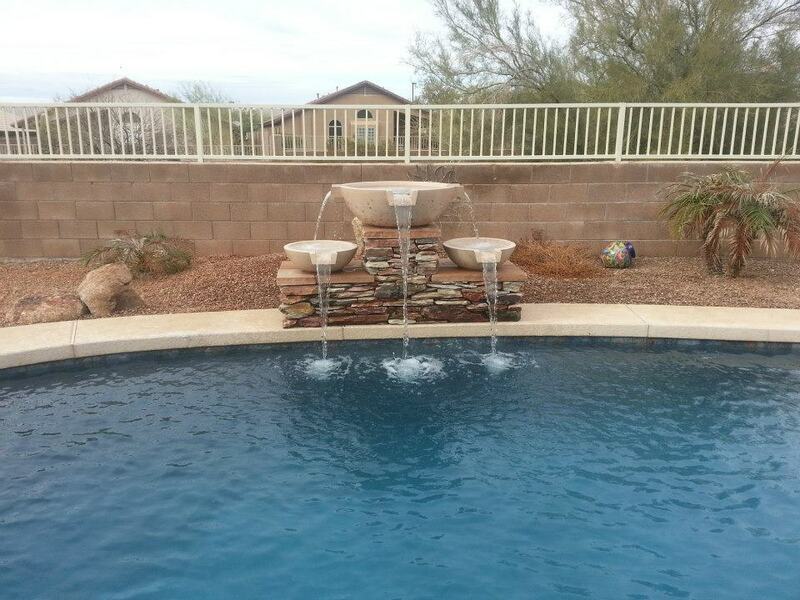 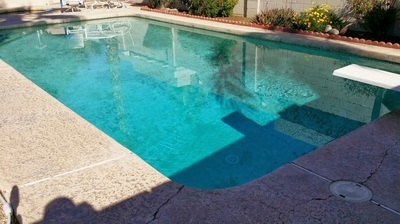 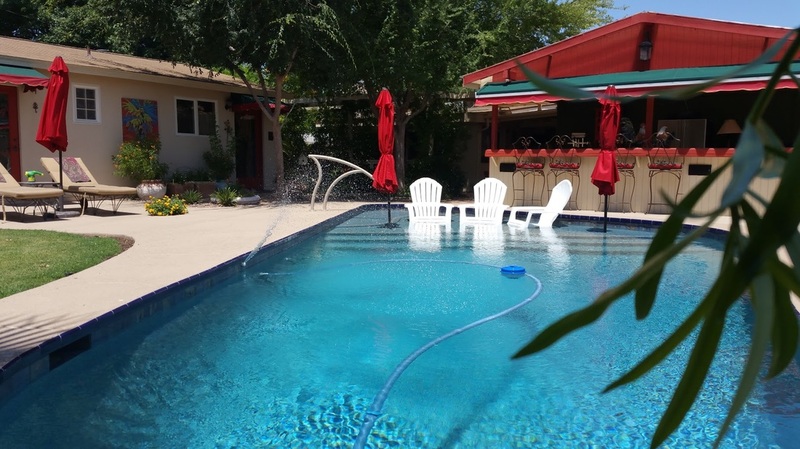 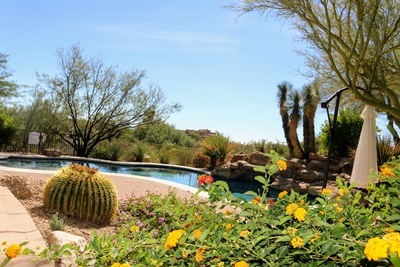 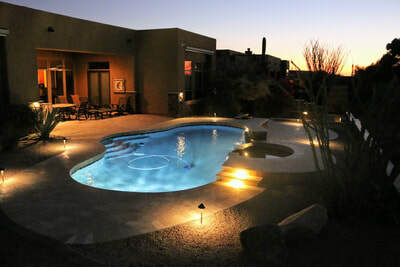 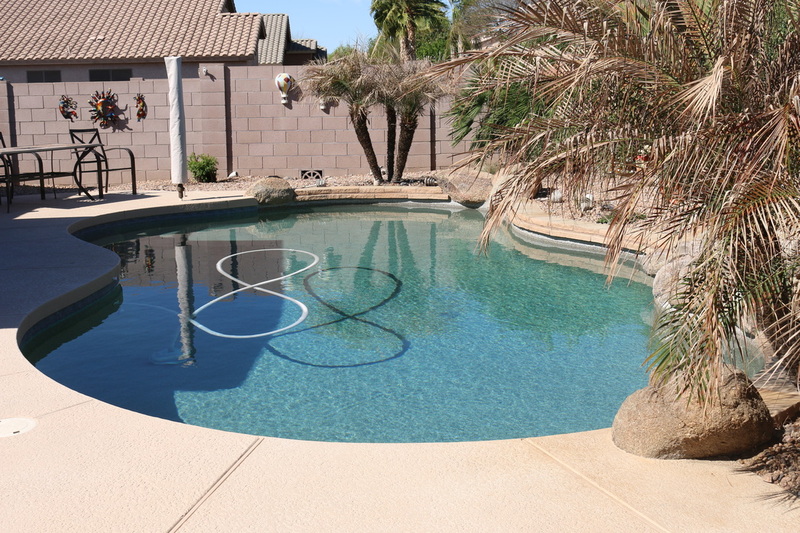 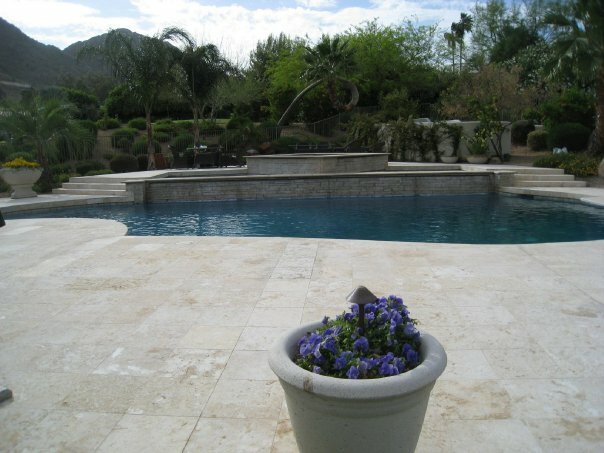 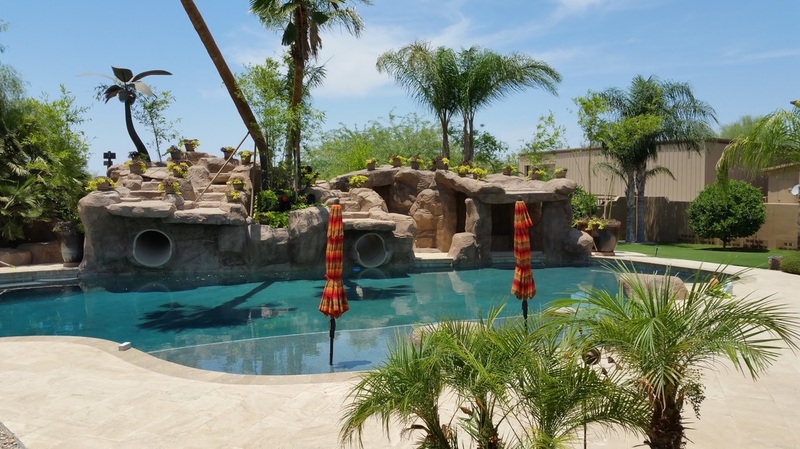 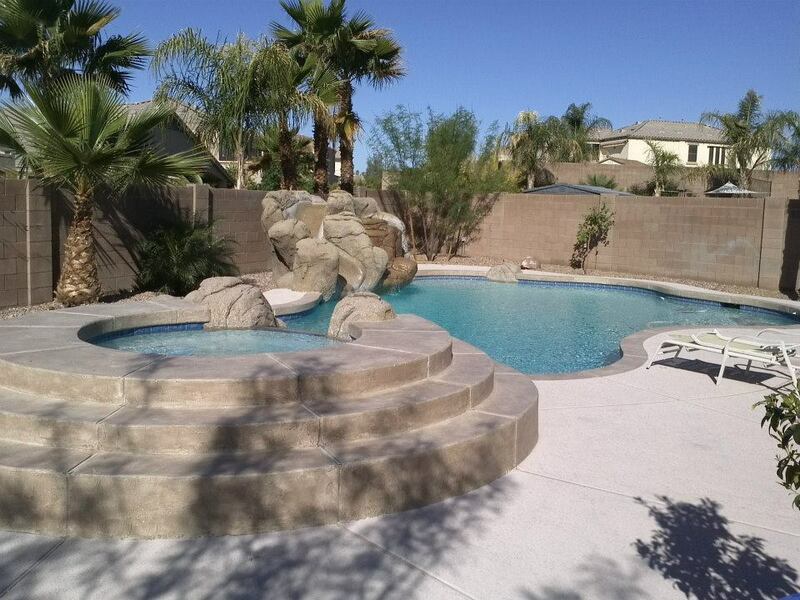 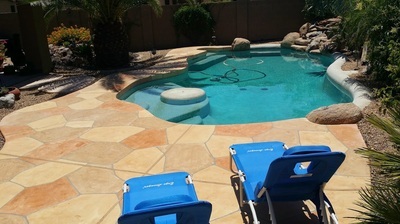 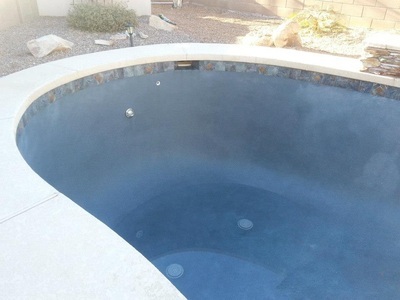 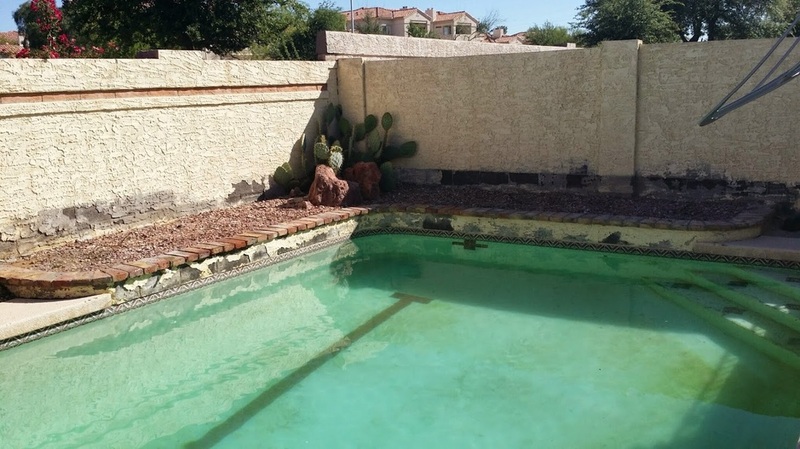 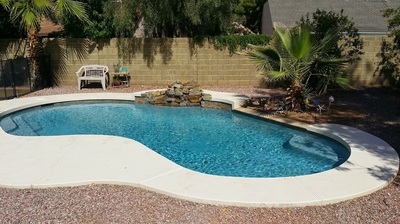 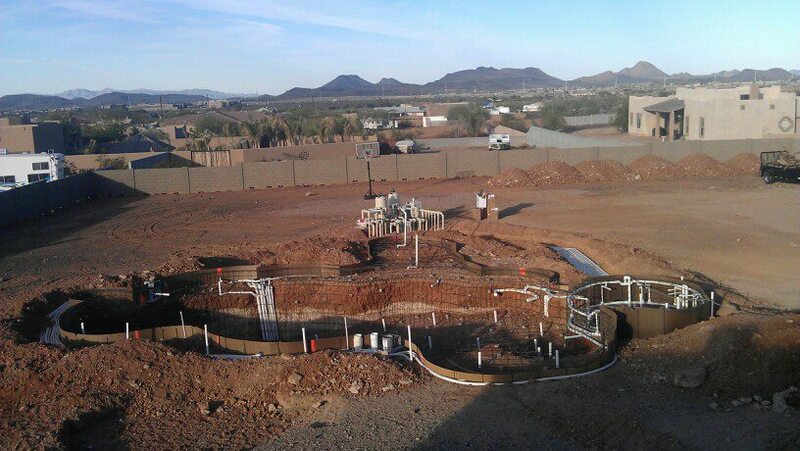 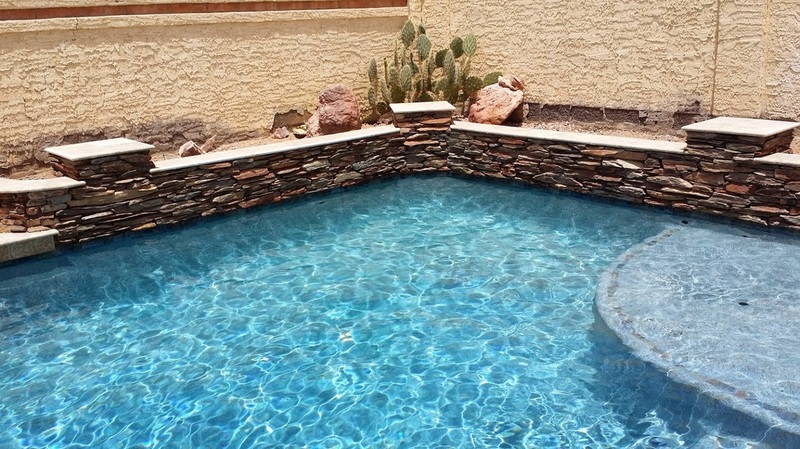 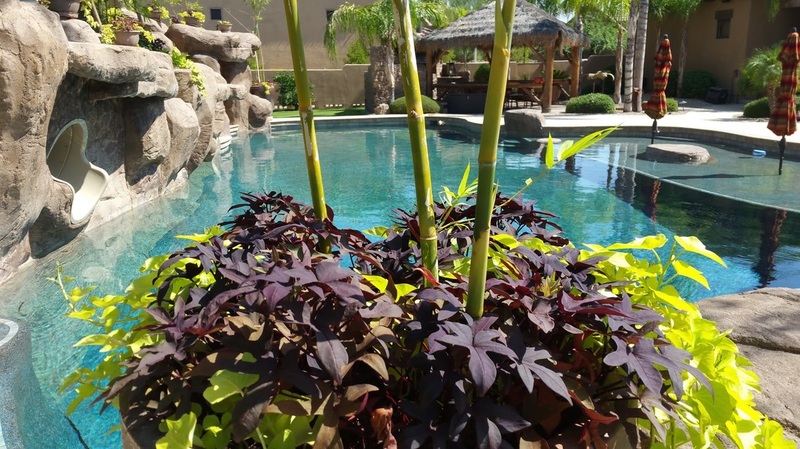 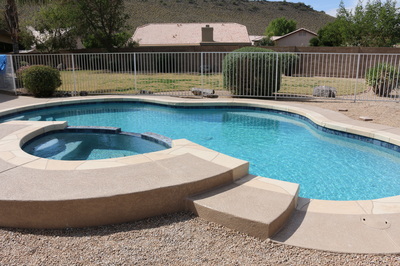 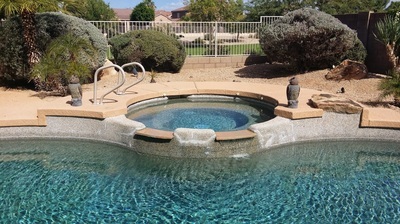 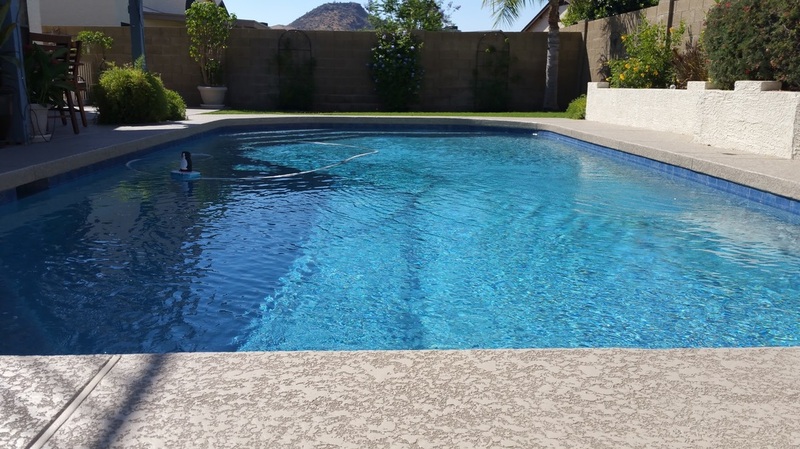 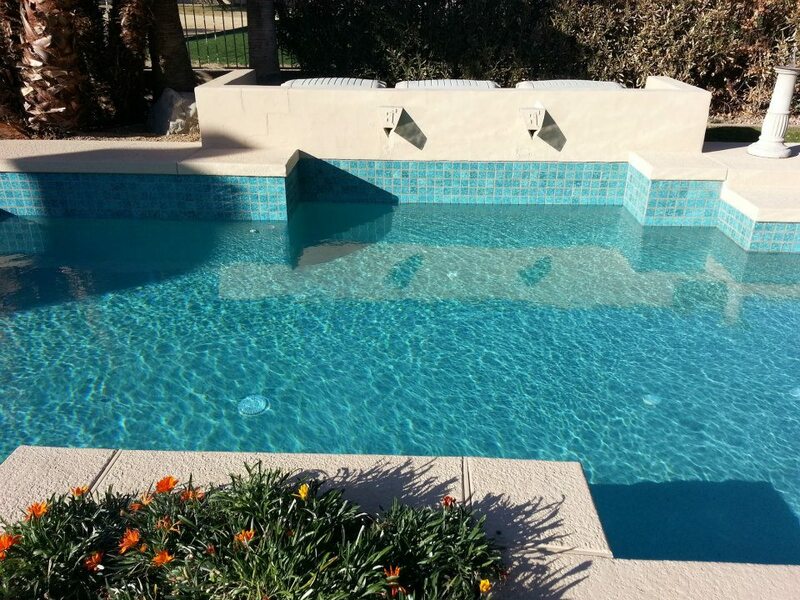 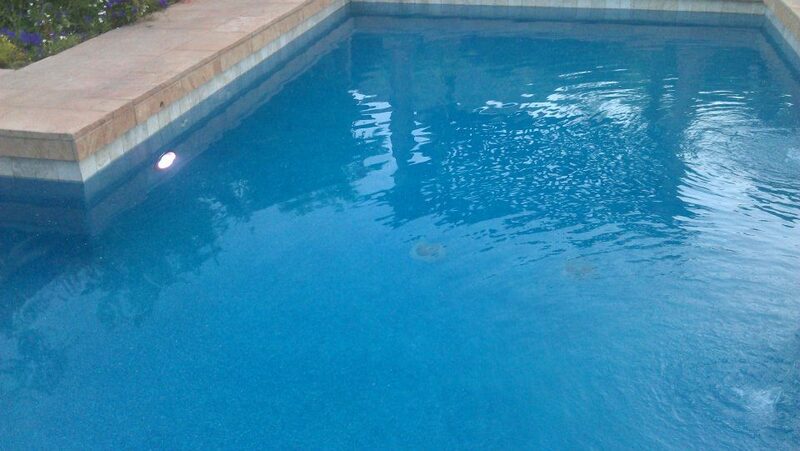 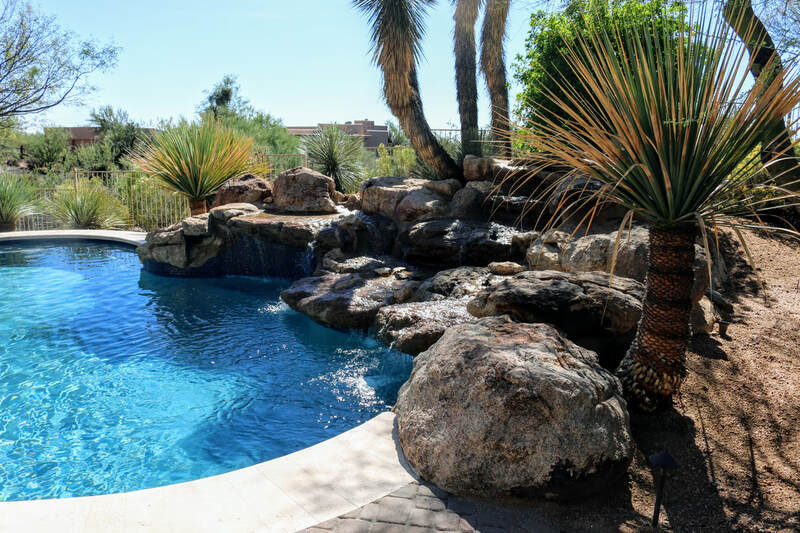 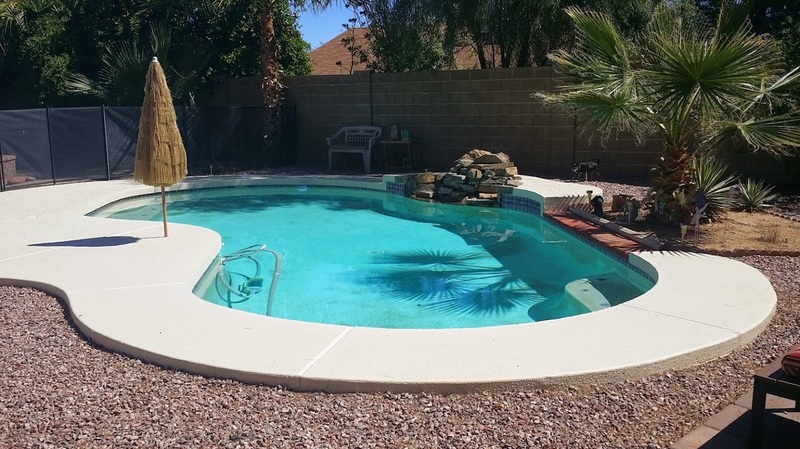 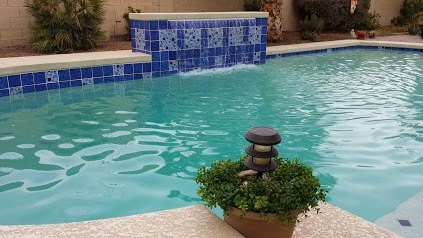 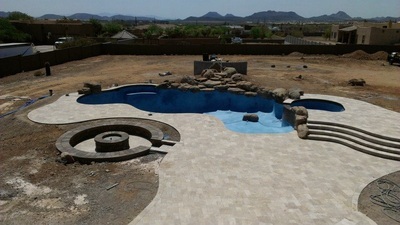 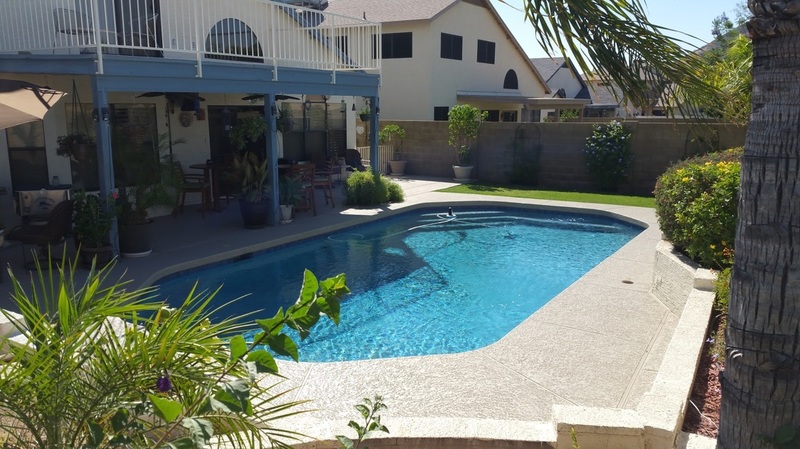 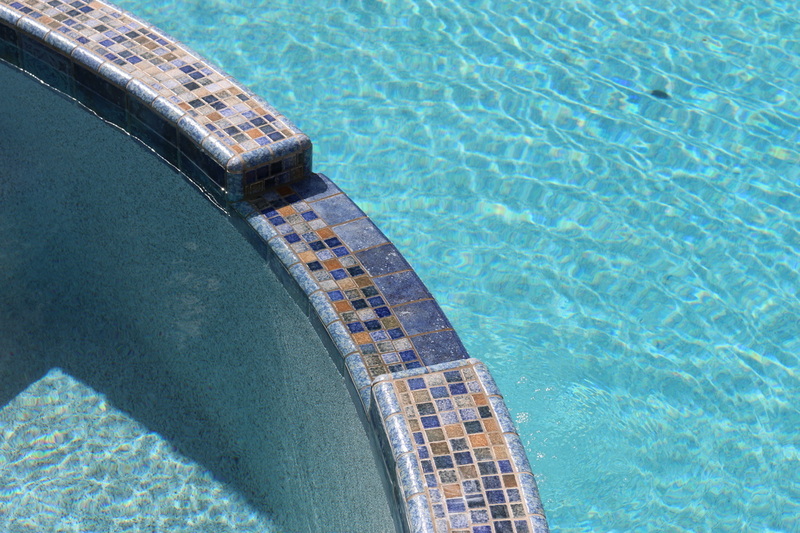 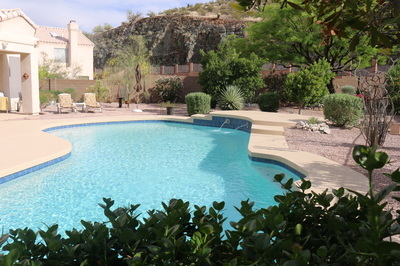 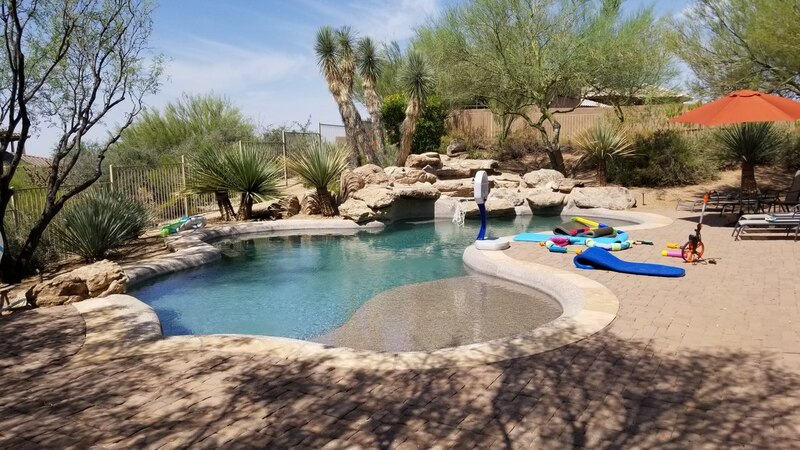 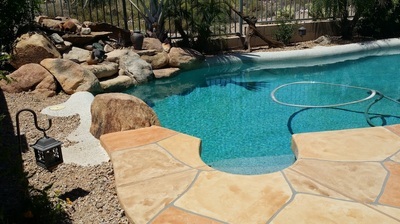 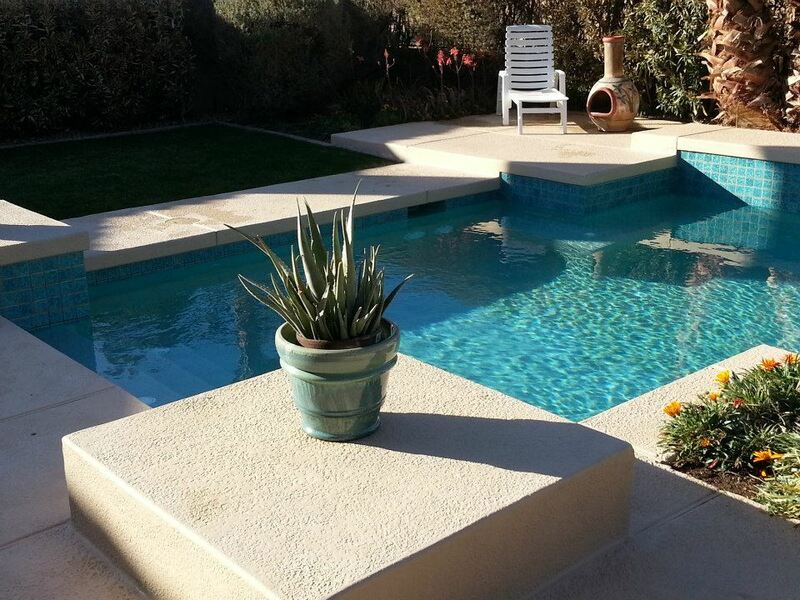 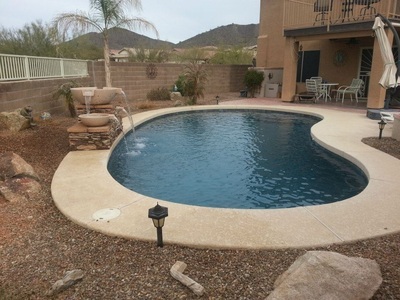 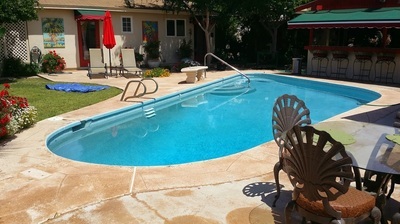 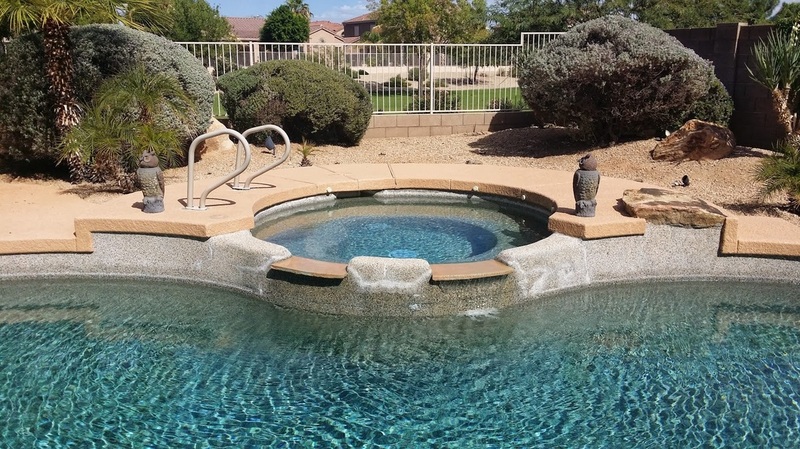 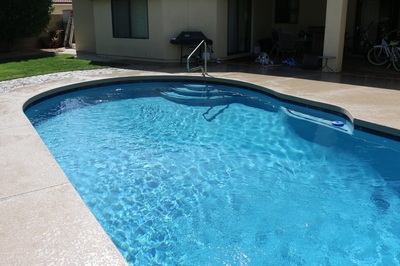 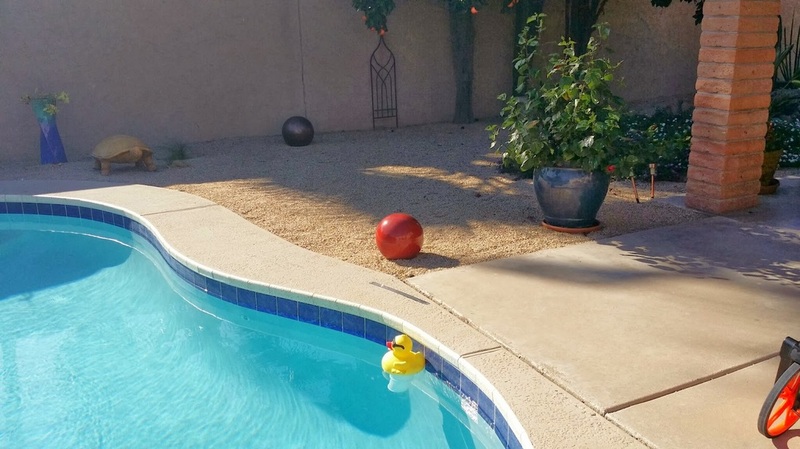 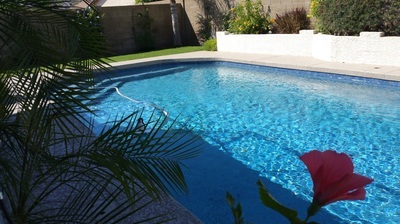 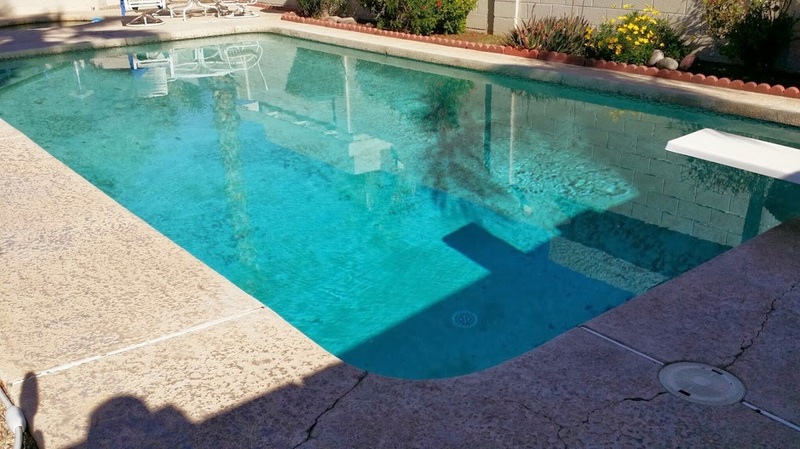 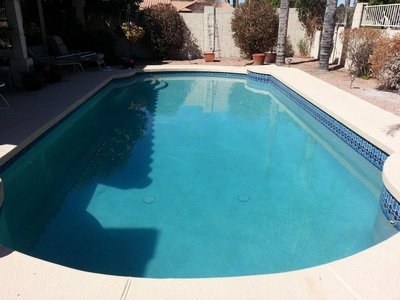 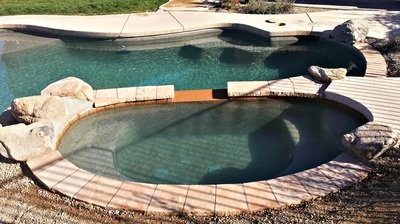 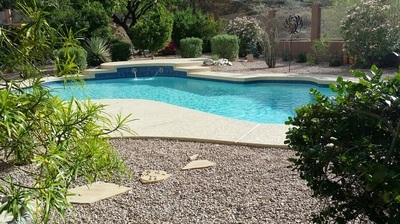 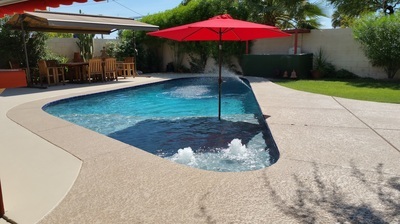 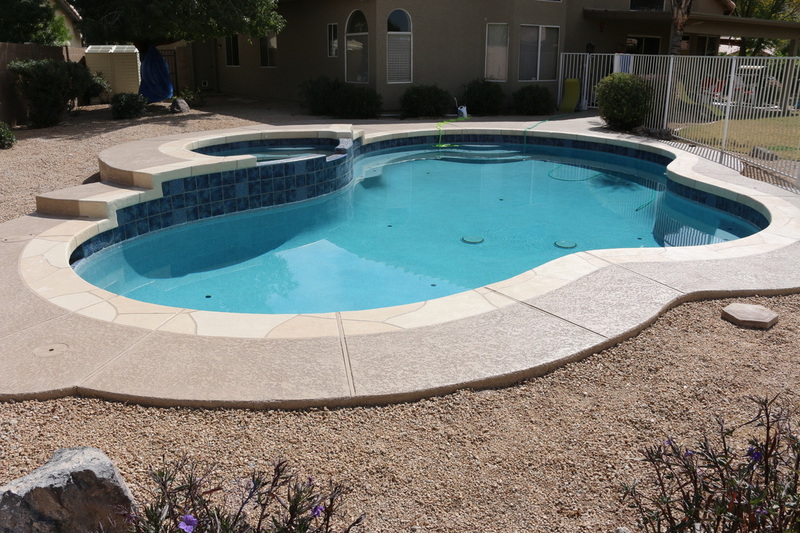 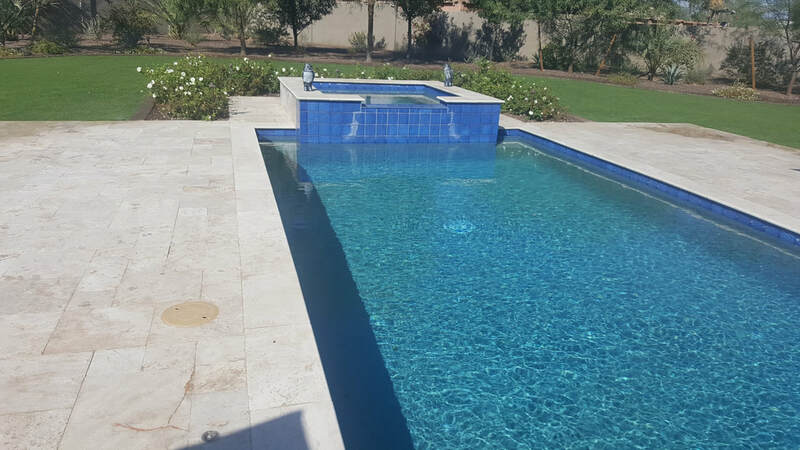 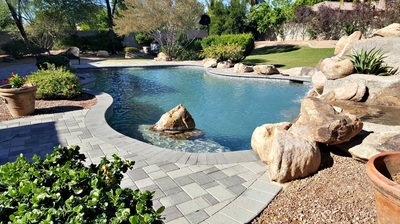 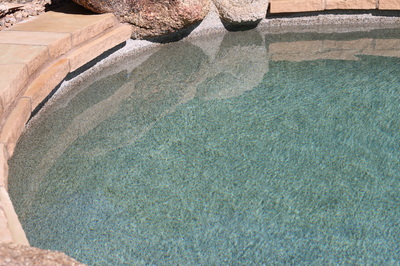 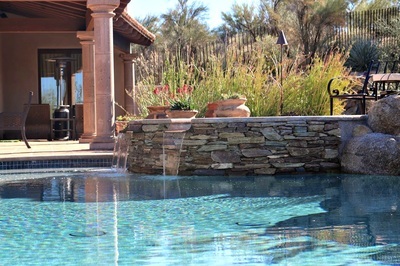 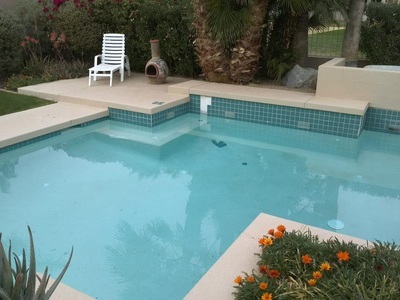 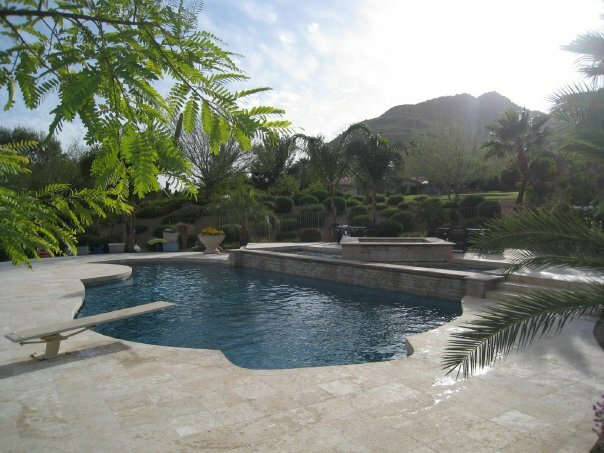 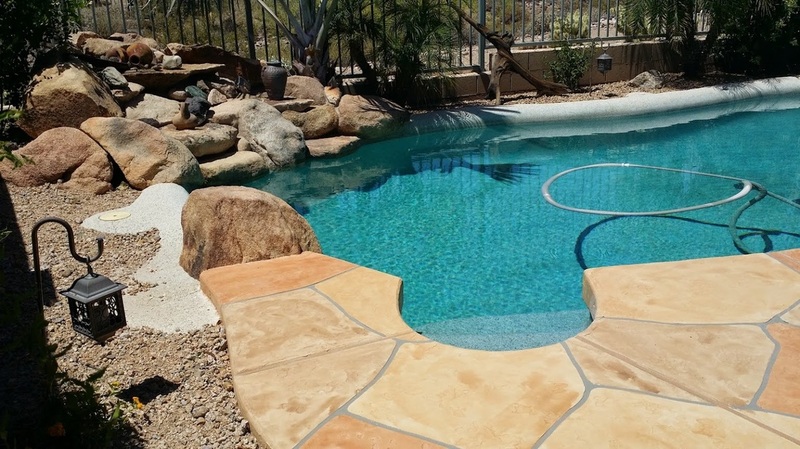 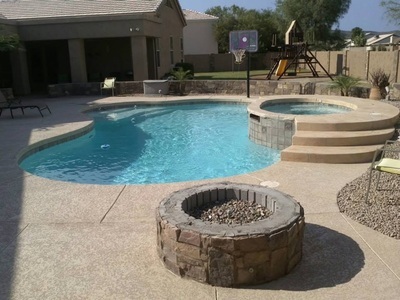 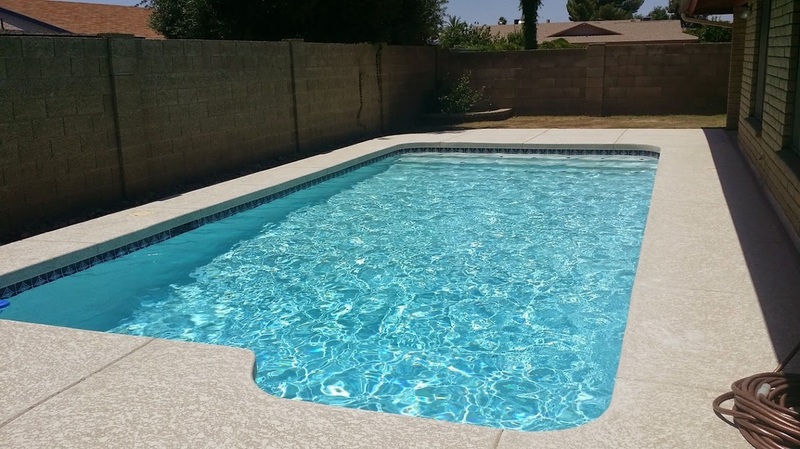 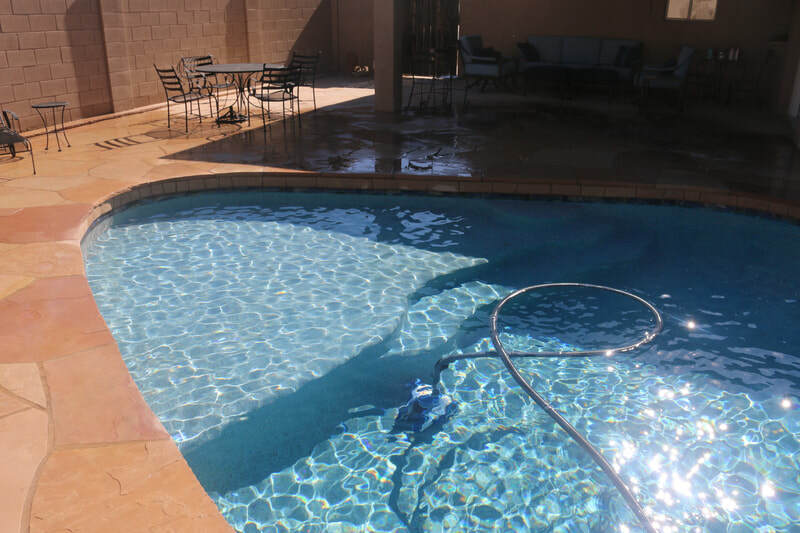 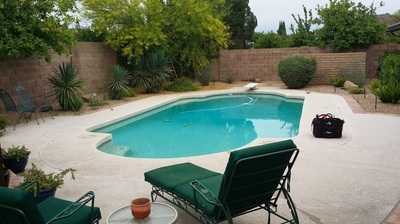 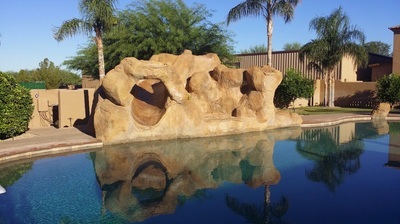 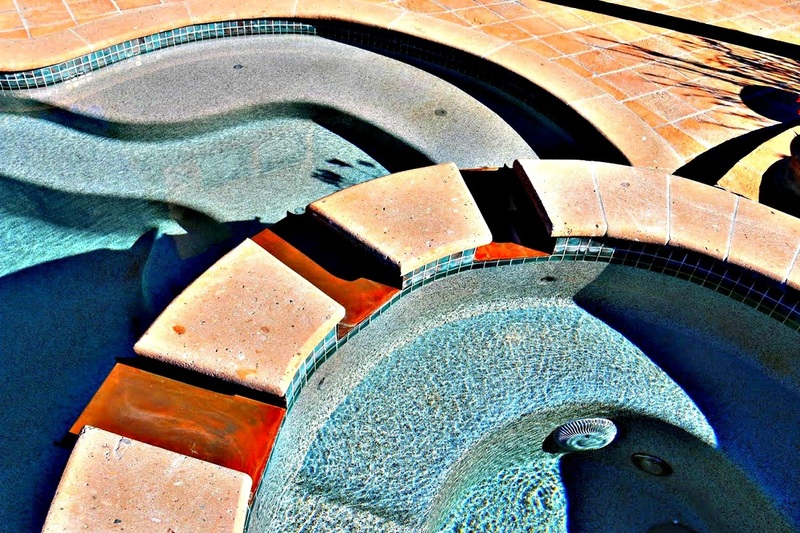 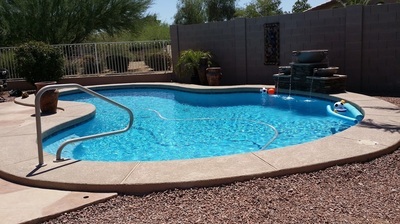 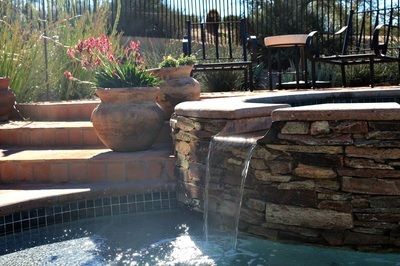 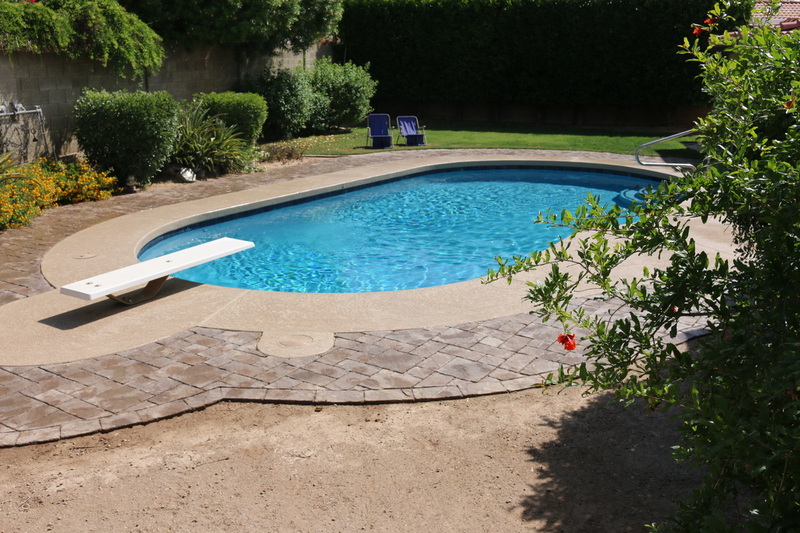 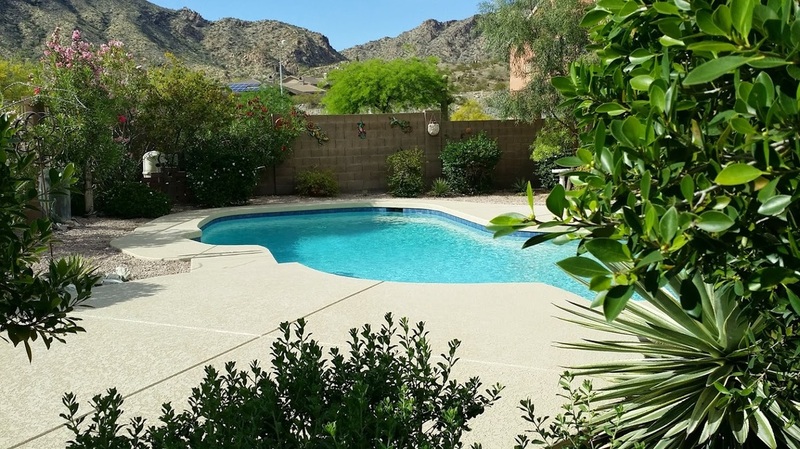 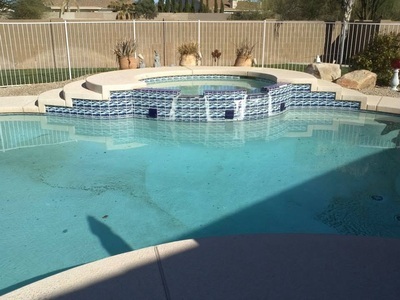 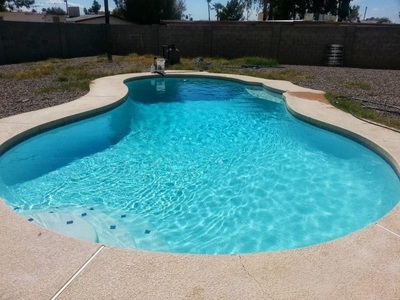 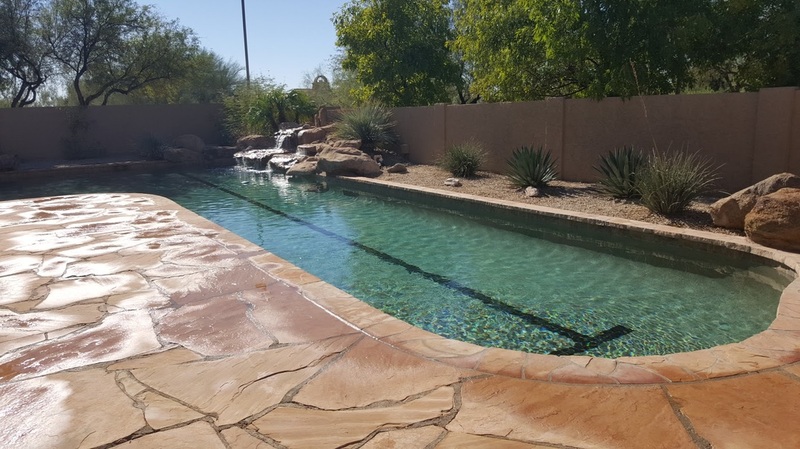 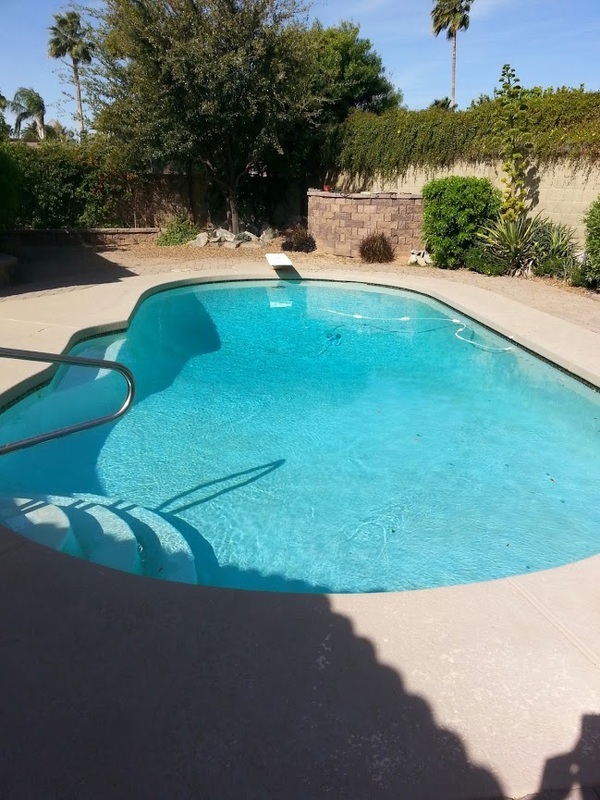 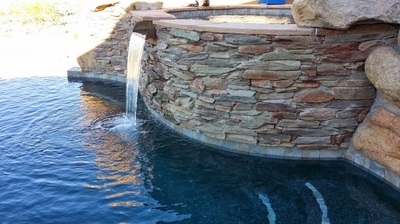 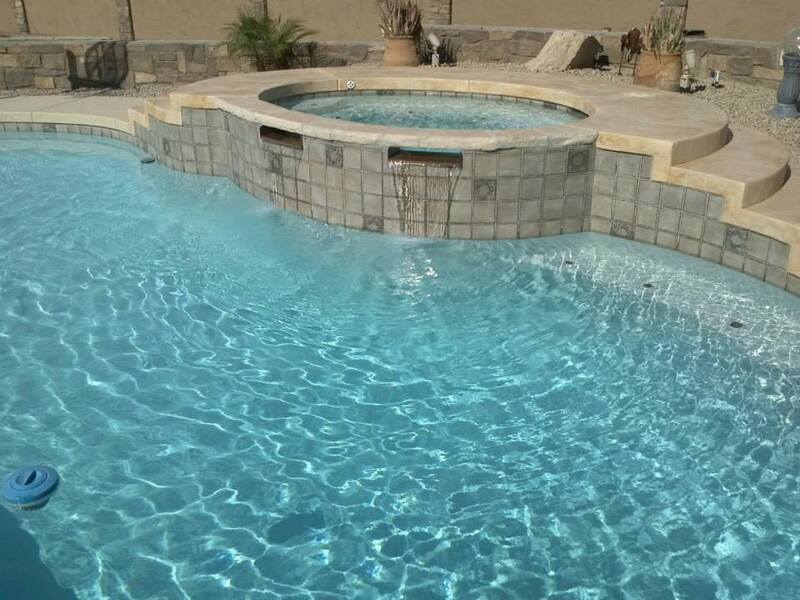 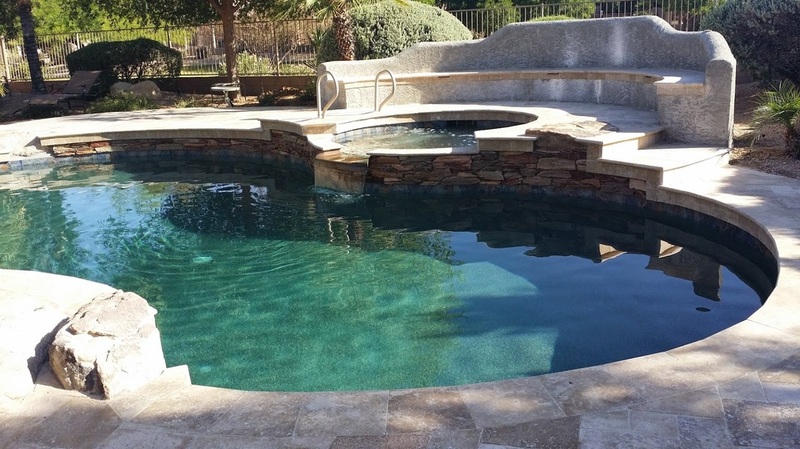 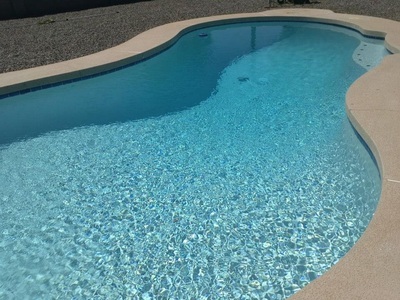 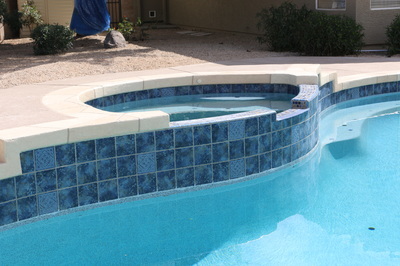 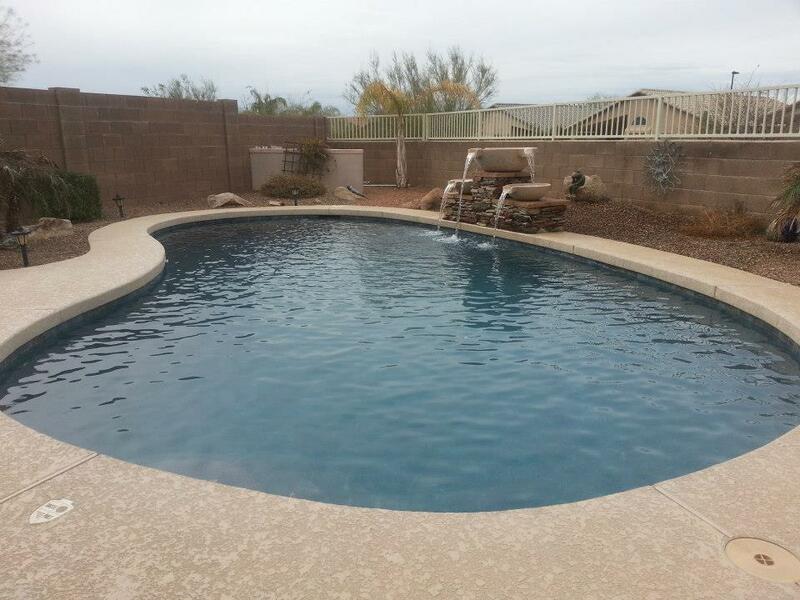 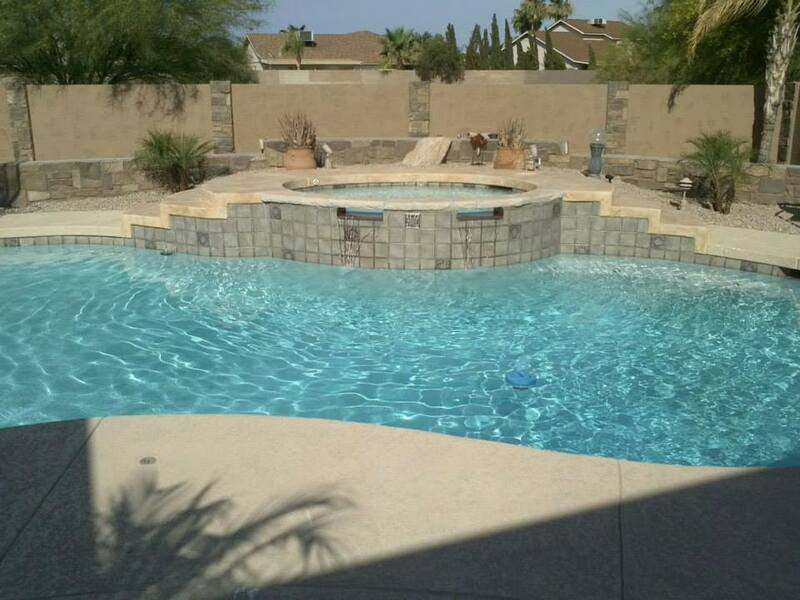 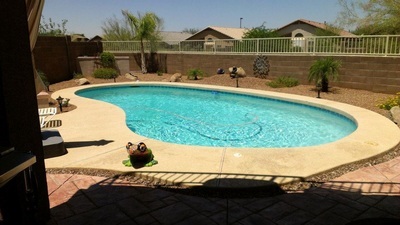 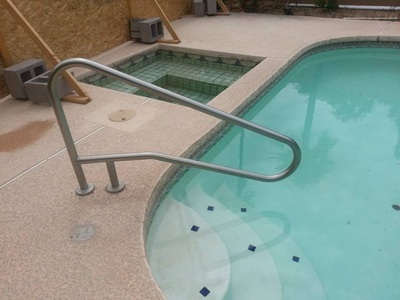 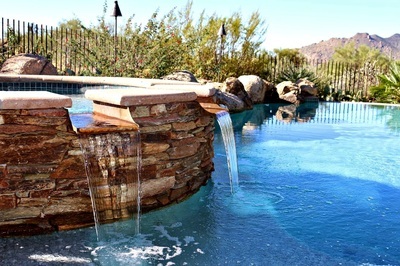 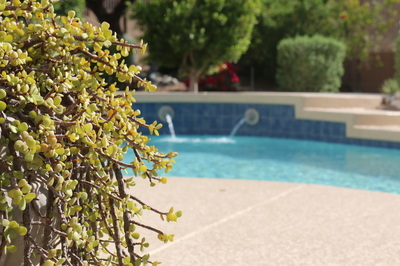 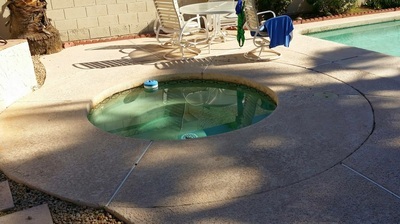 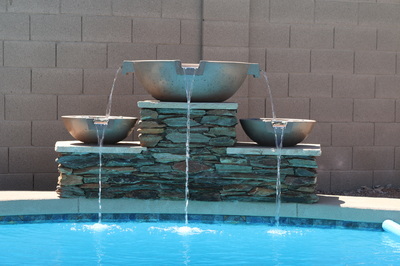 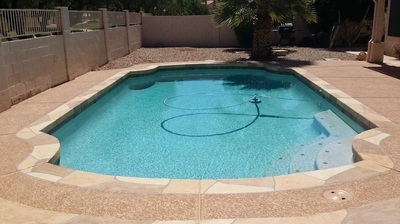 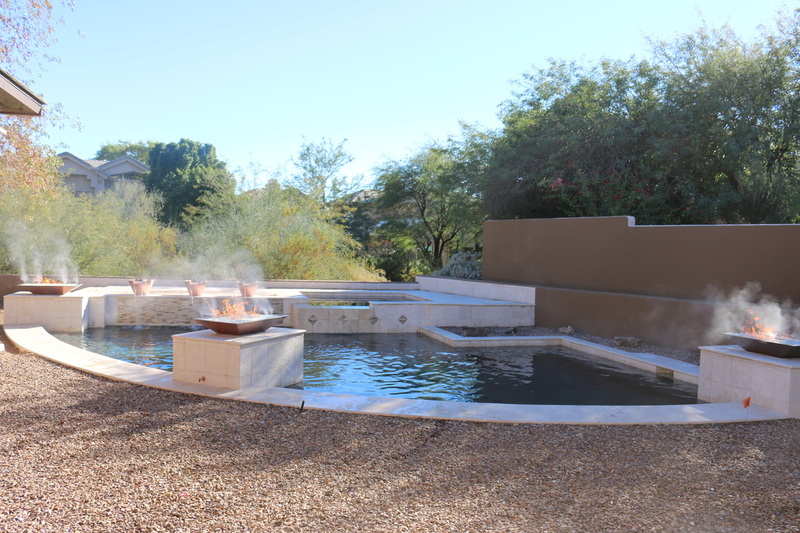 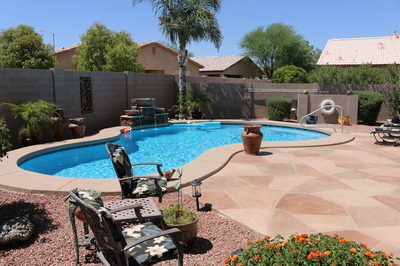 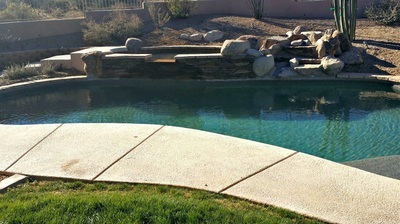 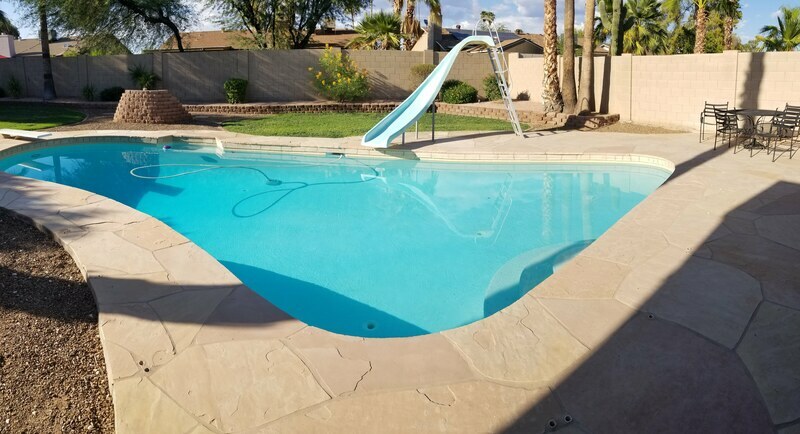 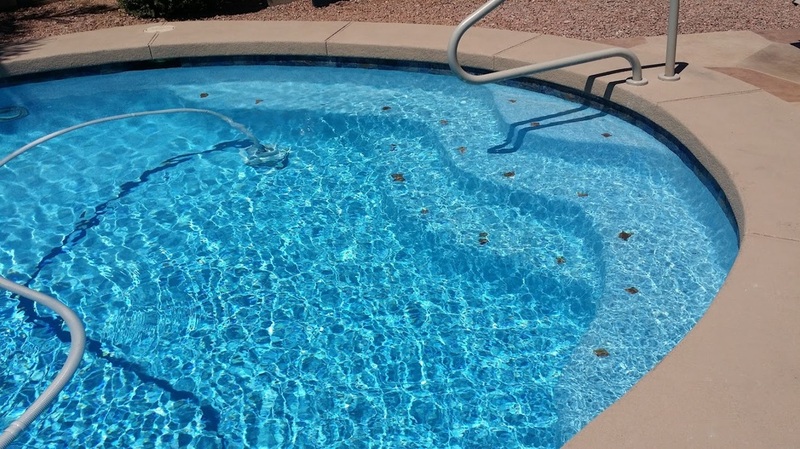 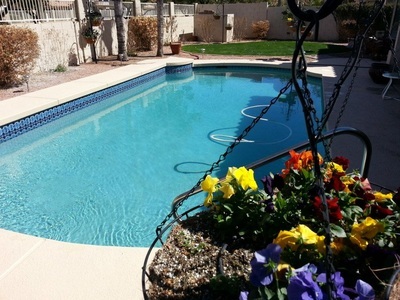 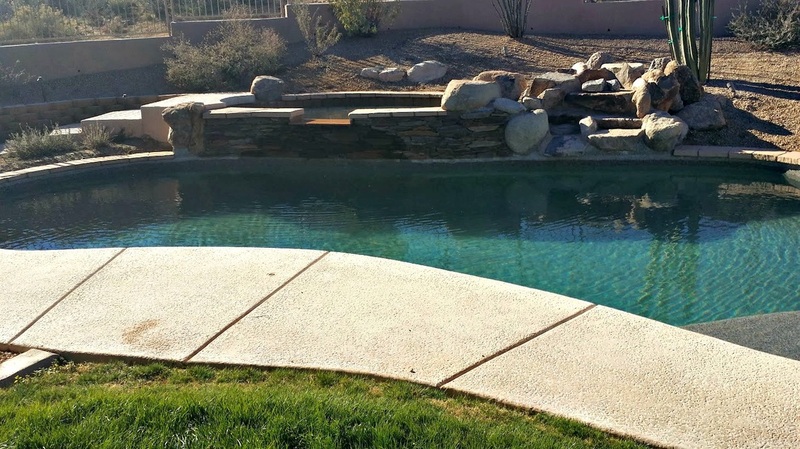 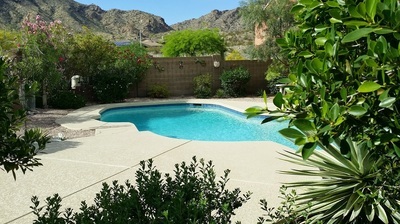 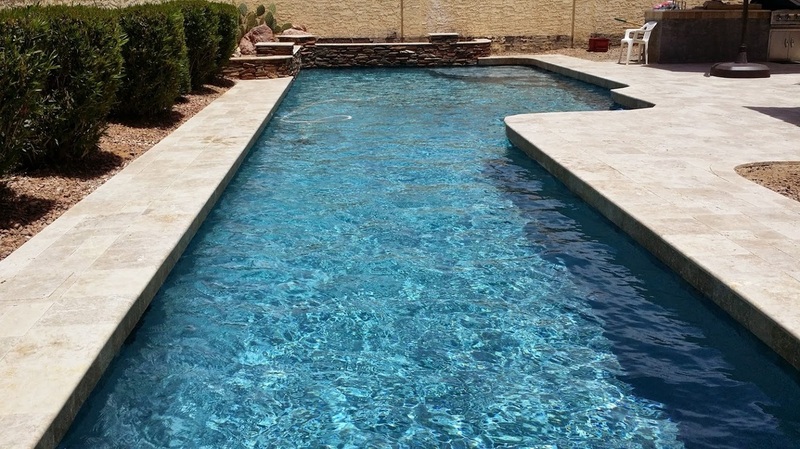 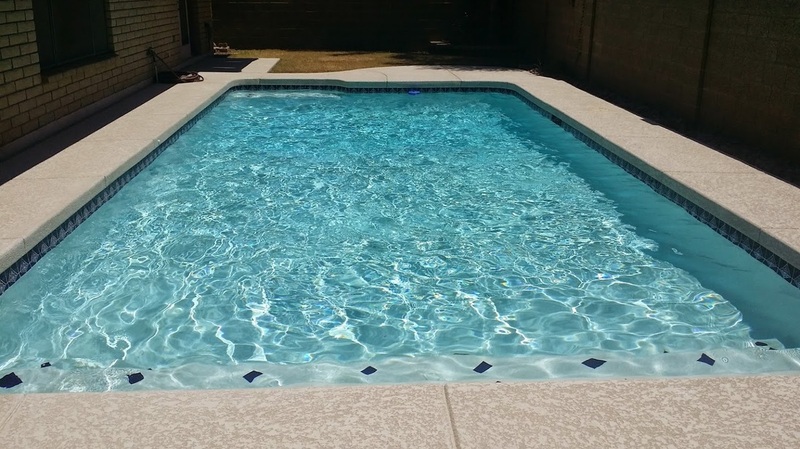 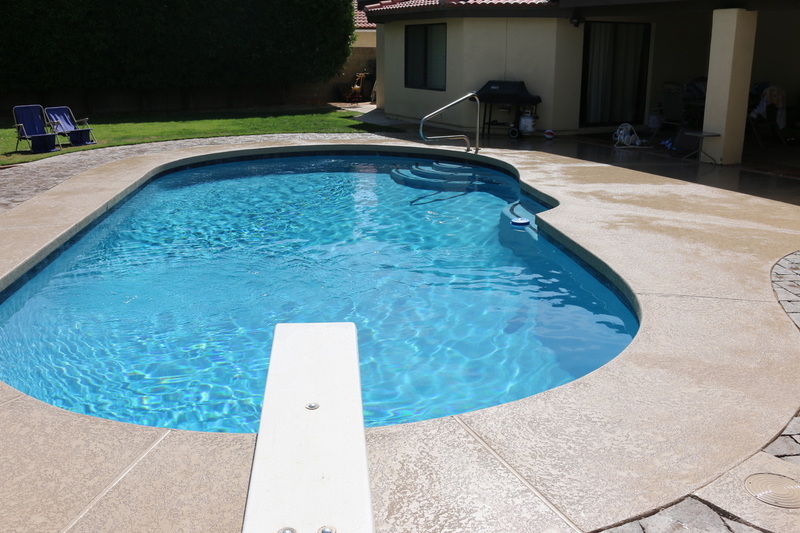 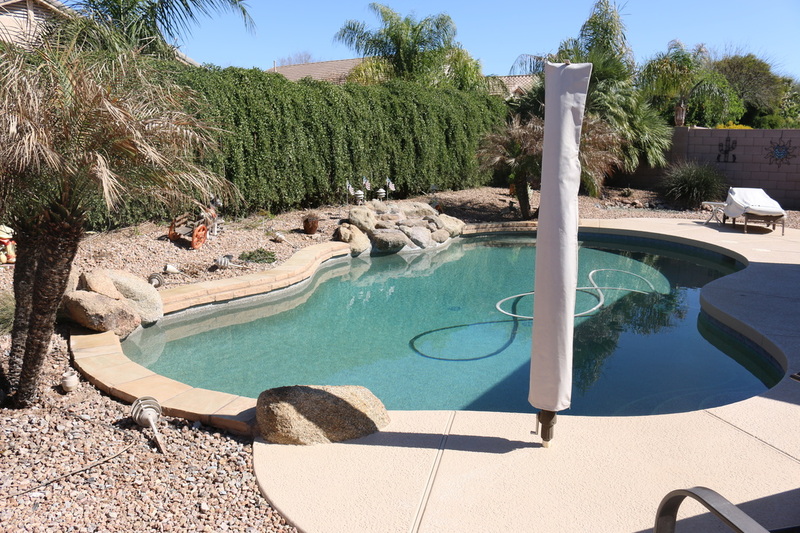 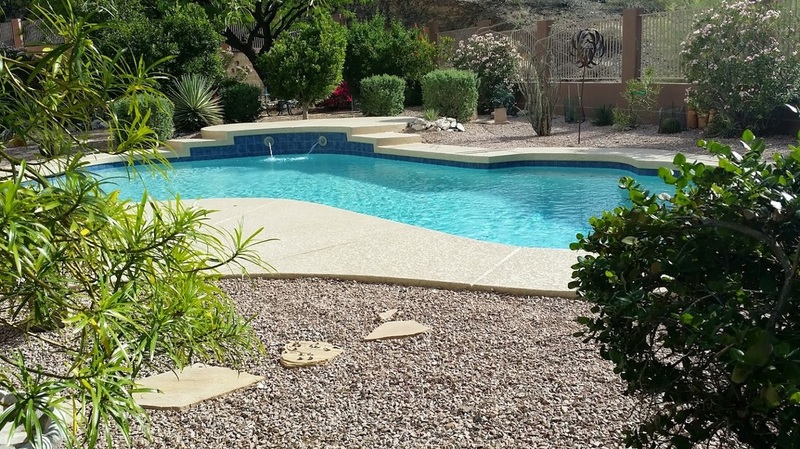 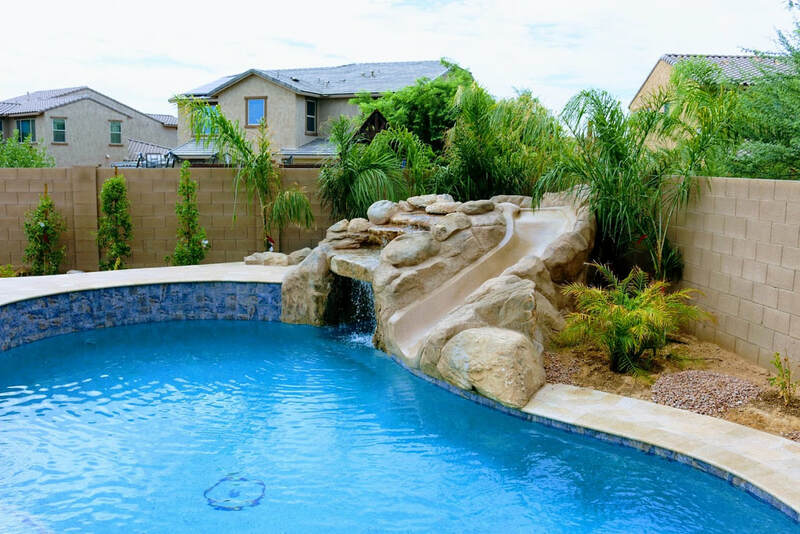 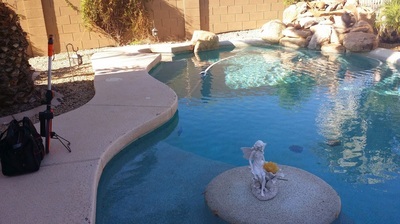 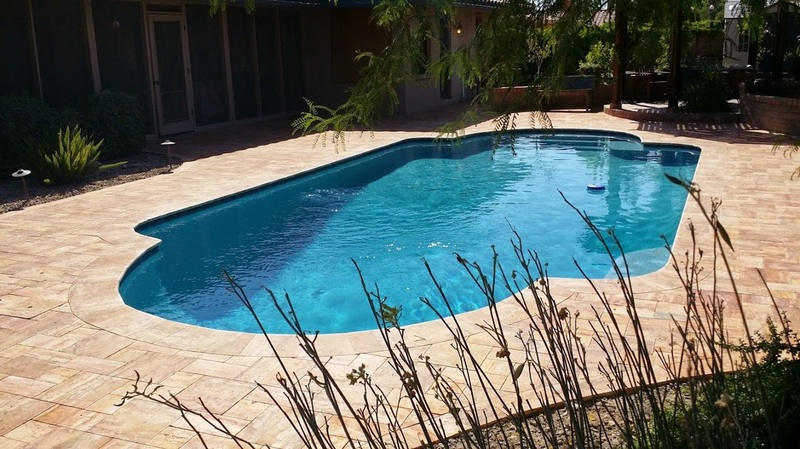 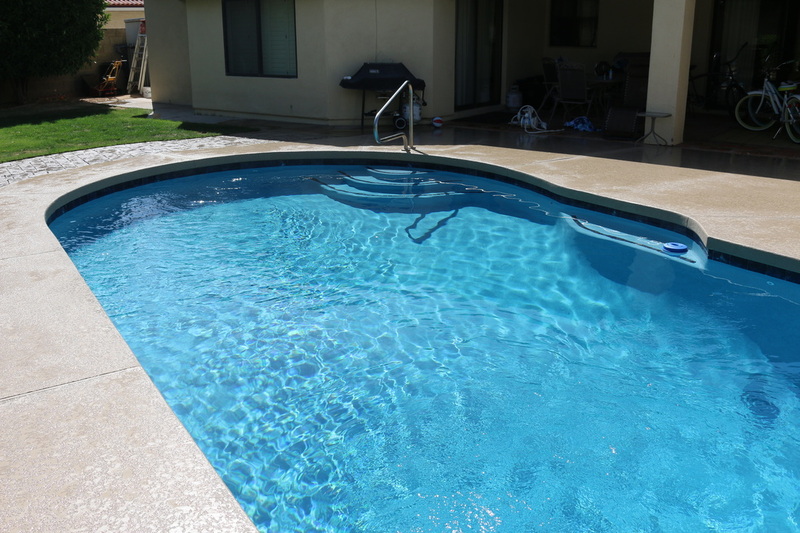 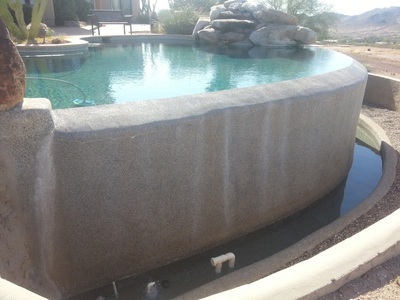 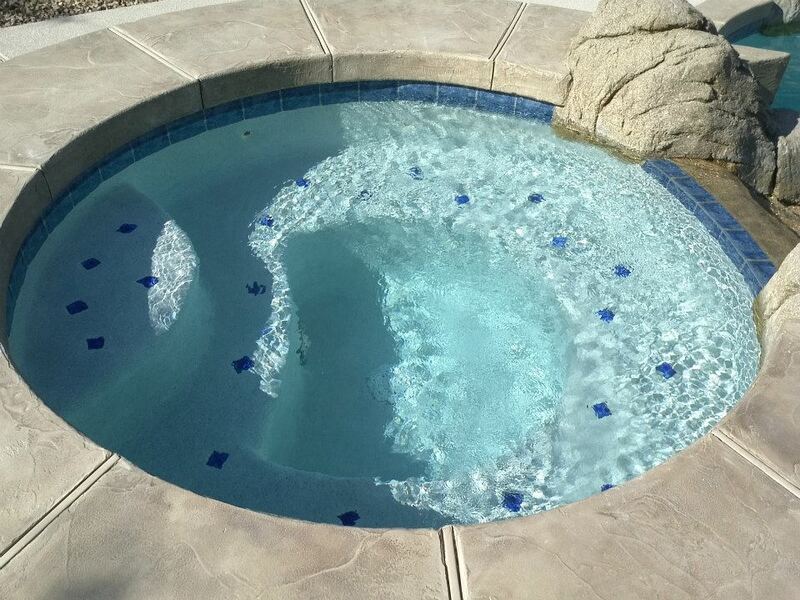 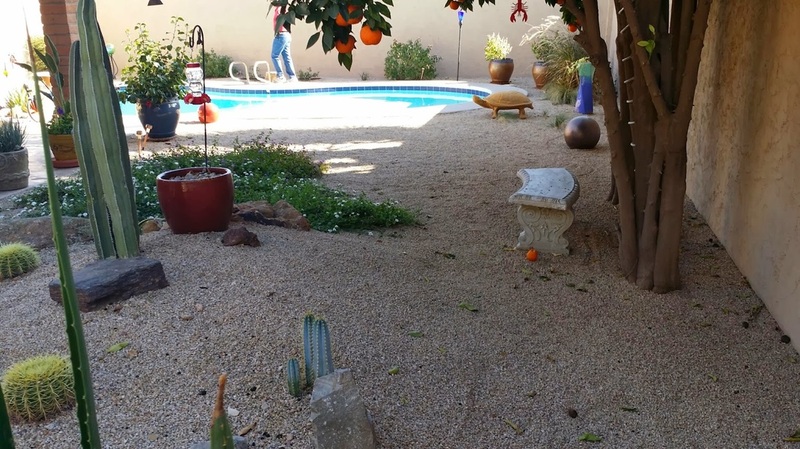 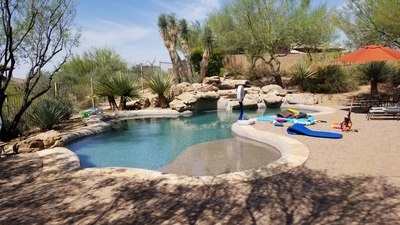 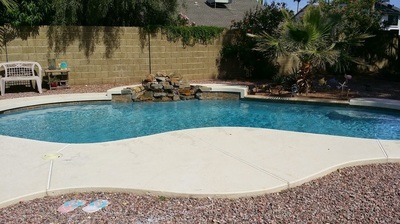 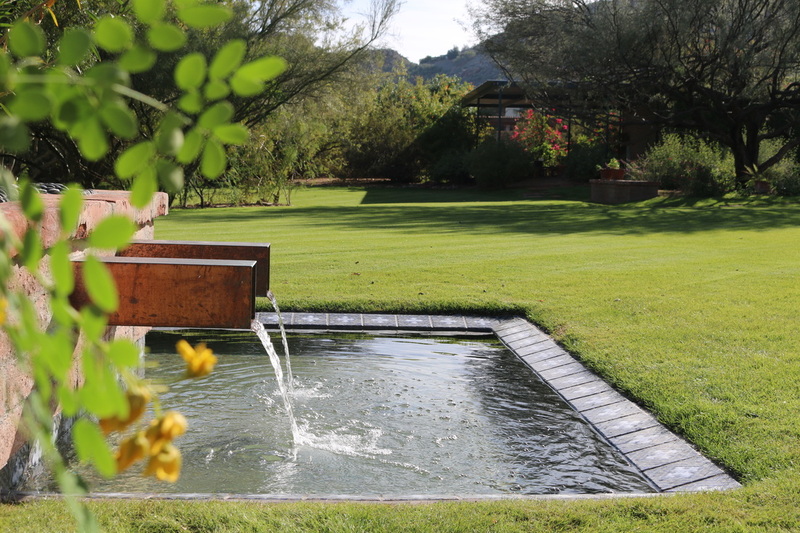 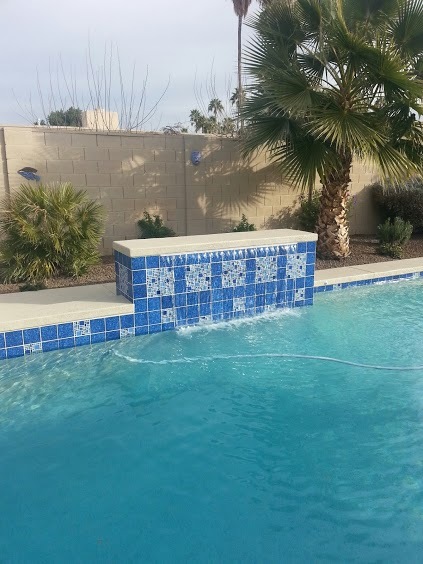 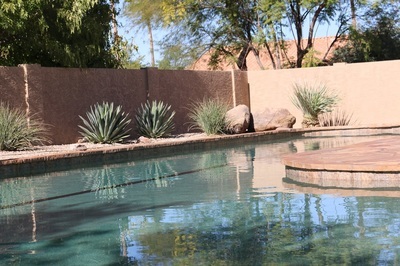 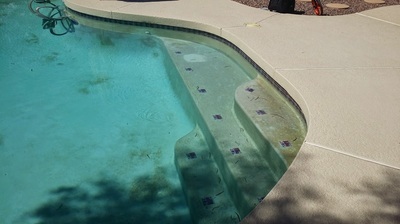 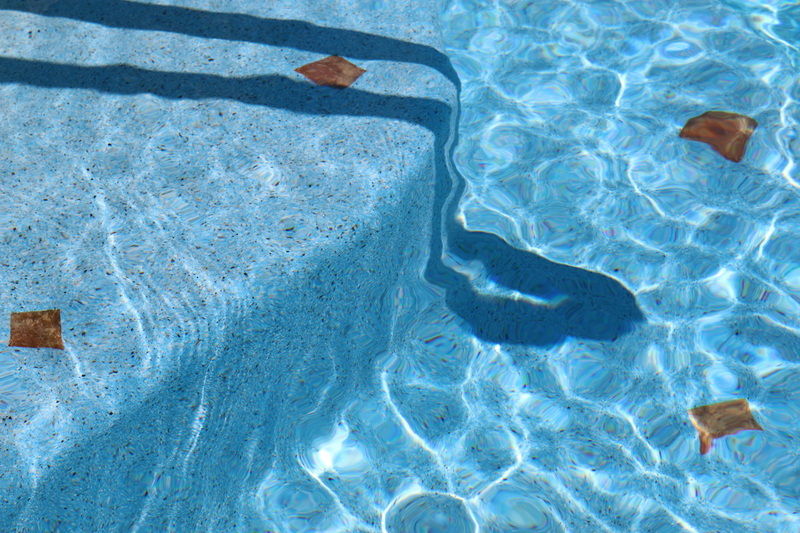 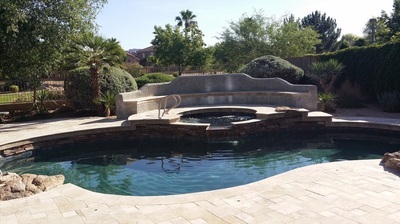 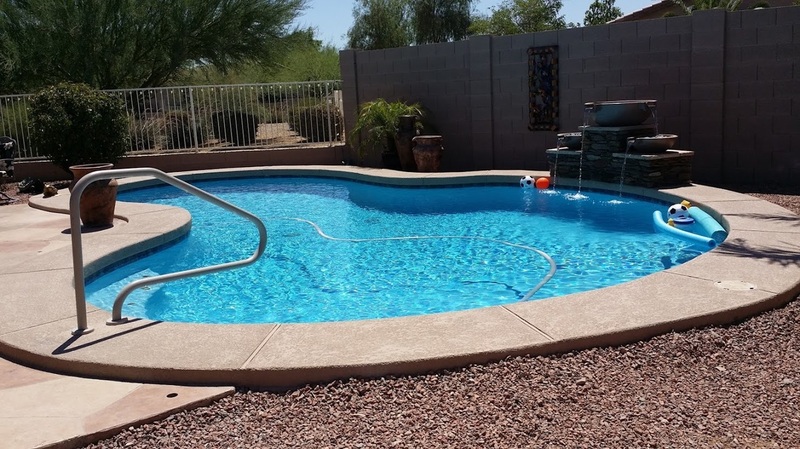 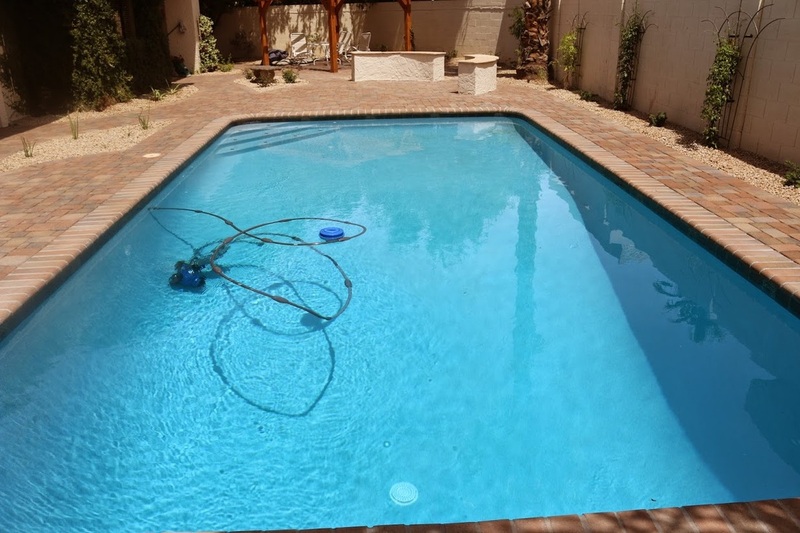 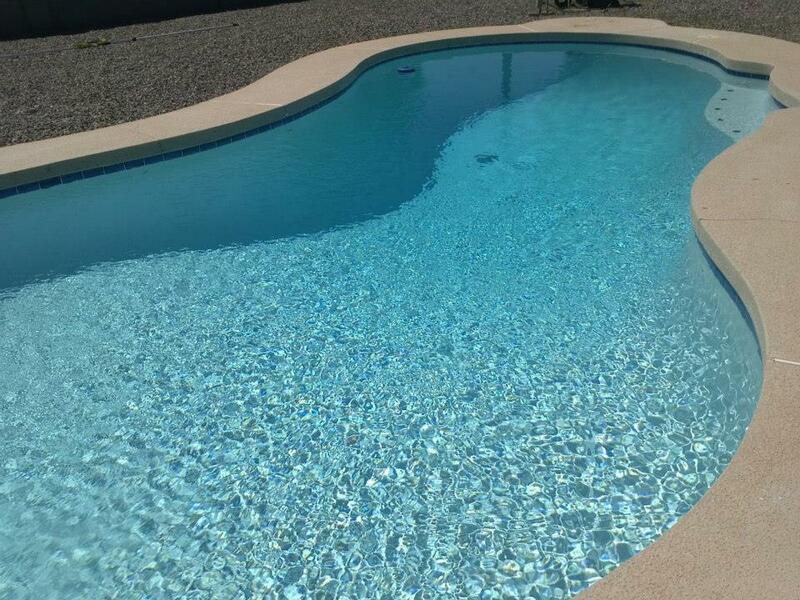 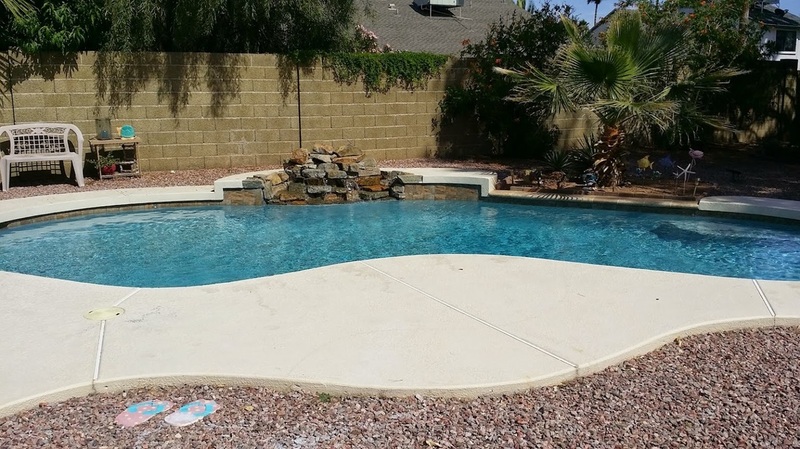 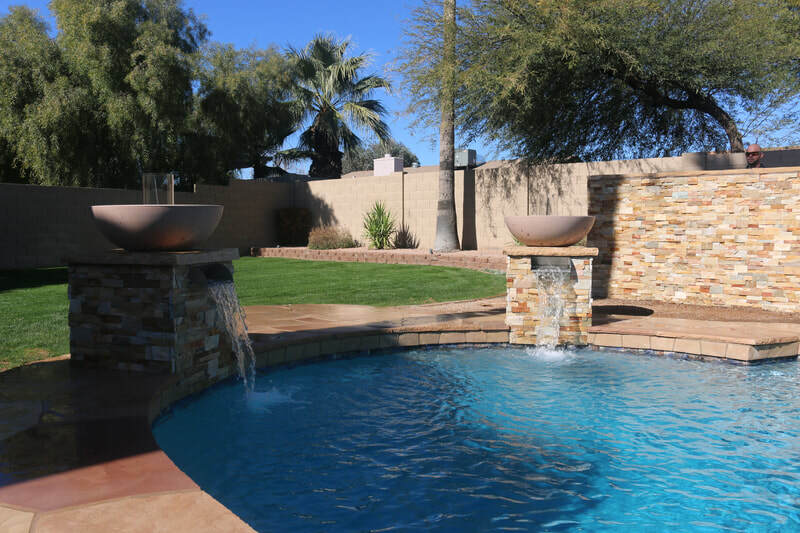 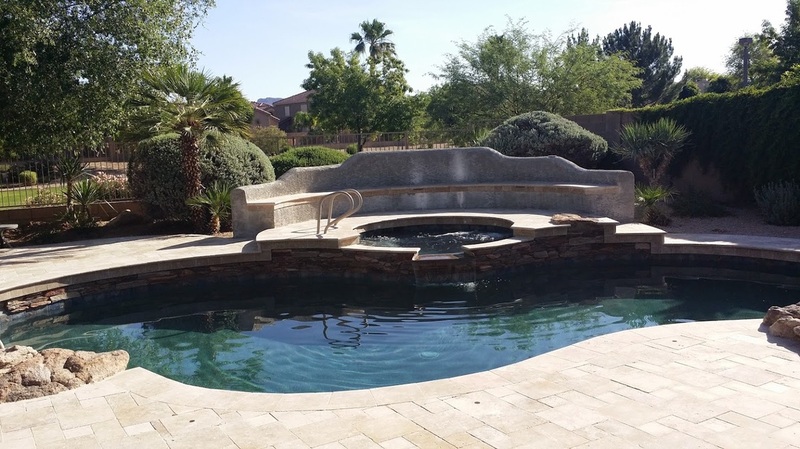 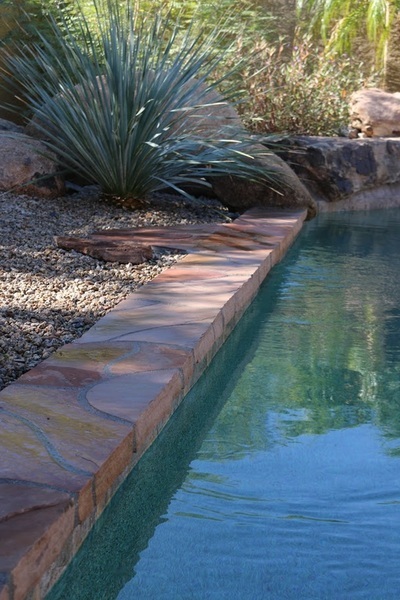 We provide weekly pool service and repair to thousands of pools across the Valley. 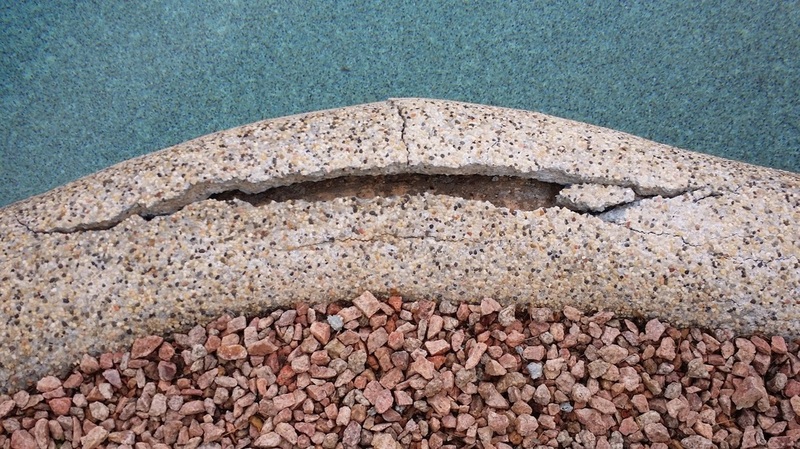 If you continue service with us, your equipment warranties will extend... at no extra cost to you. 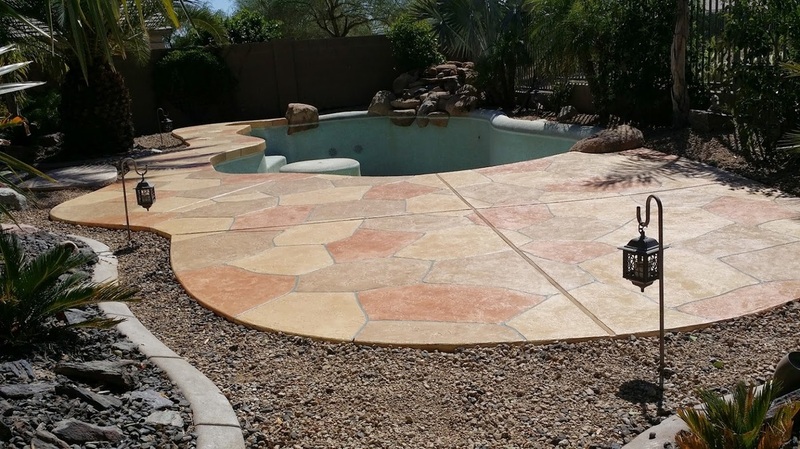 We manage your warranty so you don't have to do the legwork with any manufacturer. 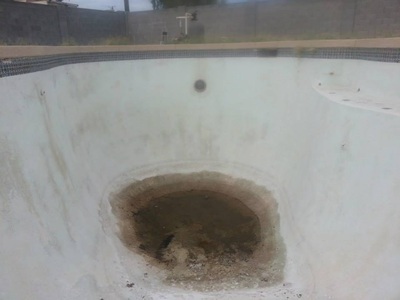 Your pool is in good hands. 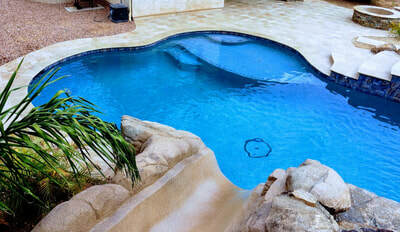 We provide quick, pool loan-specific financing! 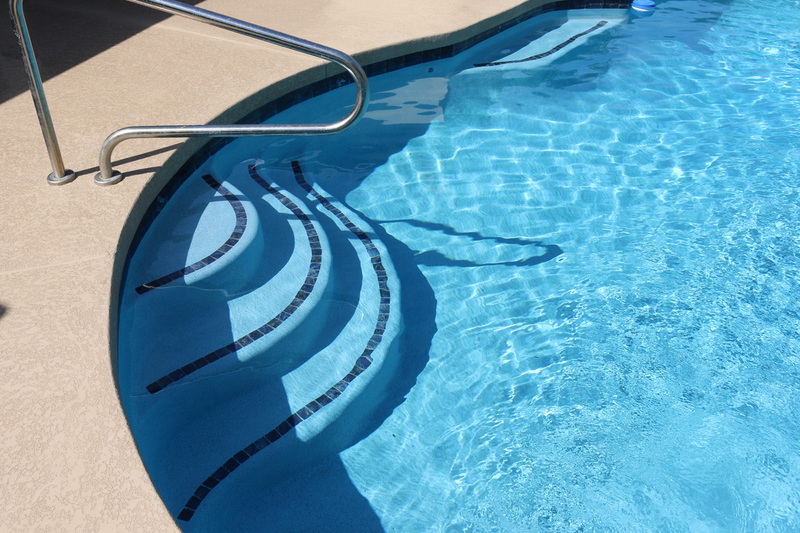 We currently work with two of the most trusted lenders in the pool industry: HFS Financial and Lyon Financial offer multiple loan programs up to $200,000 that can be conditionally approved within 24-48 hours. 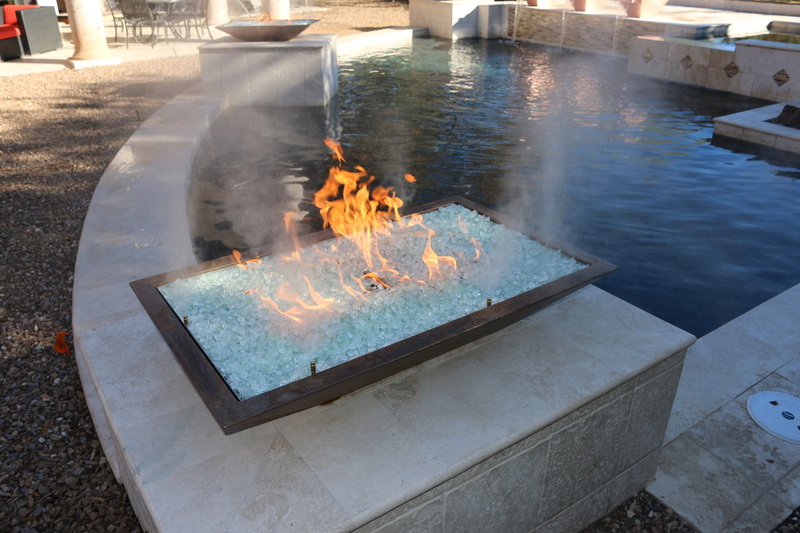 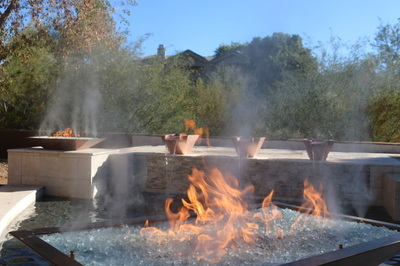 ﻿﻿﻿﻿Biltmore - Fire & Water Features! 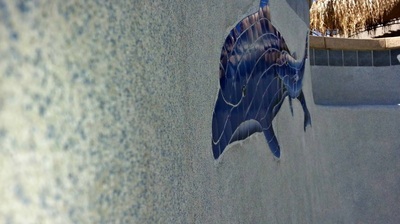 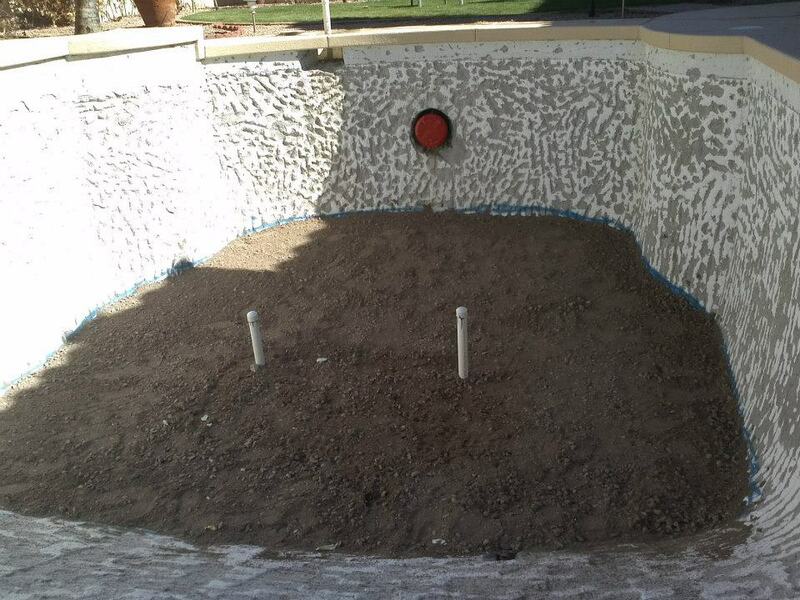 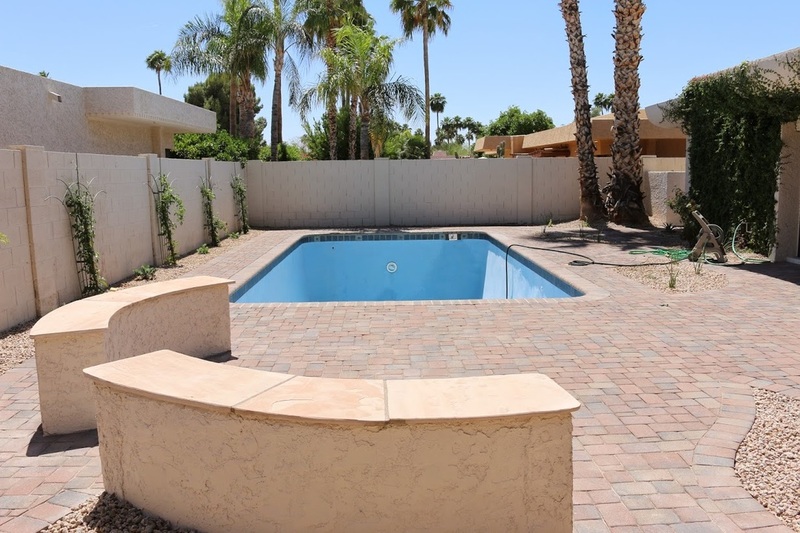 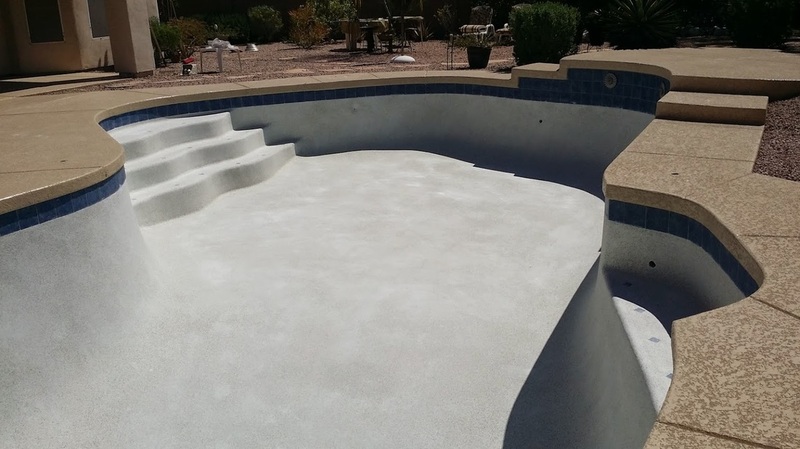 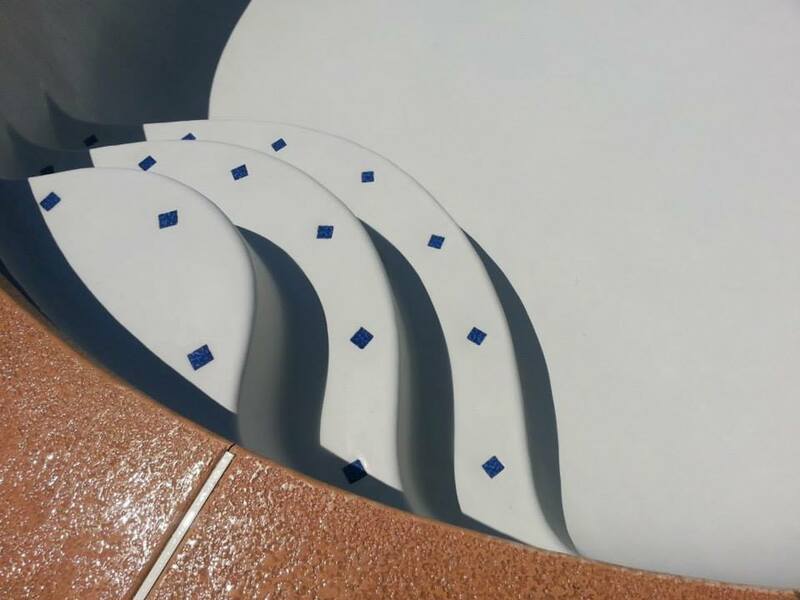 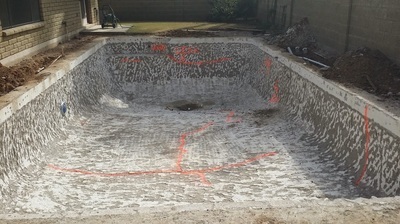 North Phoenix Pool Renovation - White & Bright Plaster!